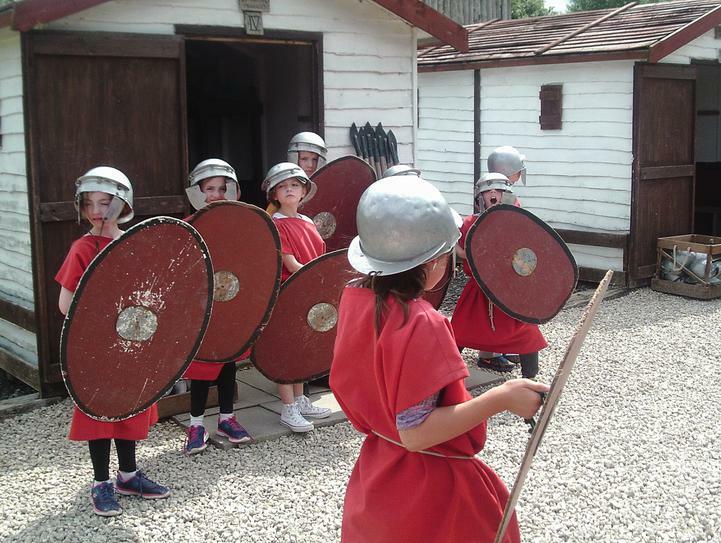 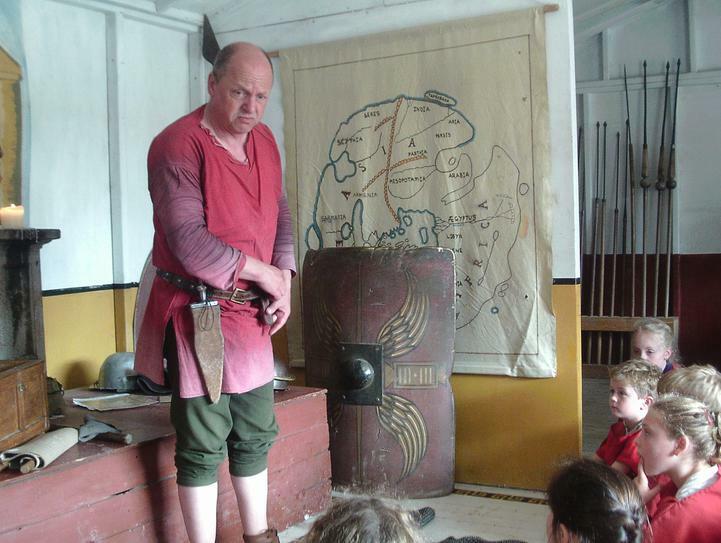 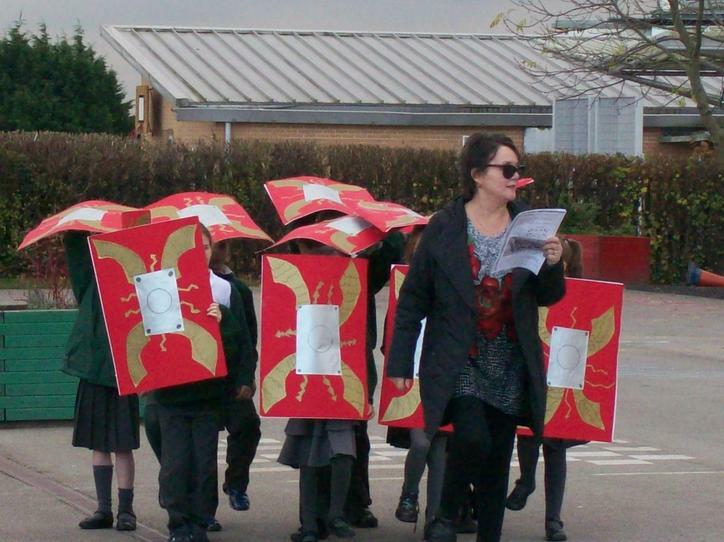 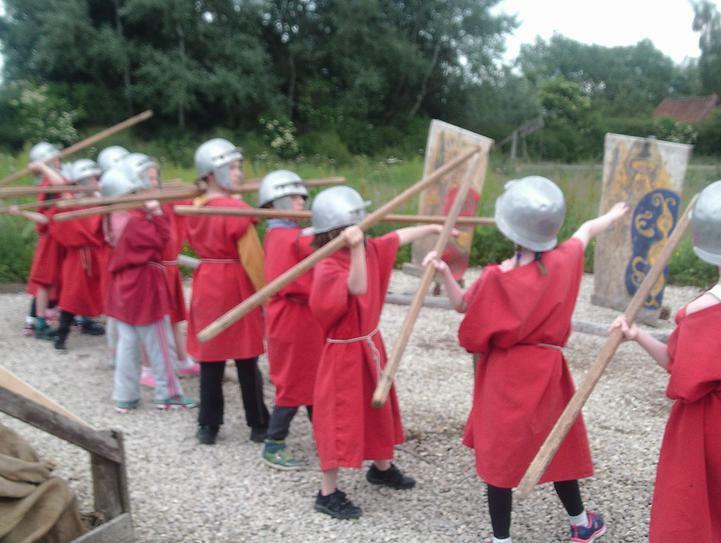 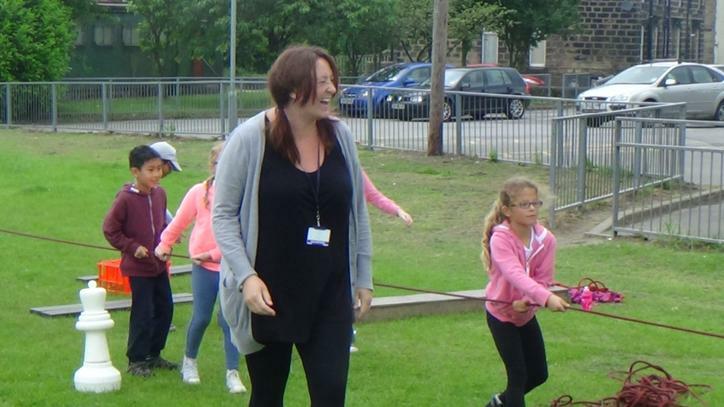 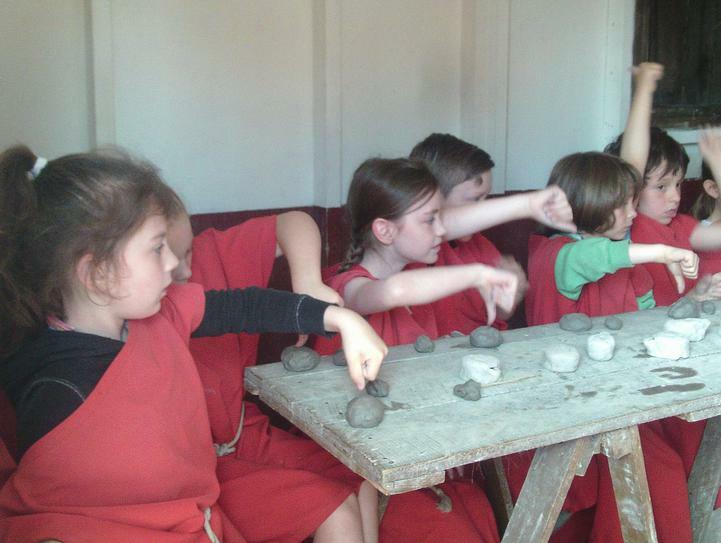 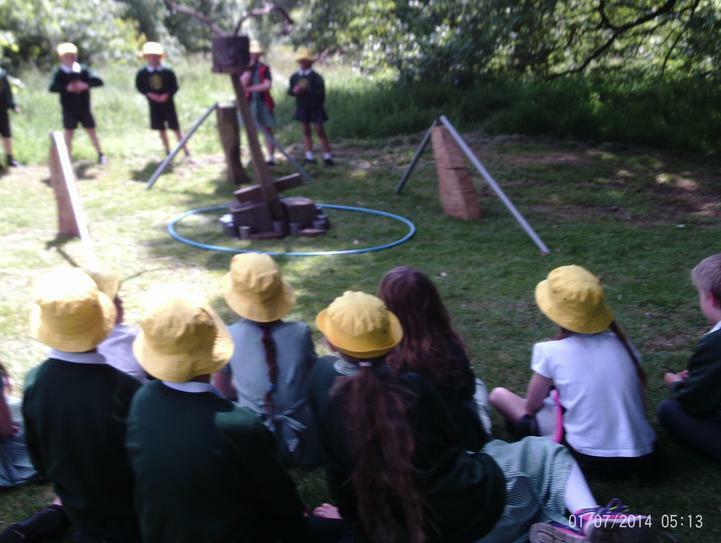 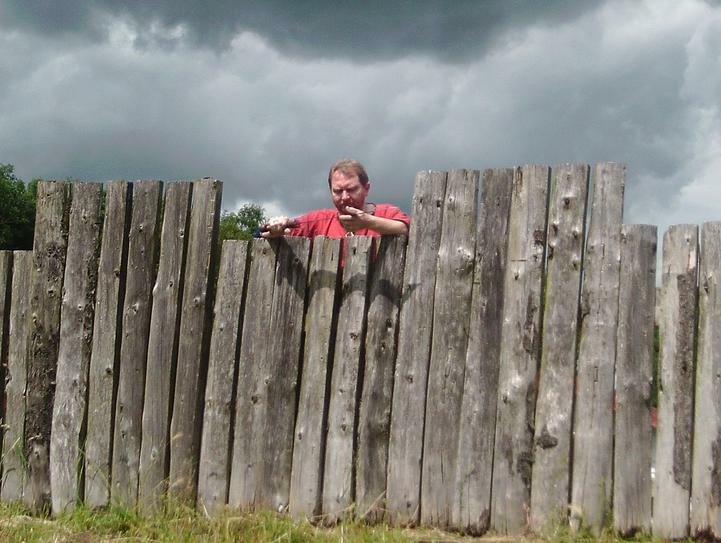 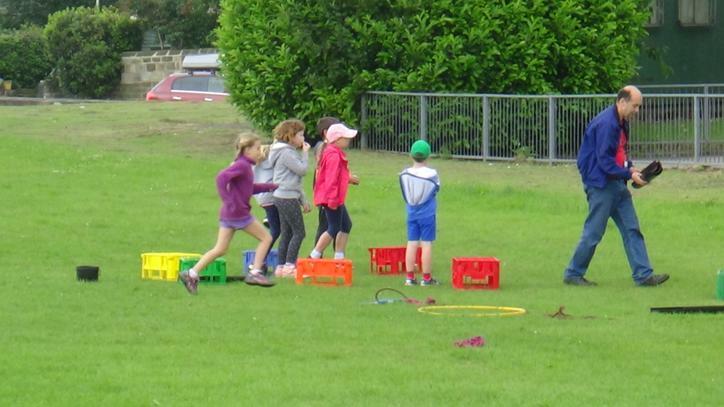 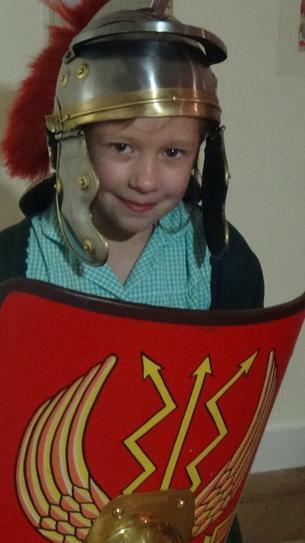 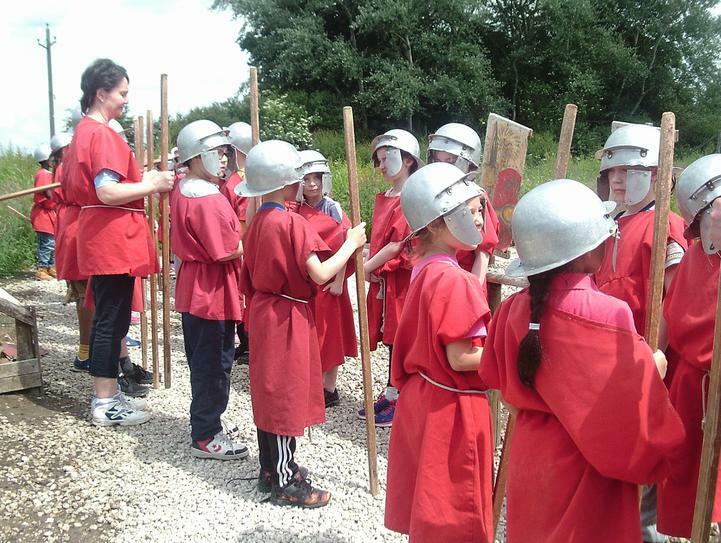 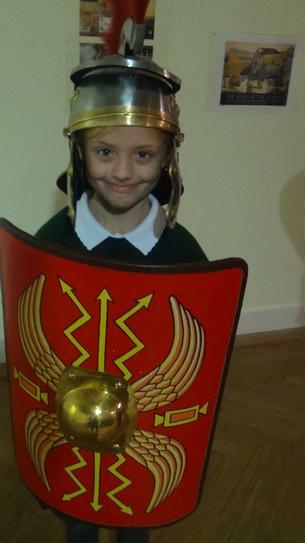 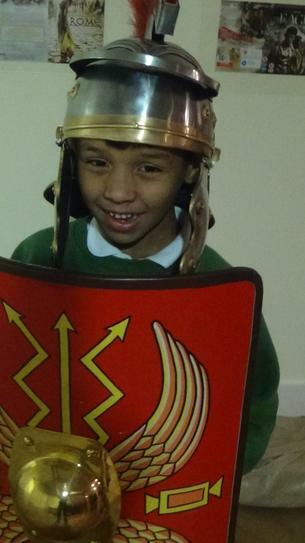 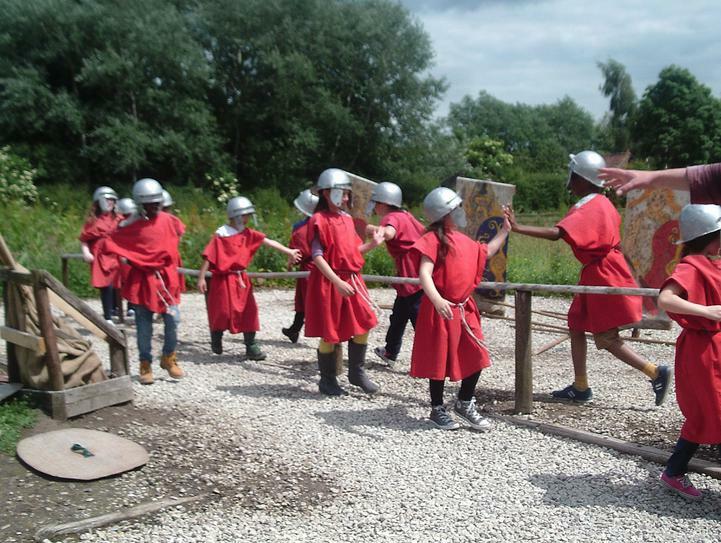 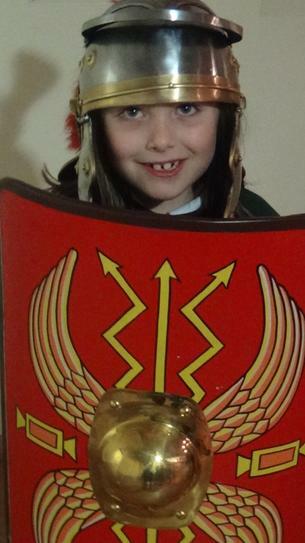 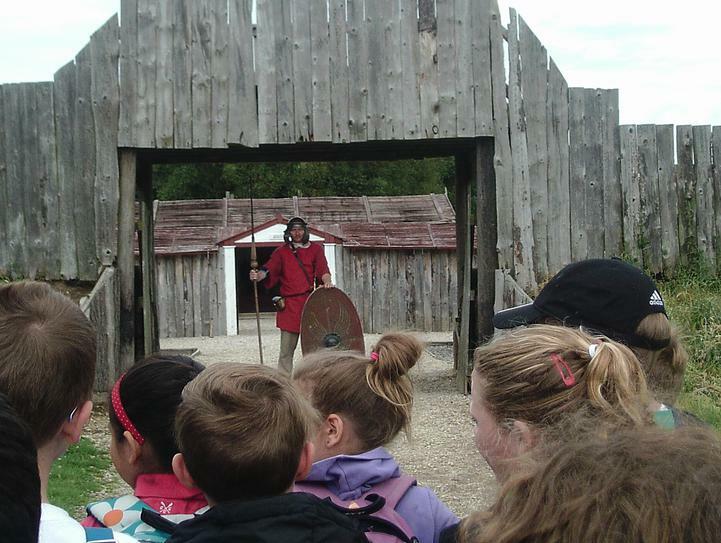 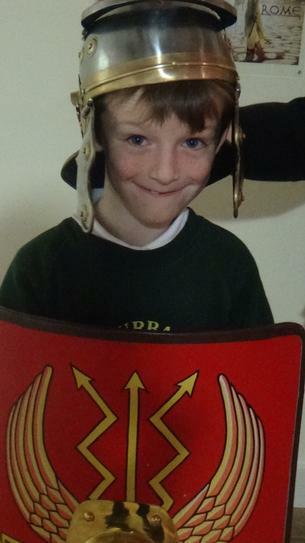 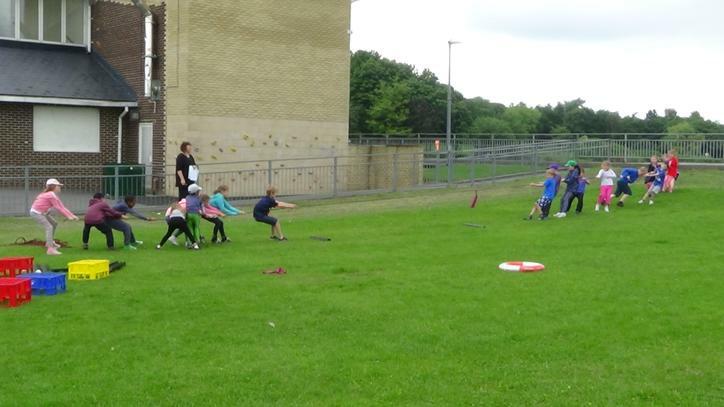 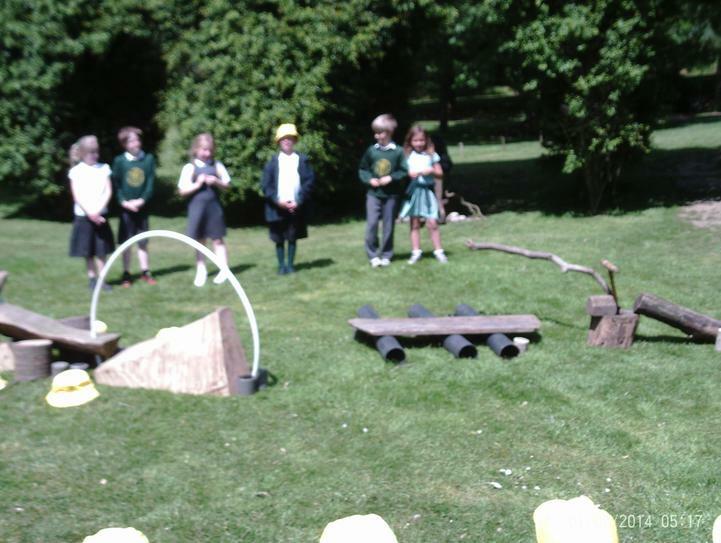 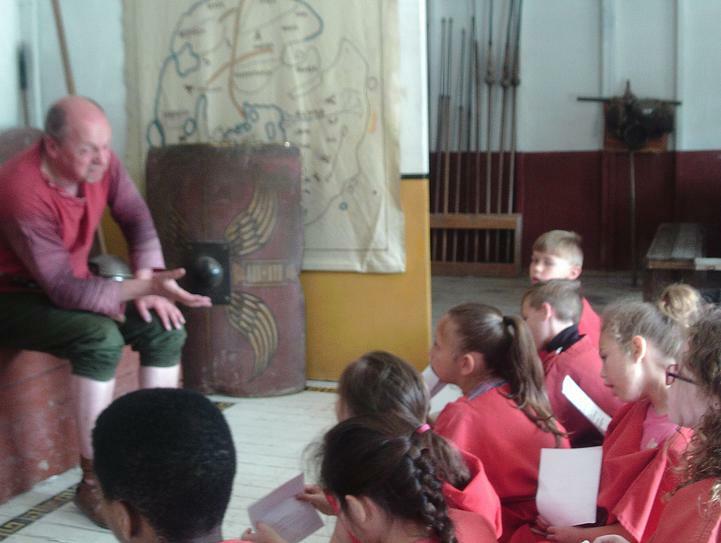 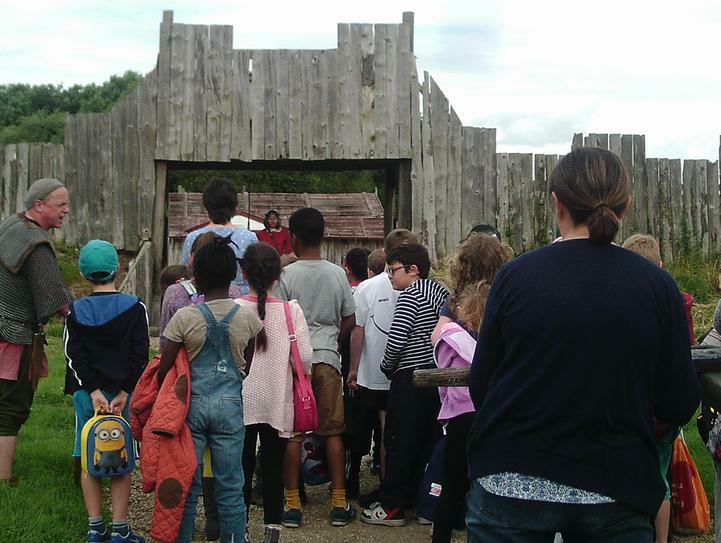 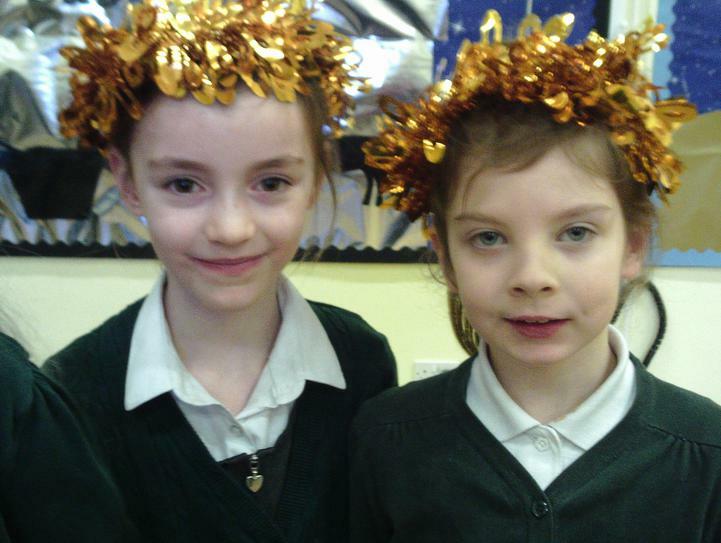 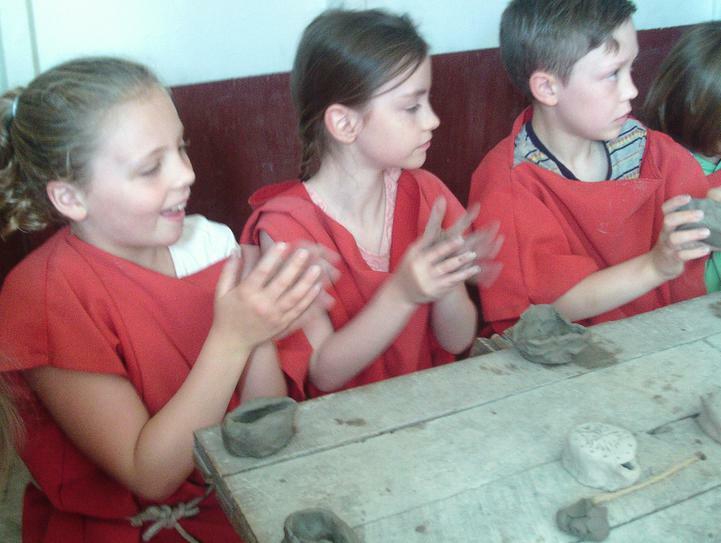 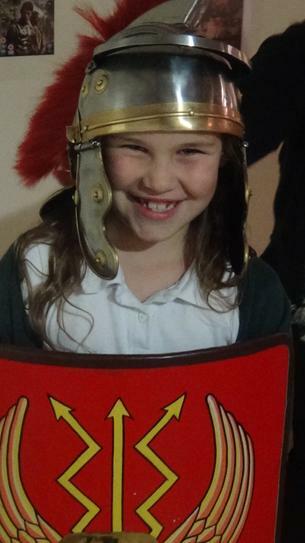 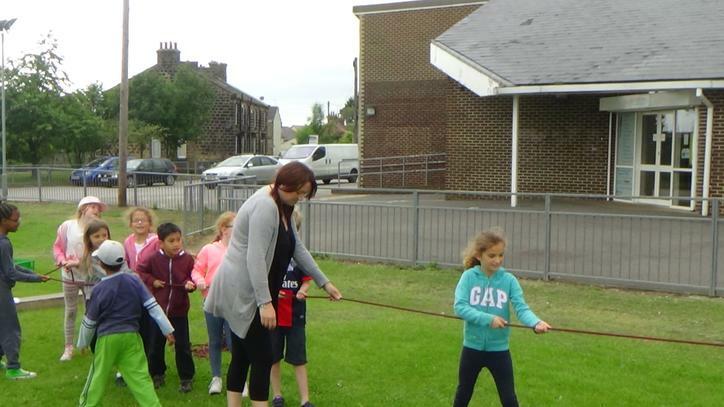 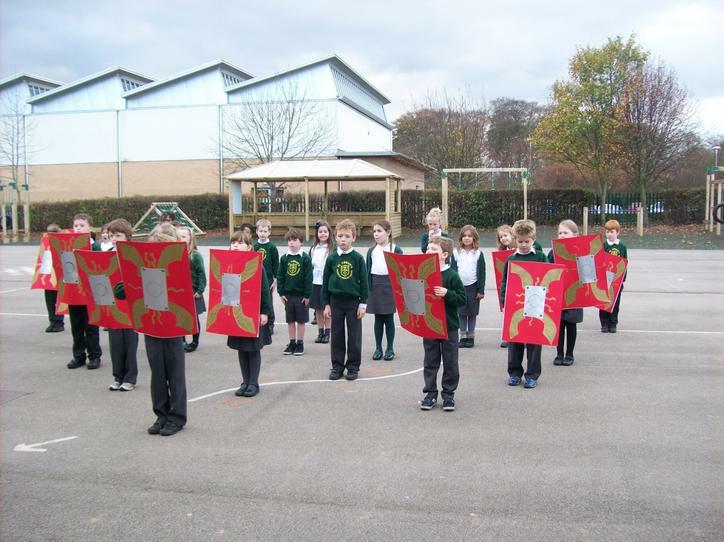 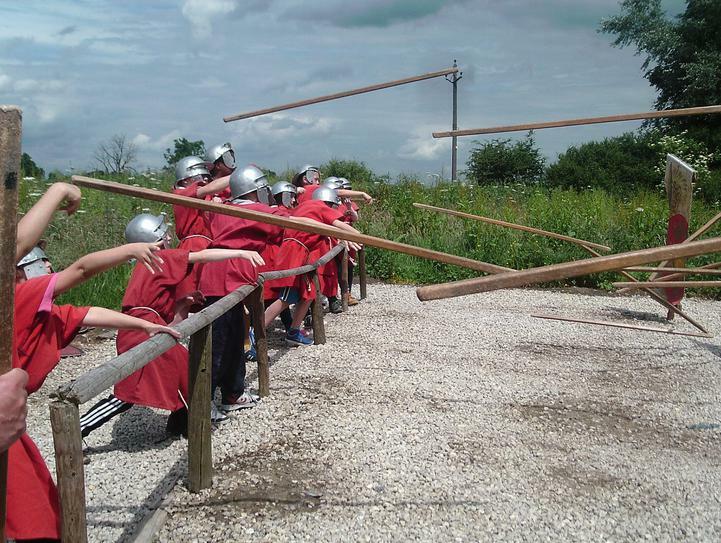 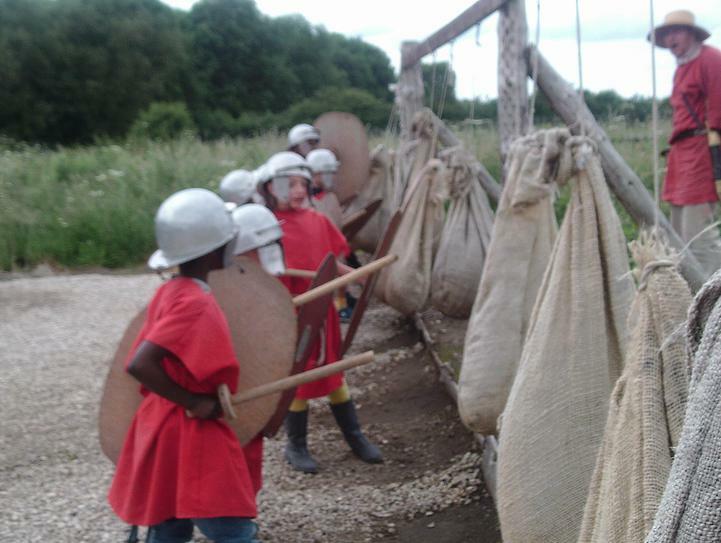 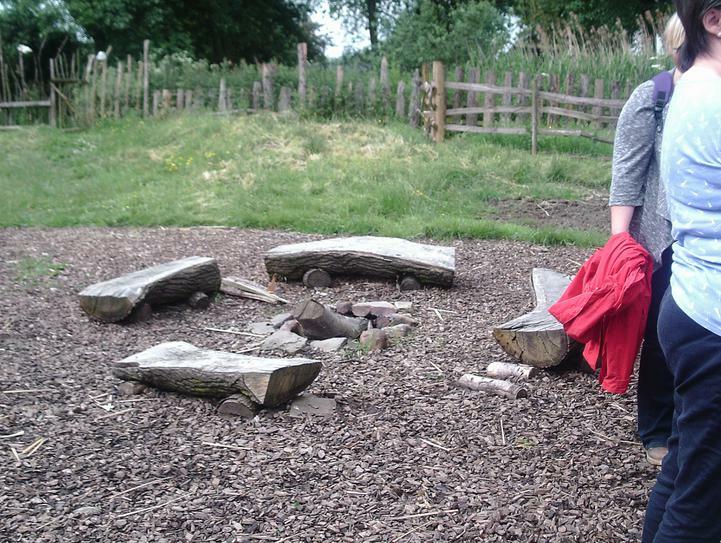 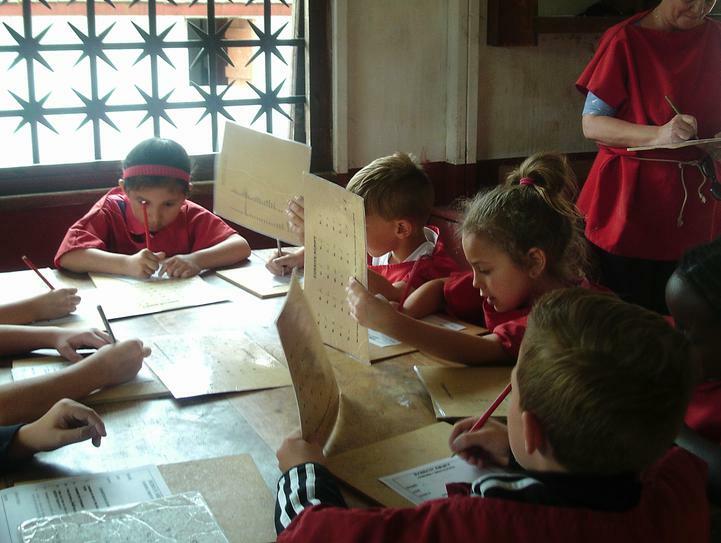 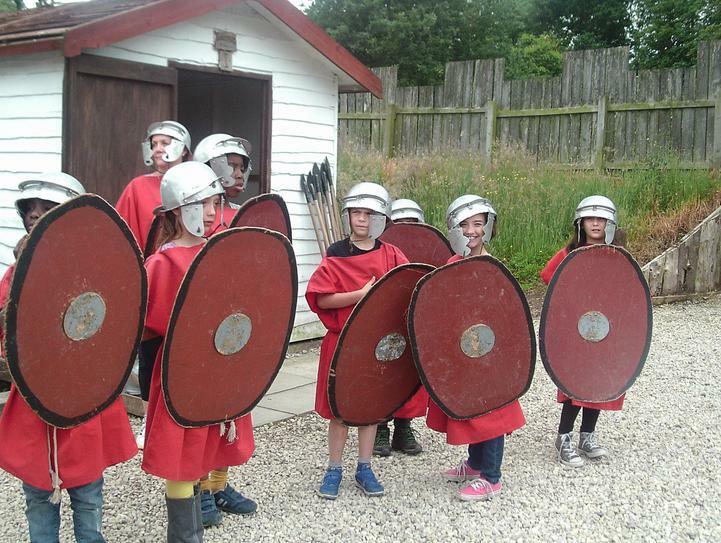 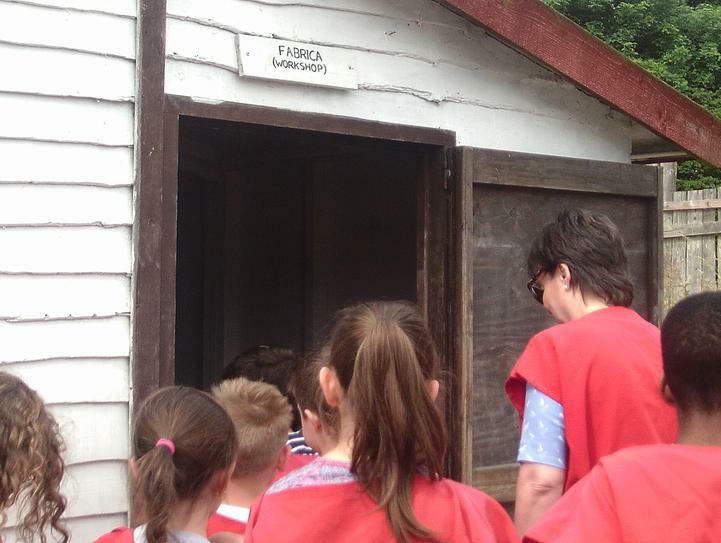 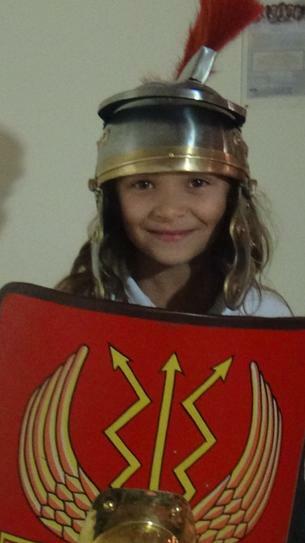 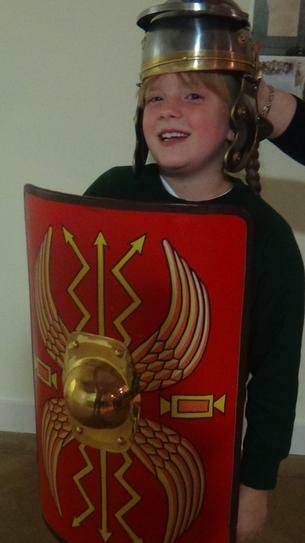 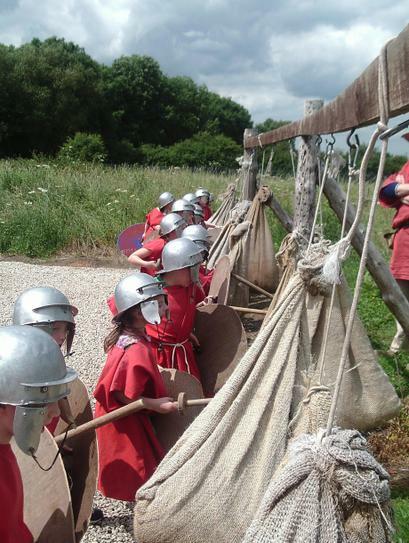 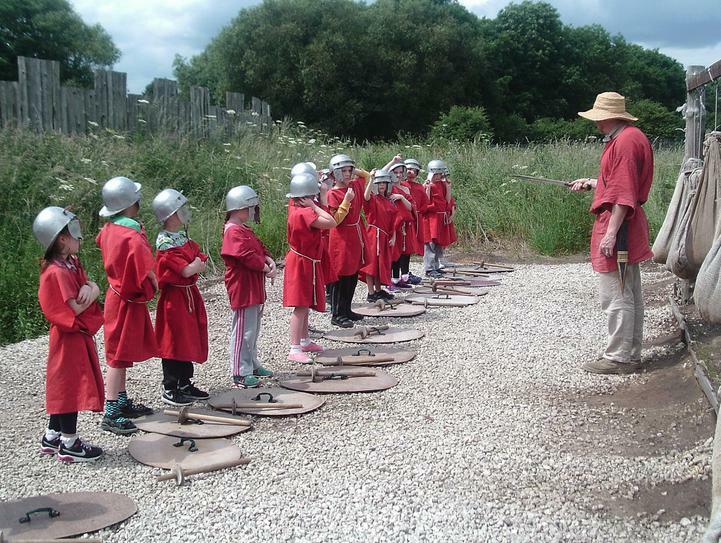 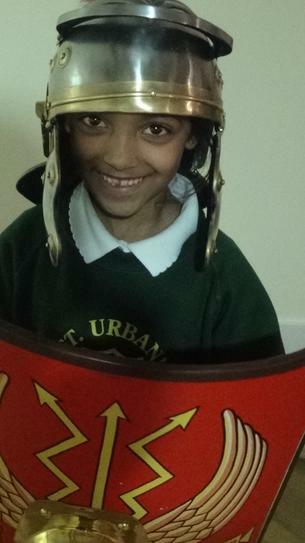 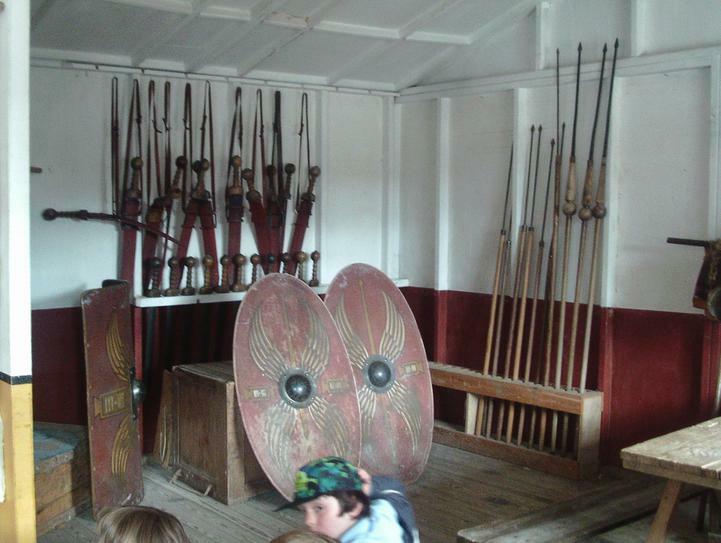 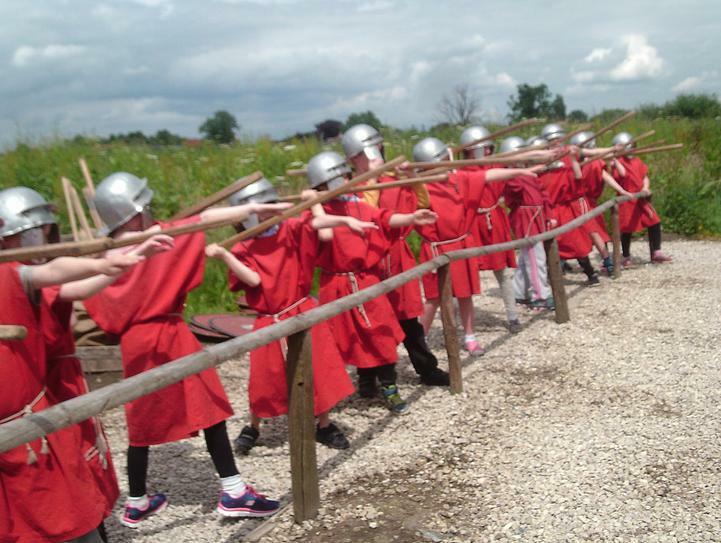 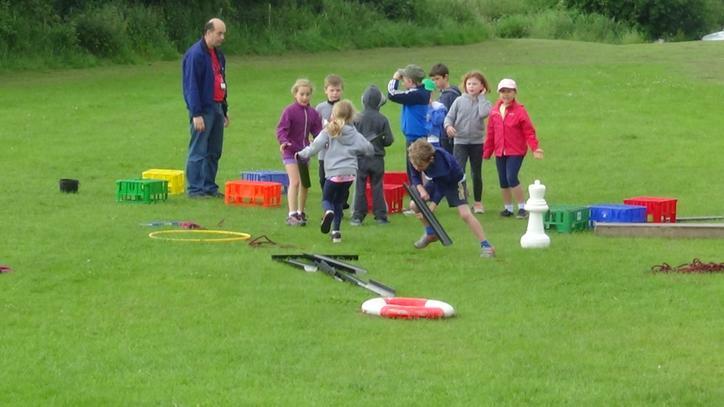 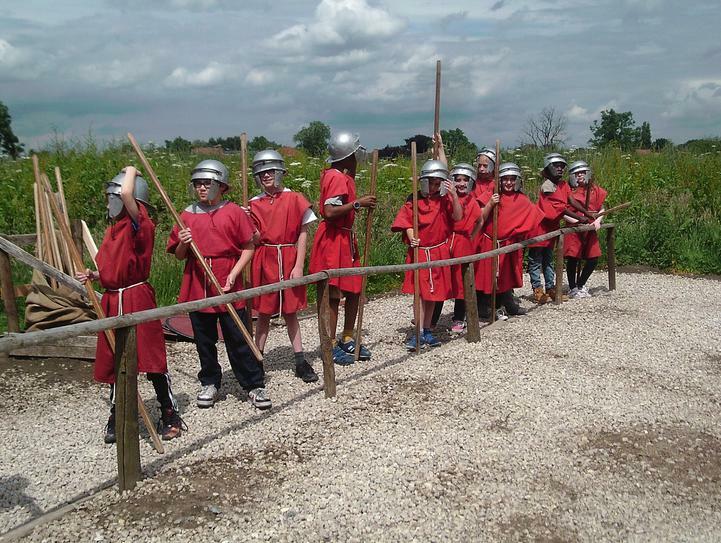 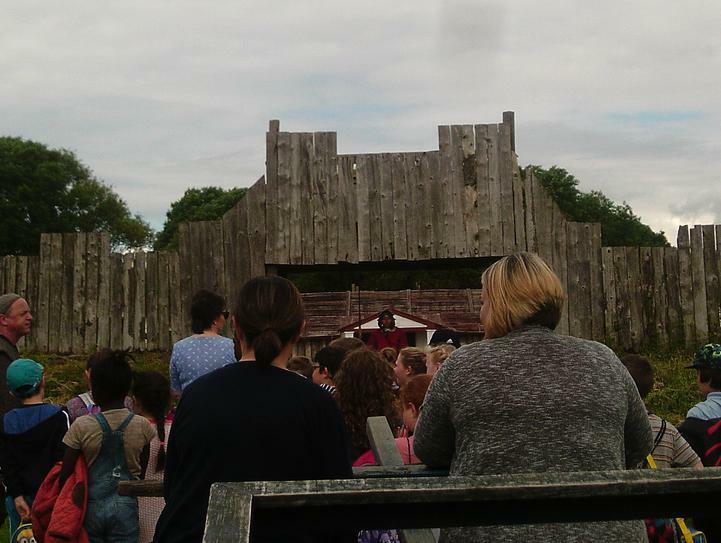 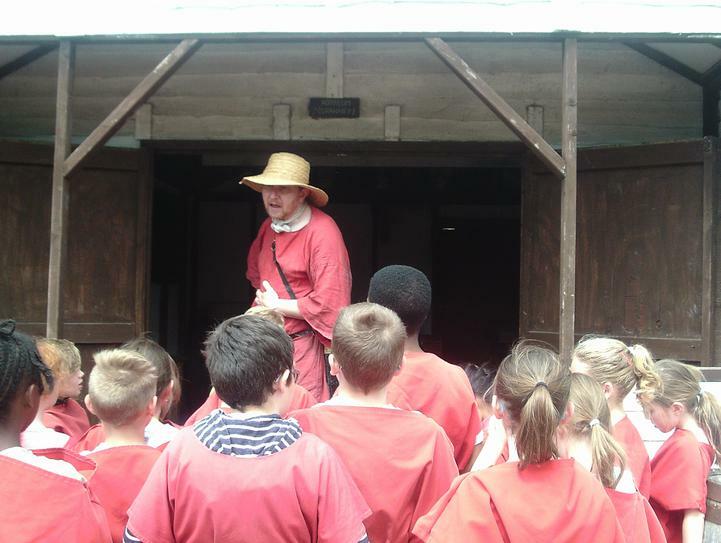 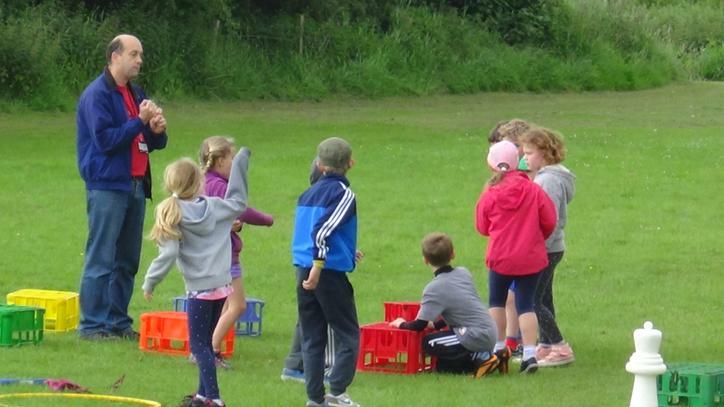 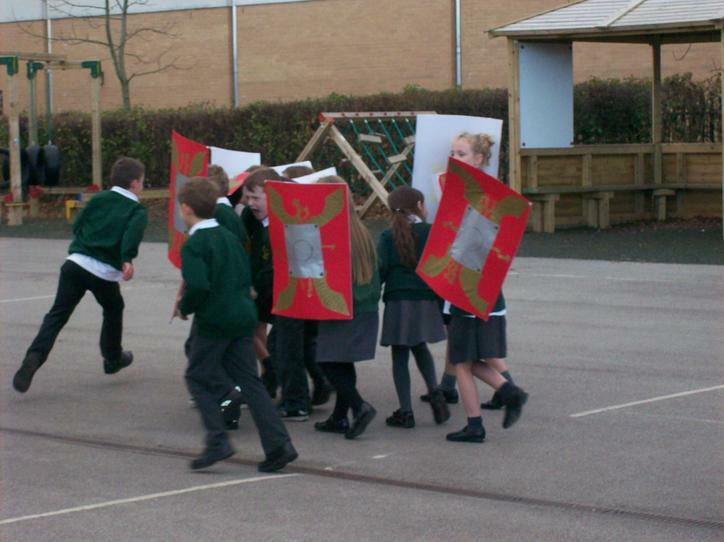 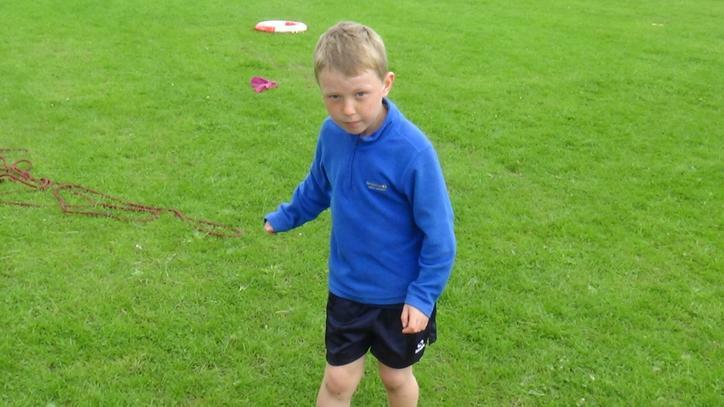 Year 3 were enrolled into the Roman army for a day. 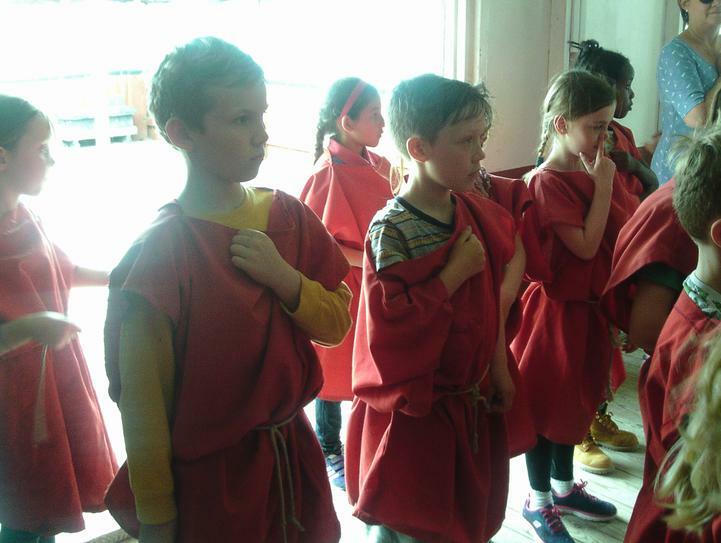 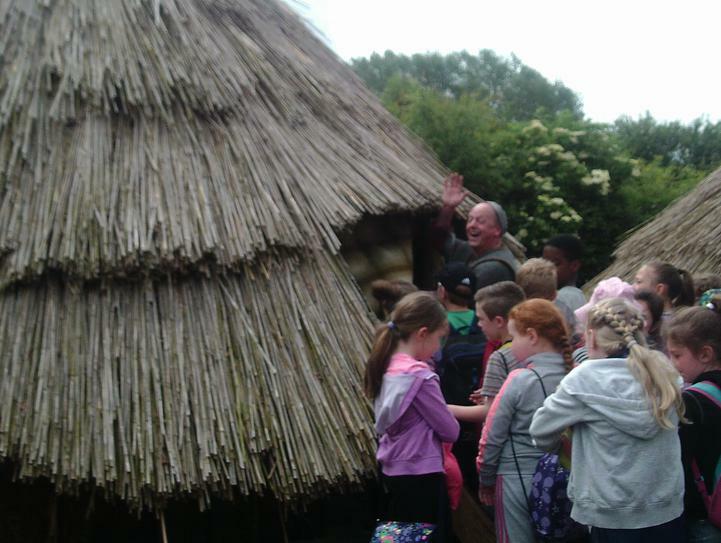 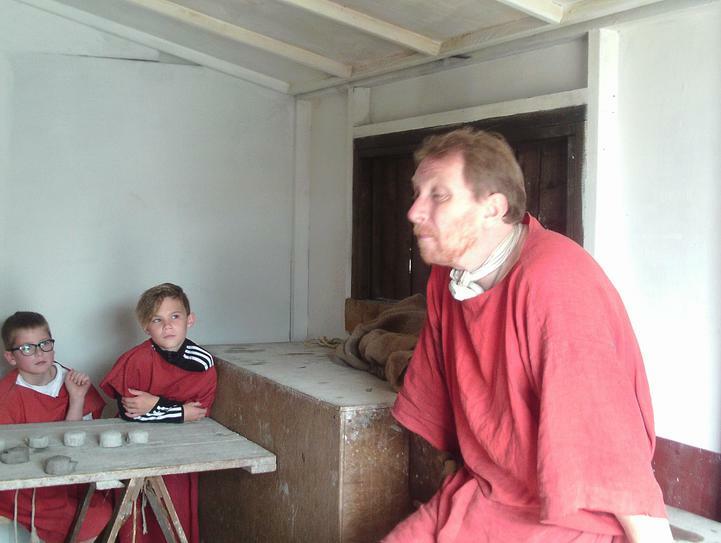 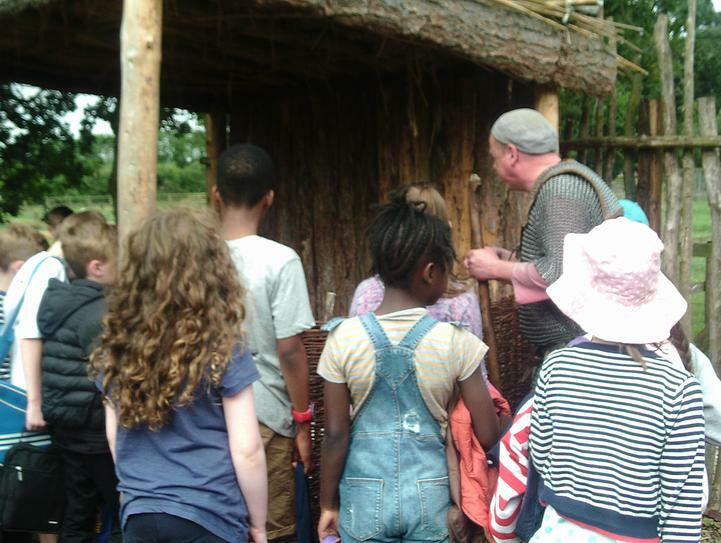 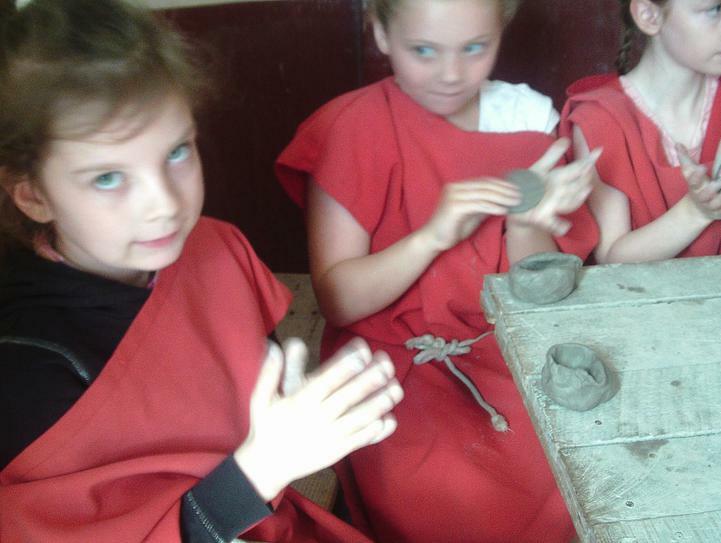 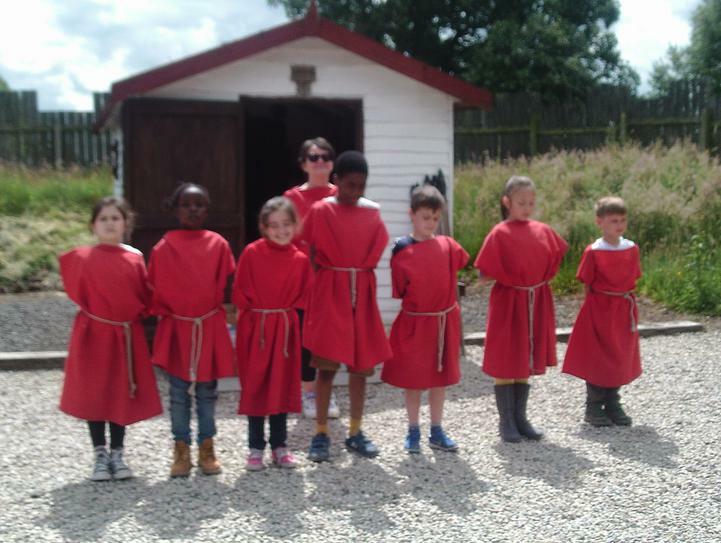 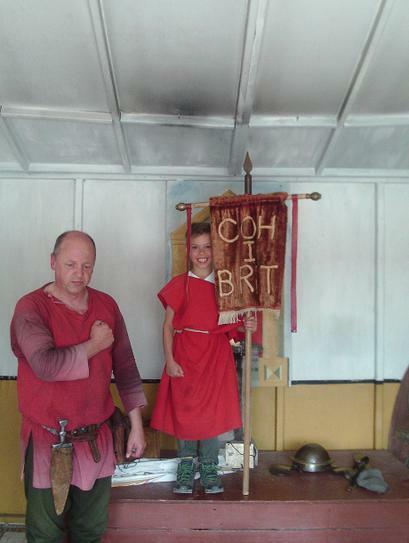 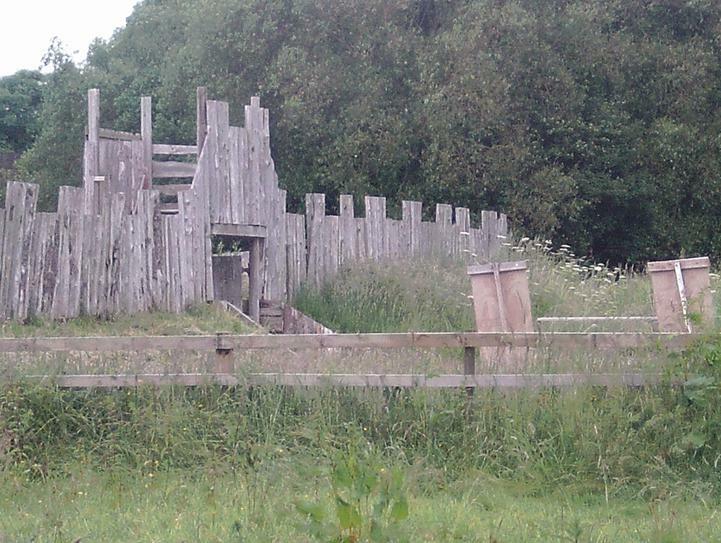 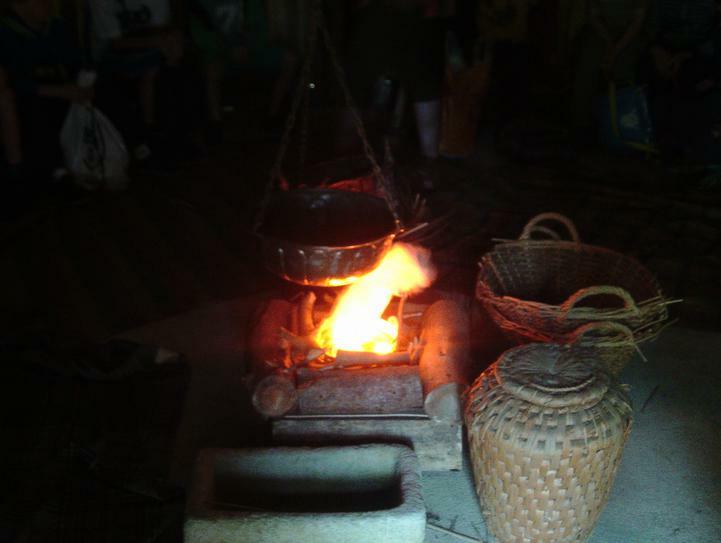 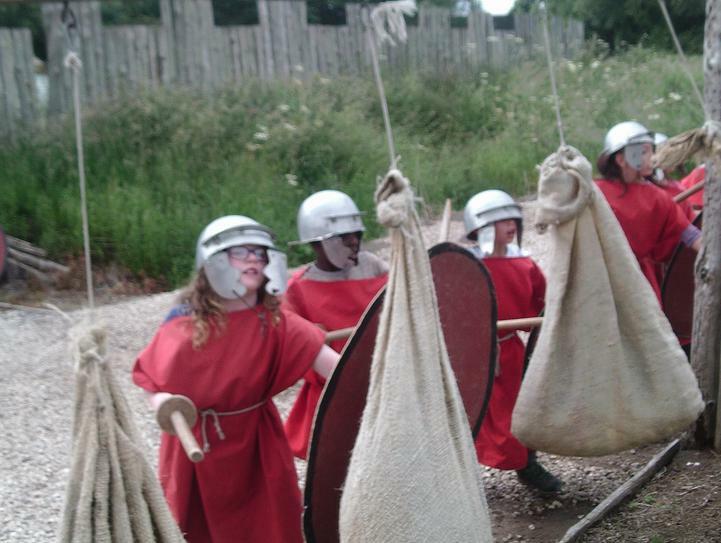 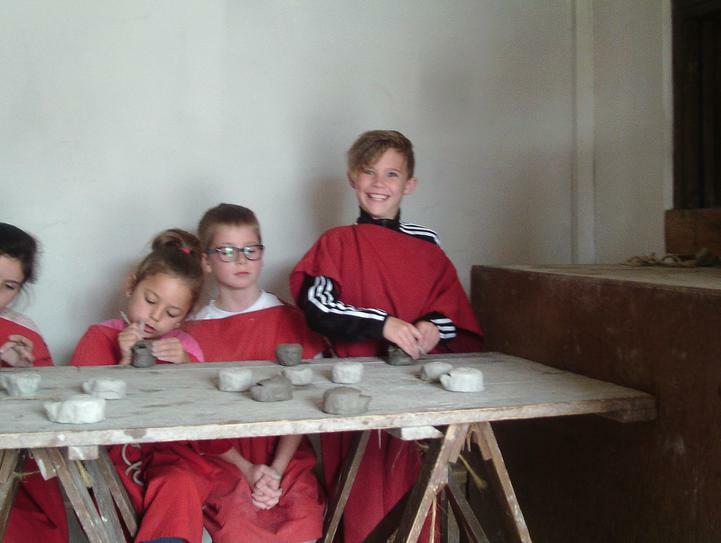 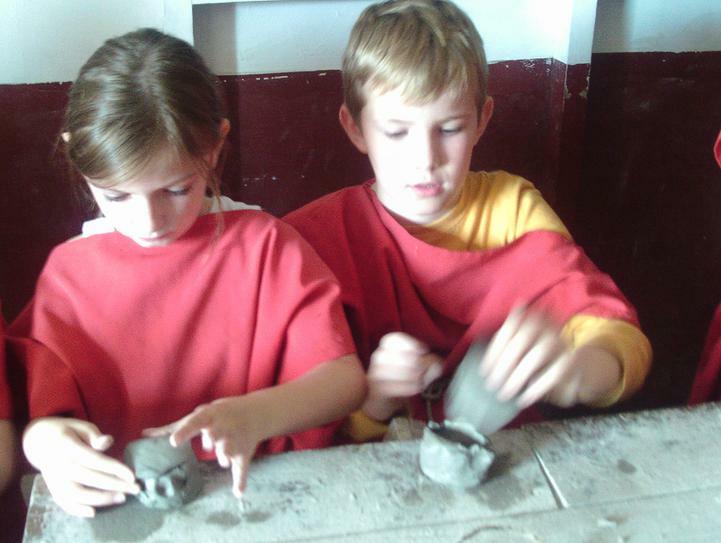 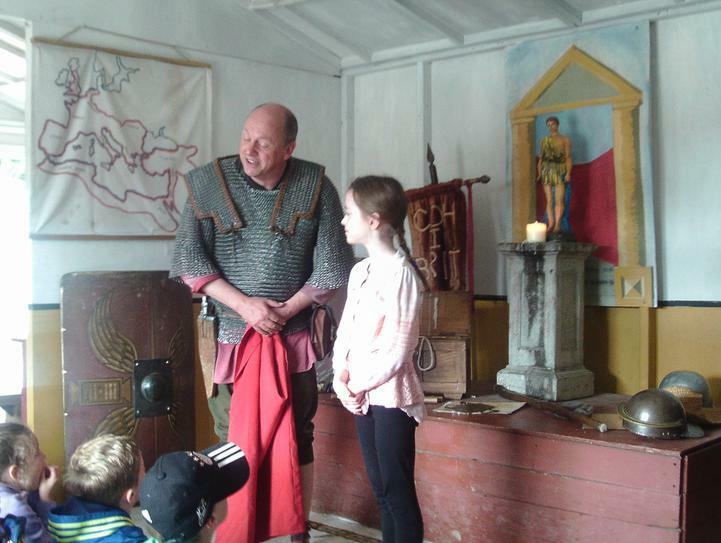 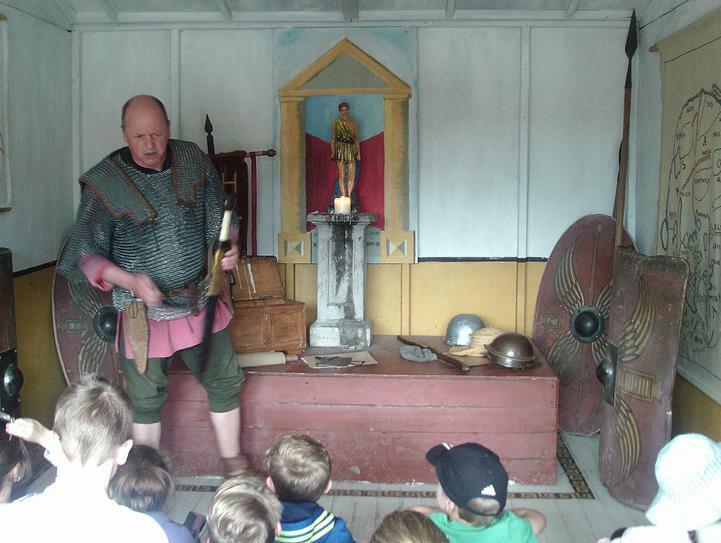 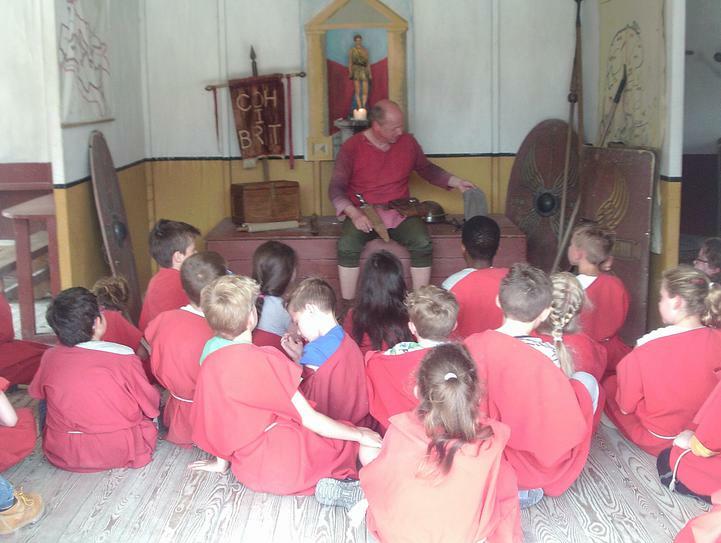 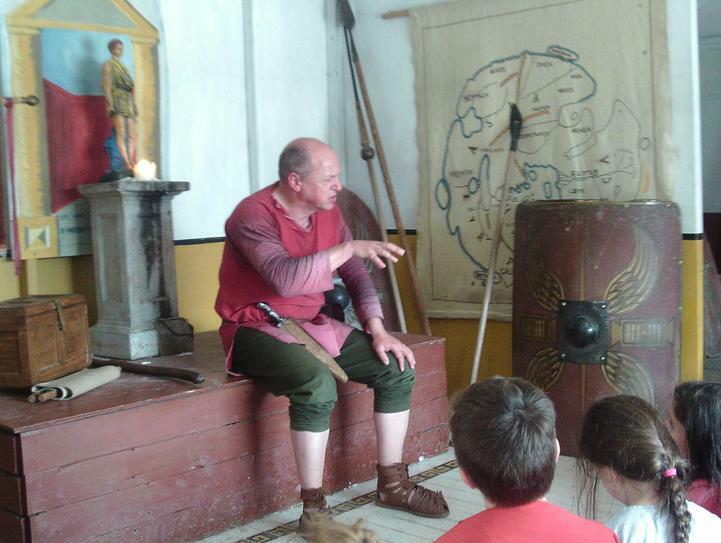 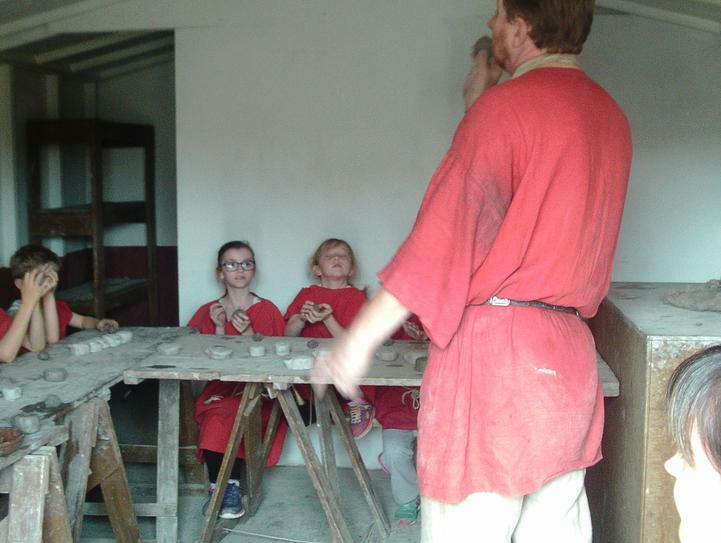 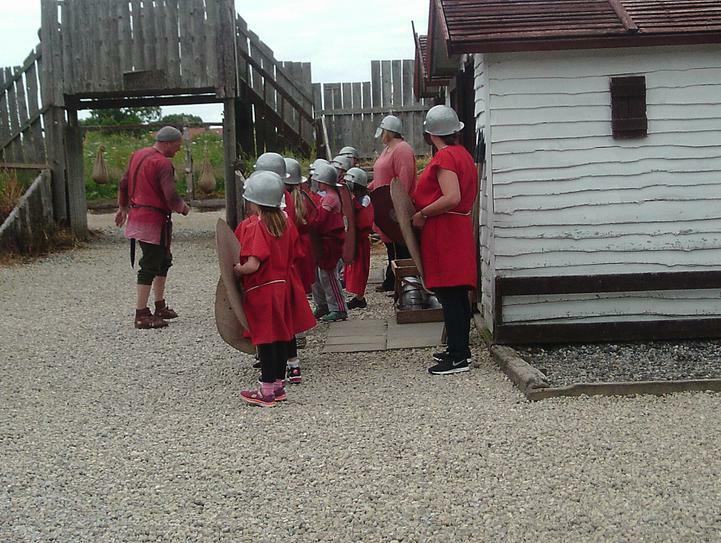 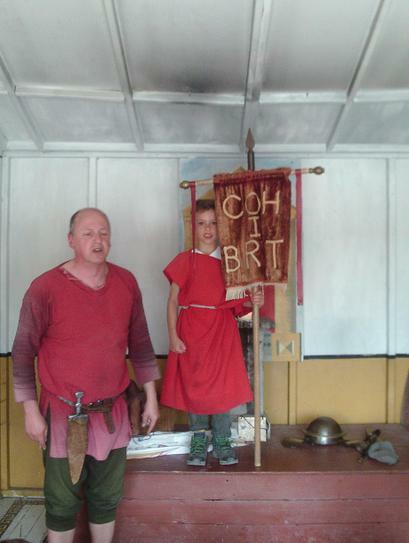 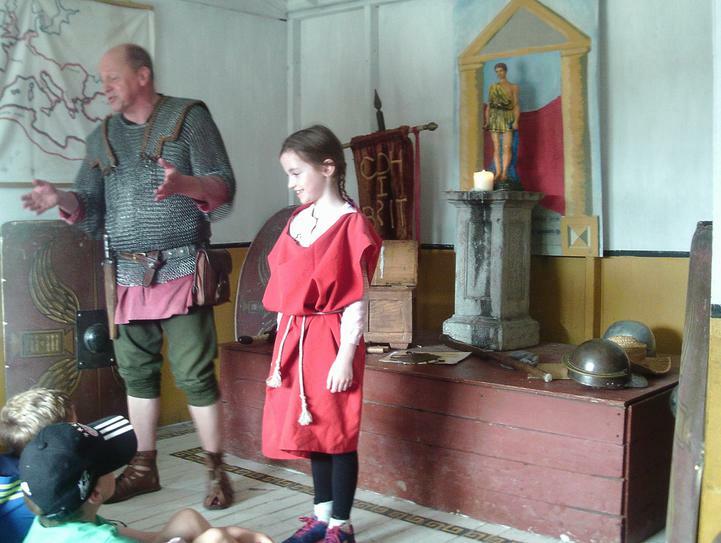 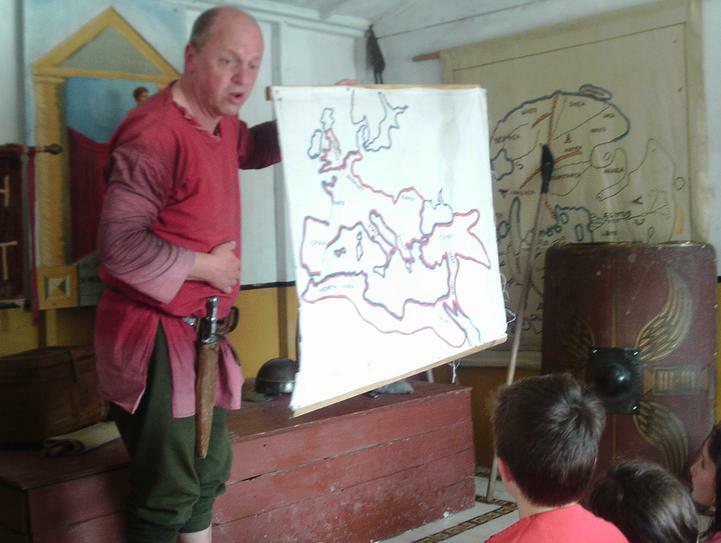 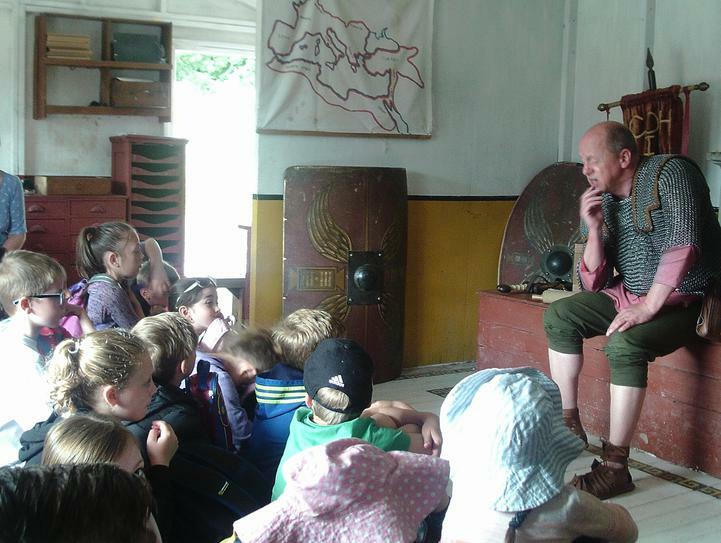 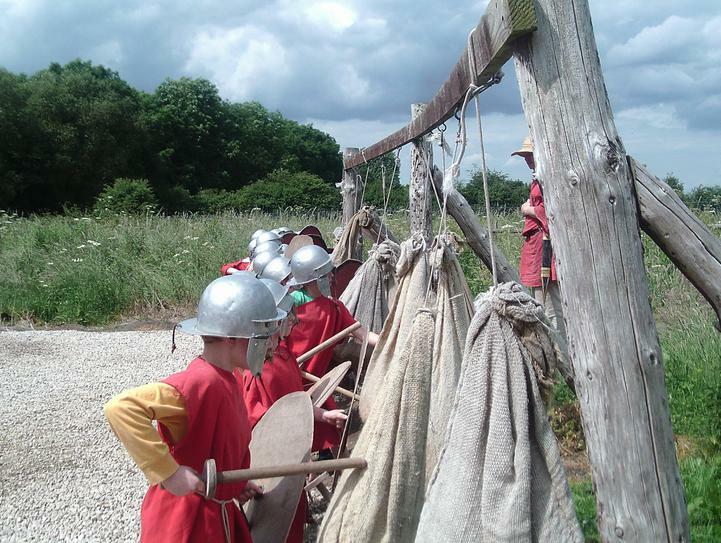 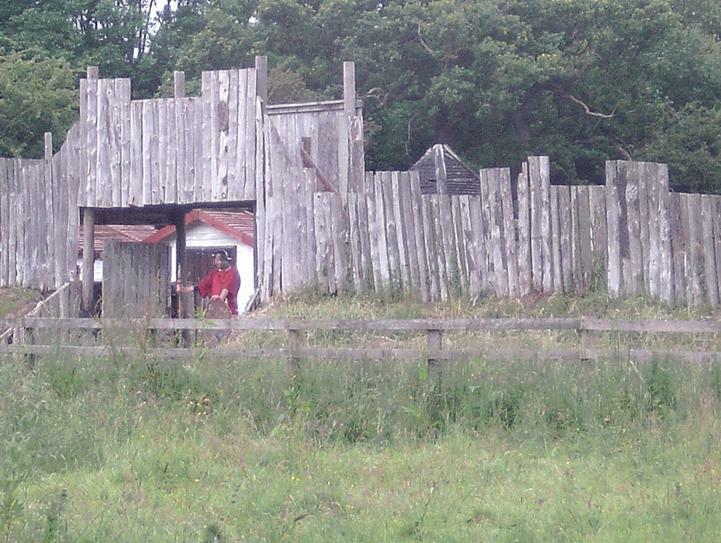 They learnt all about life as a new recruit, why the Roman's were successful in having such a large Empire and about some of the things they introduced to this country. 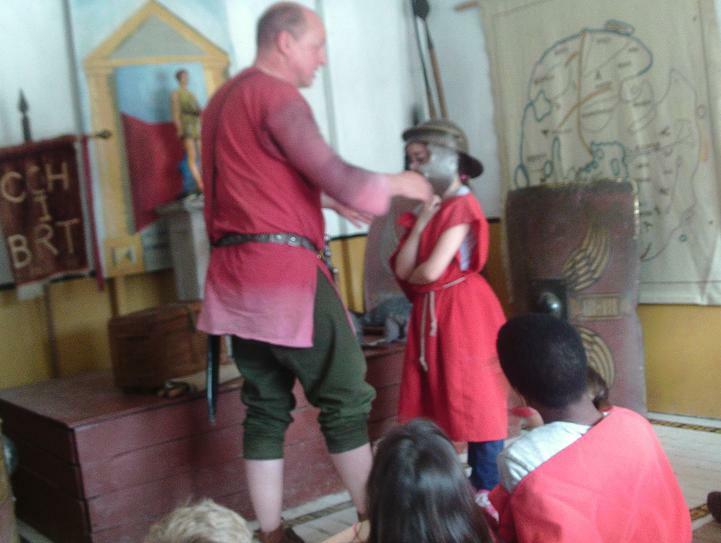 Everybody had a fantastic day and the Senior Centurion congratulated the children on being the best recruits he has ever had! 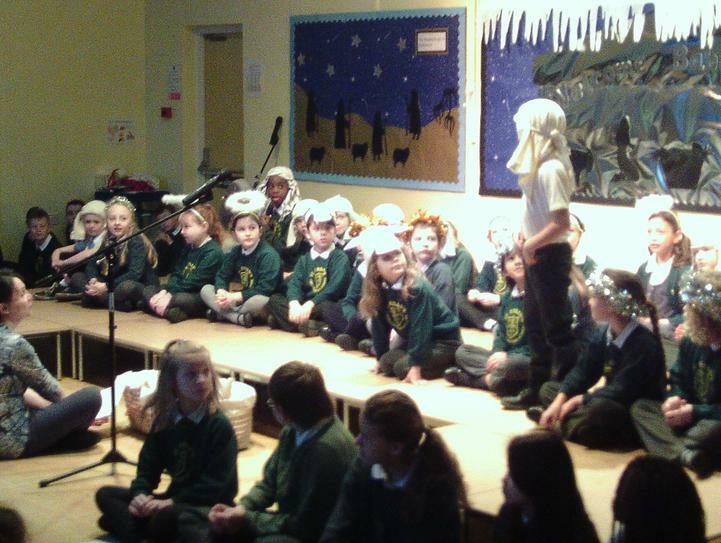 Well done Year 3- a credit to our school! 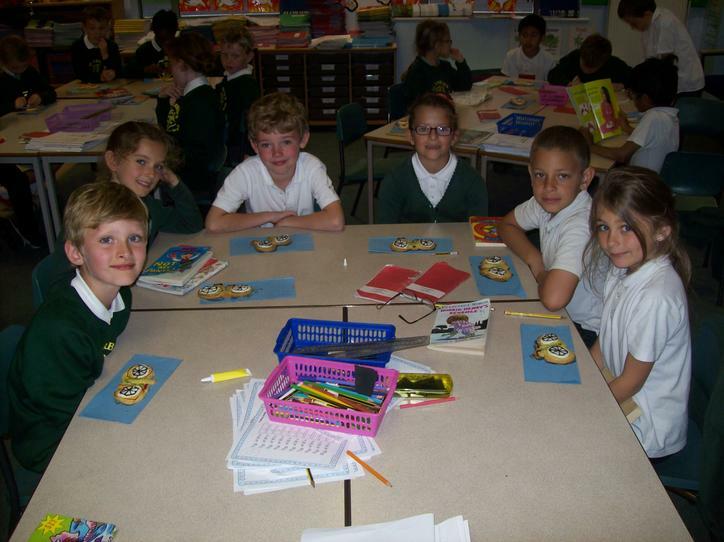 On Wednesday, Year Three had a visitor from D- side. 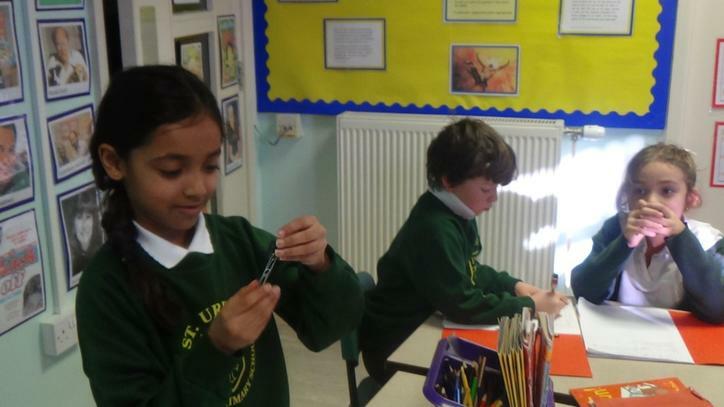 We found out what goes into a cigarette. 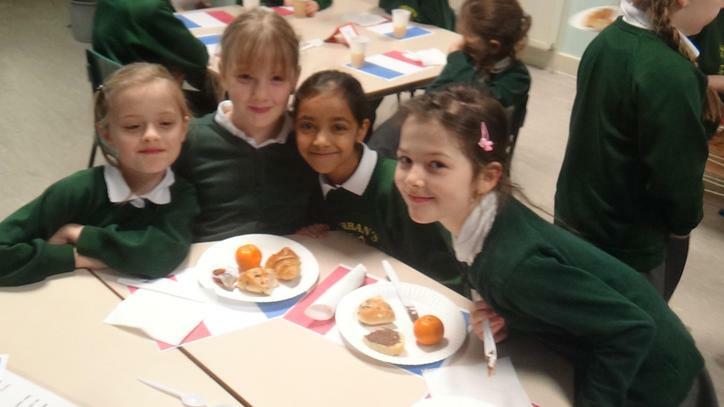 These are just a few of the ingredients. 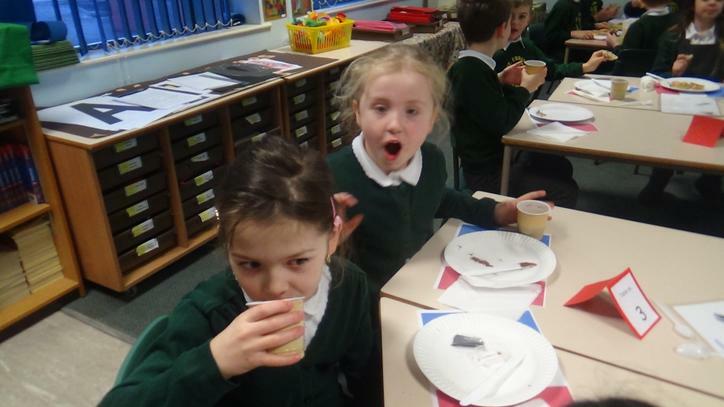 Yuk!! 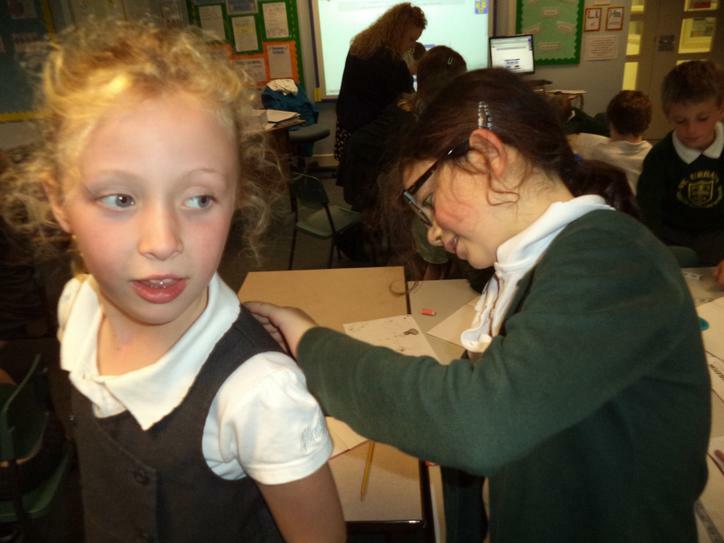 We also found out how smoking becomes addictive and the effects it can have on the body. 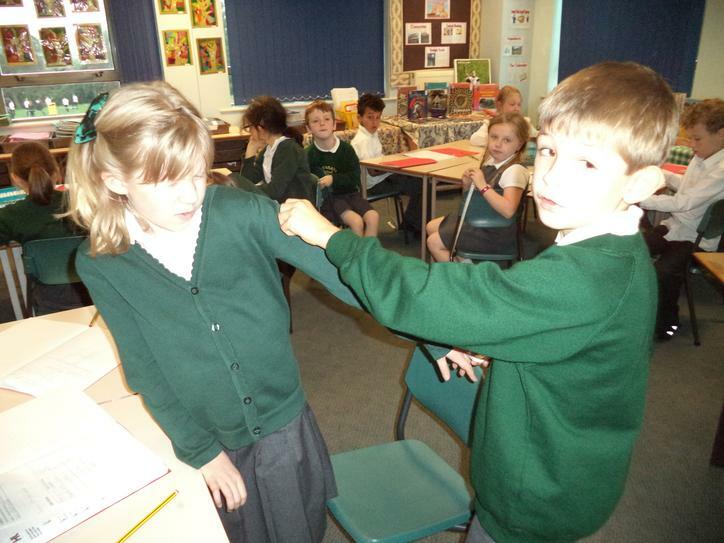 We saw how 'peer pressure' can persuade someone to try smoking and discussed and role played ways of avoiding it. 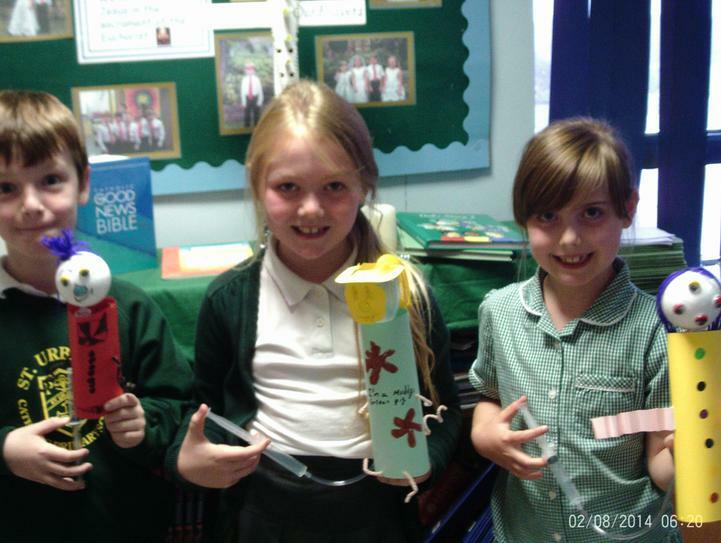 Here are some photographs of Year 3 Easter Egg designs for our competition. 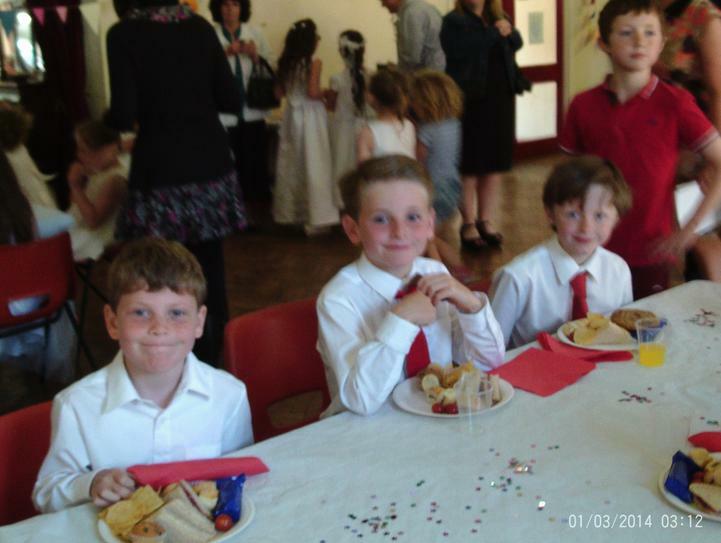 They all look fantastic! 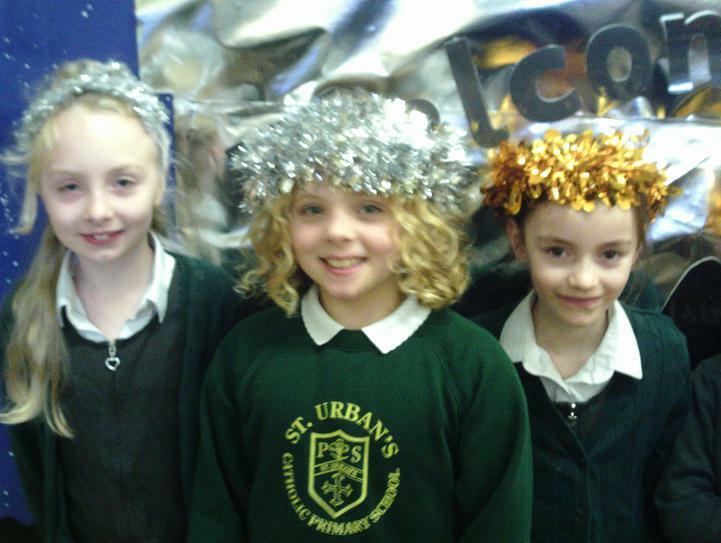 The winners will be announced at the end of the week. 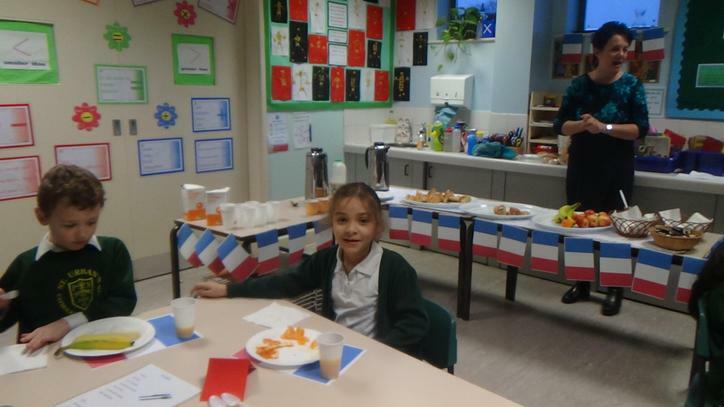 Year 3 have had a busy week learning lots of different things about France and French culture.On Tuesday they enjoyed a French breakfast. 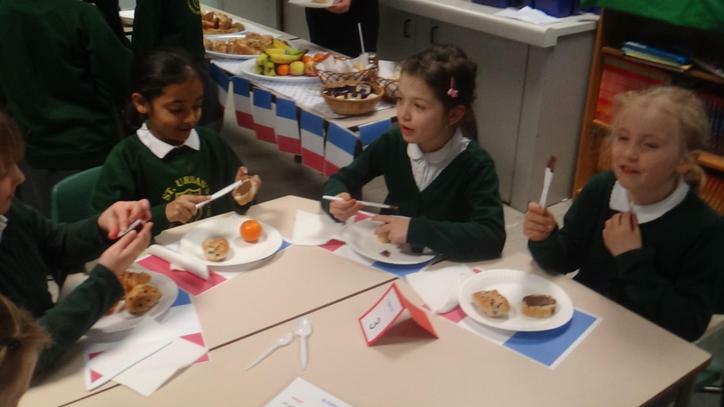 C'etait delicieux! 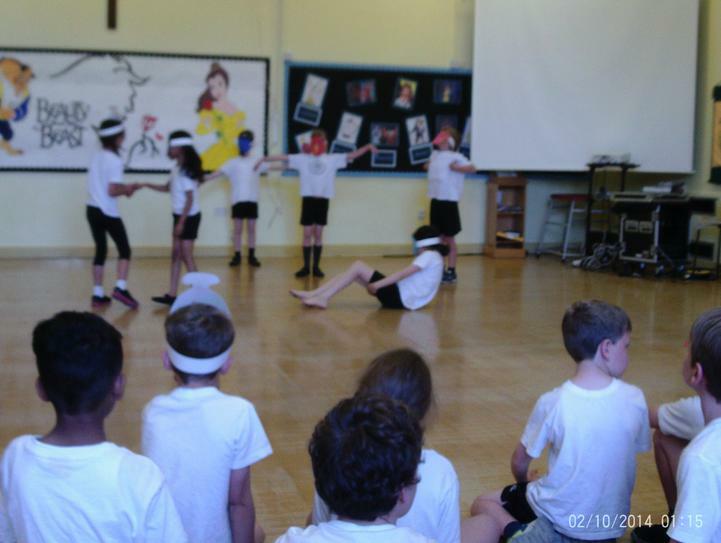 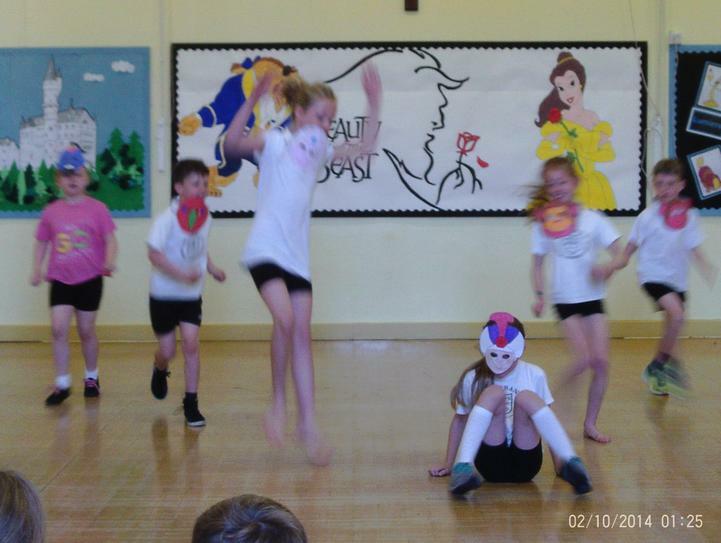 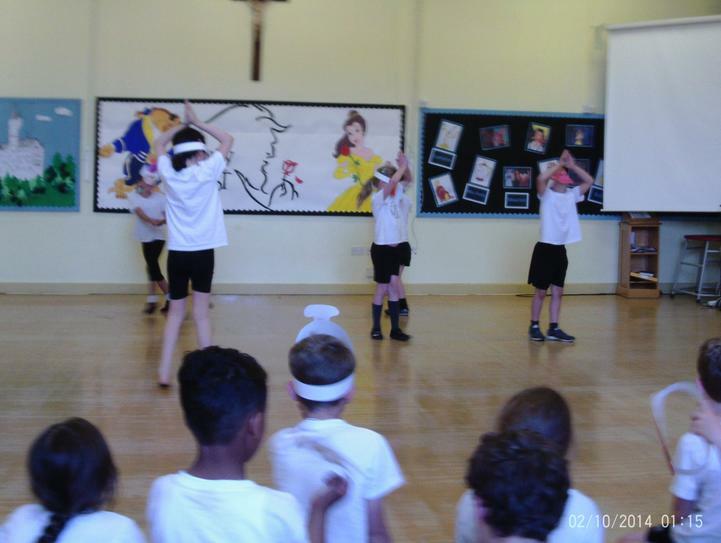 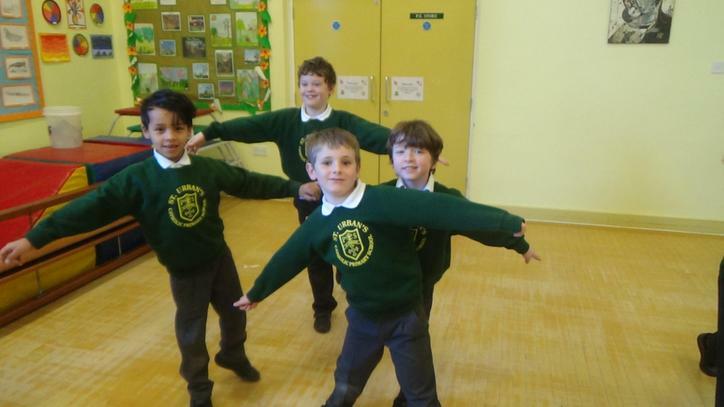 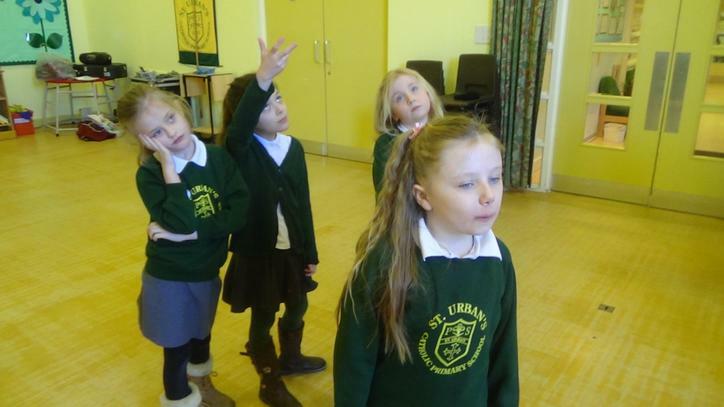 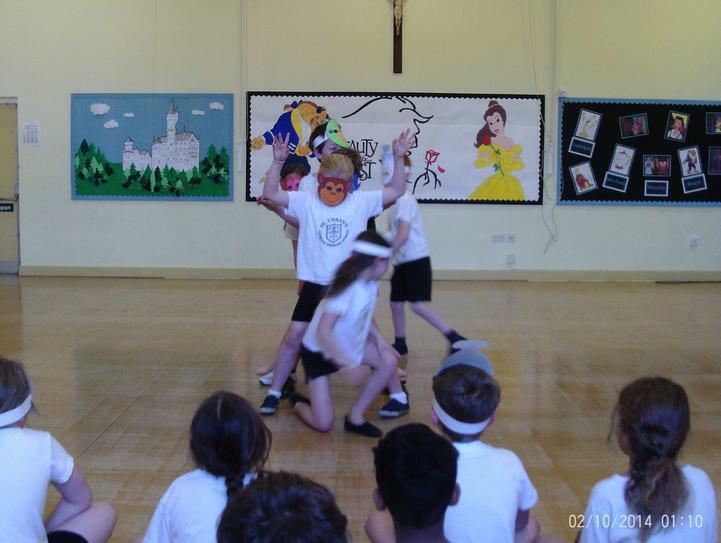 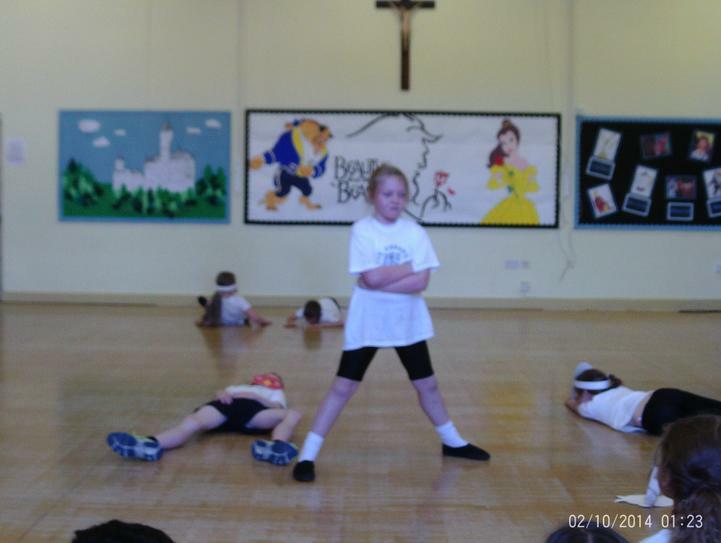 Year three have had a dance module this half term. 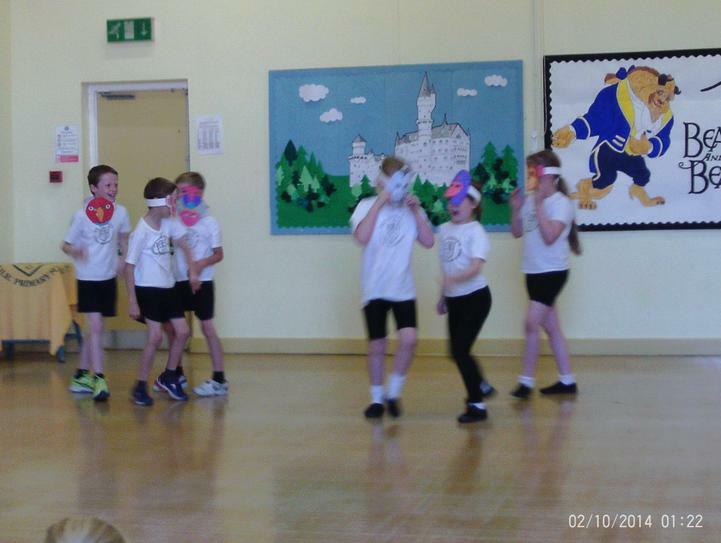 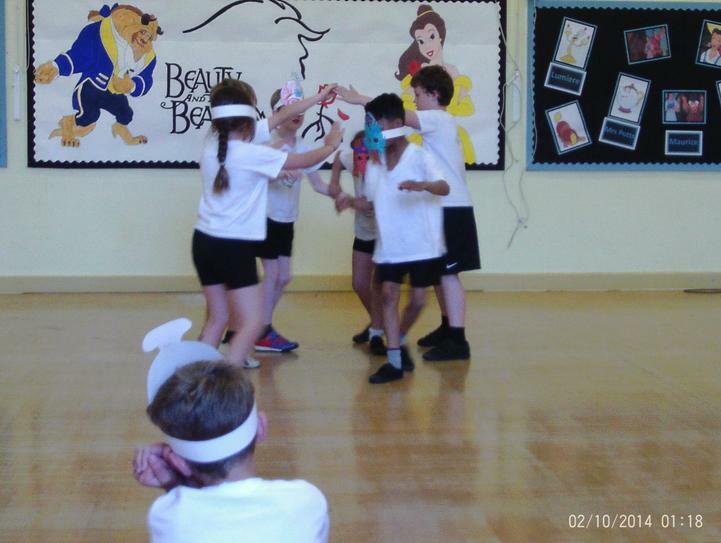 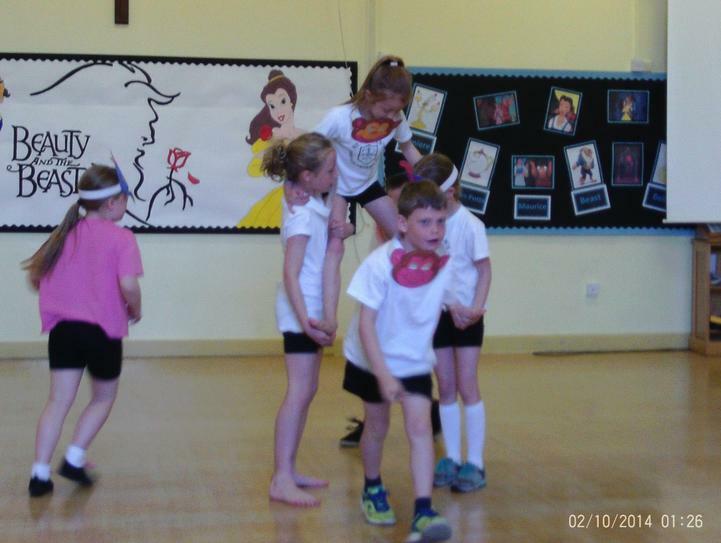 They worked in teams to create their own dance about Aladdin. 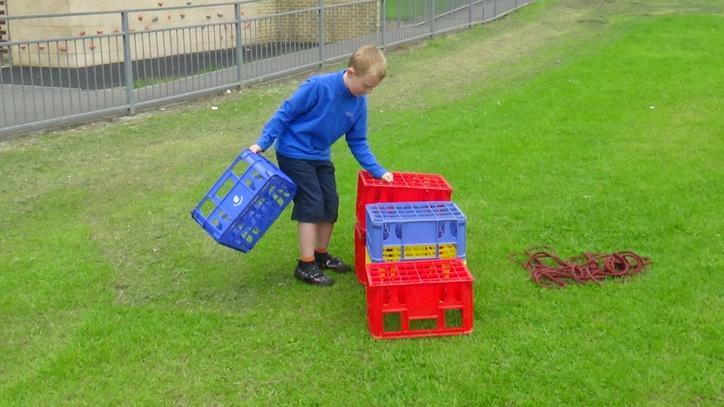 They had some great ideas and are developing their team work skills. 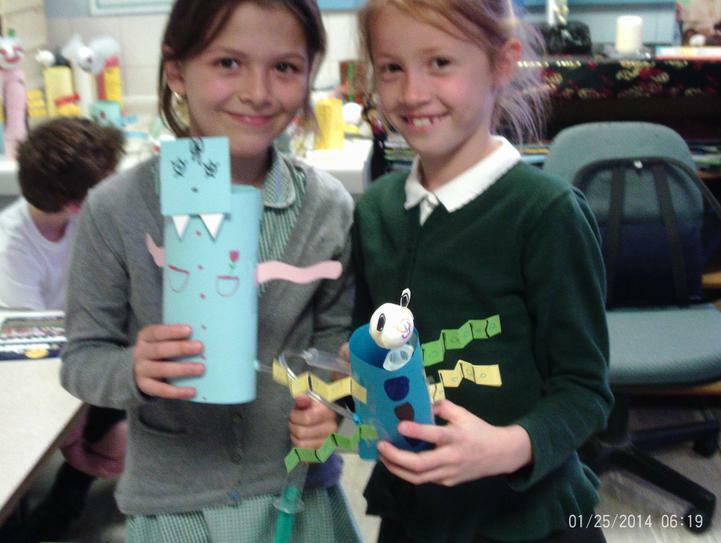 Some scary moving monsters have been created in D&T. 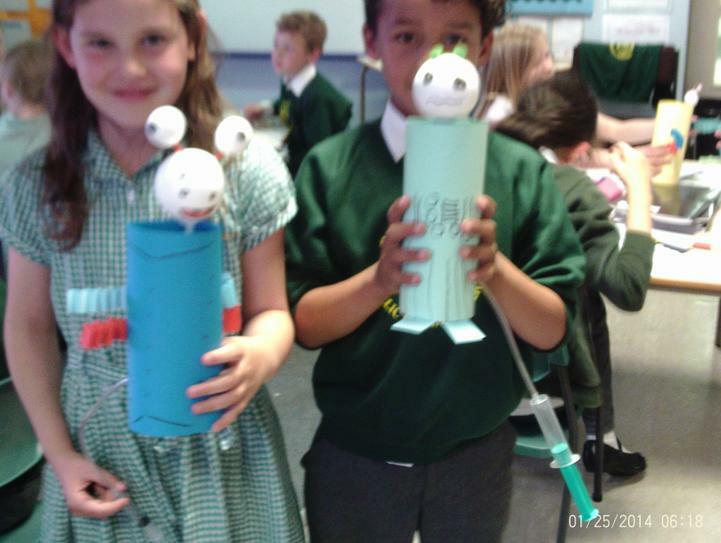 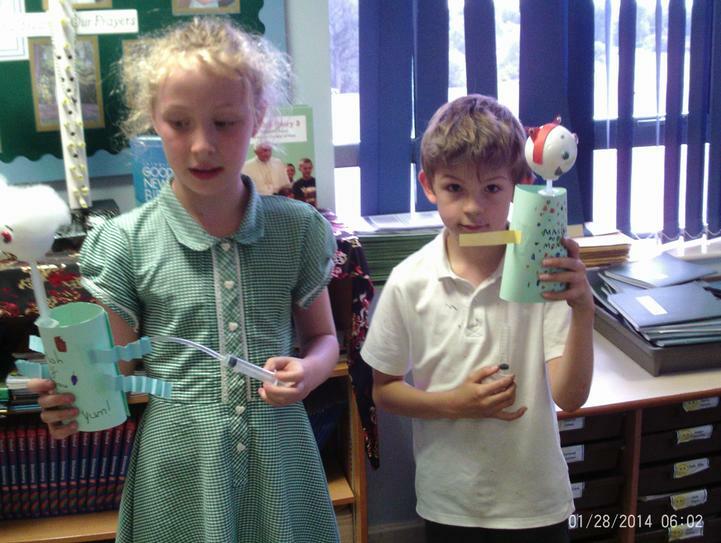 The children used their knowledge of pneumatics to make them move. 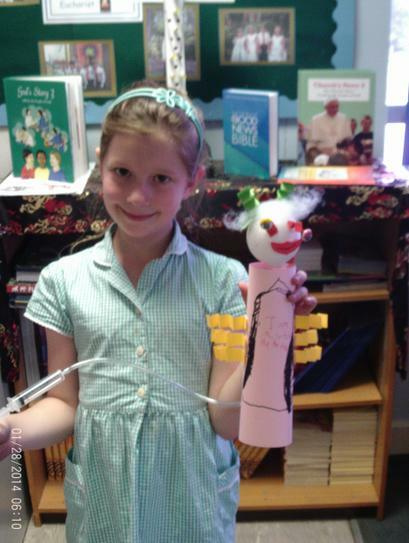 Who is scarier, the monster or the maker? 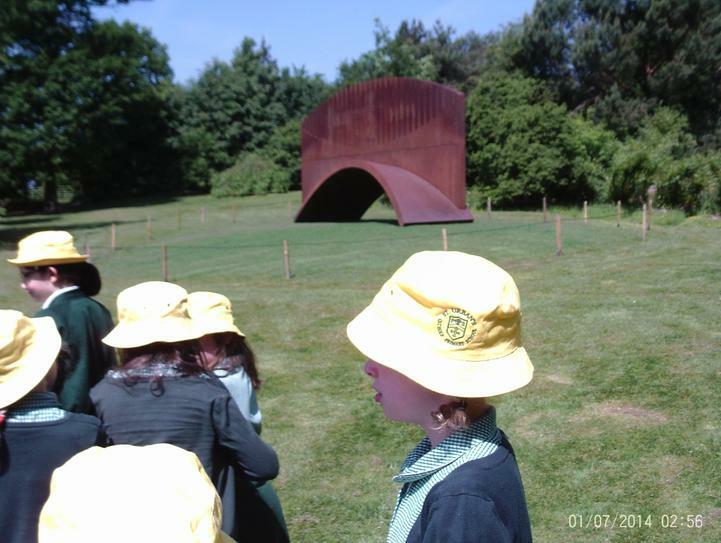 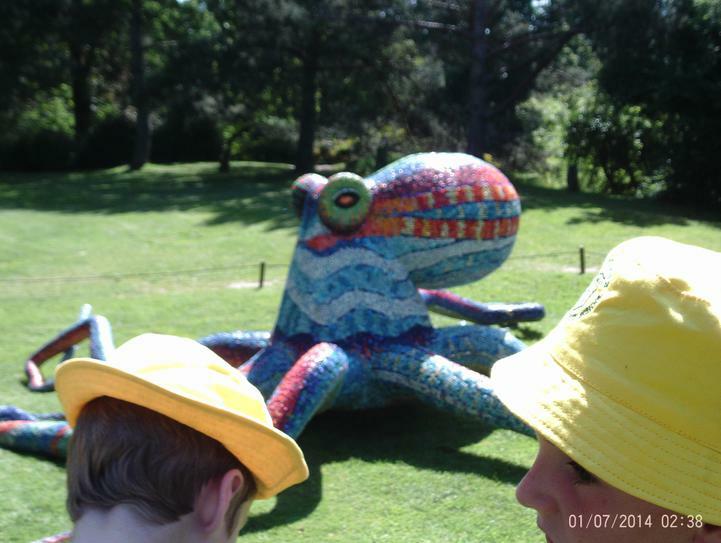 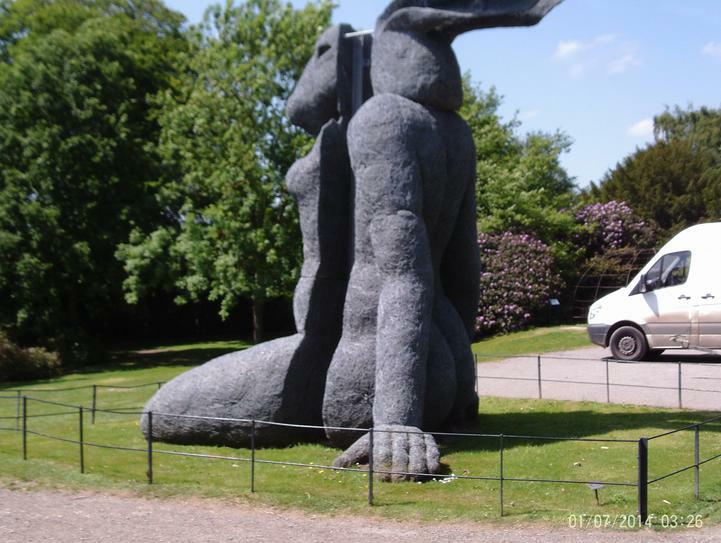 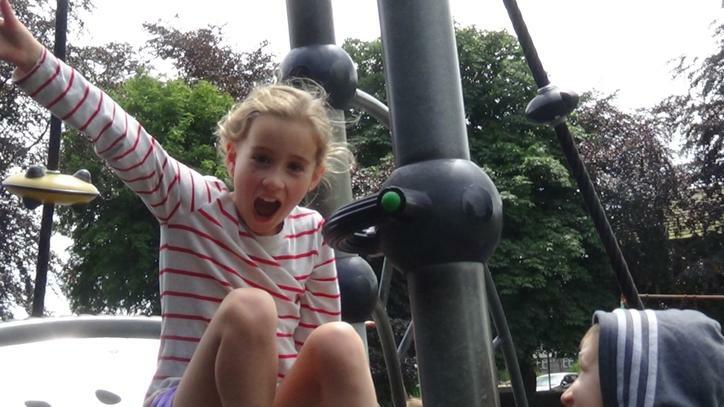 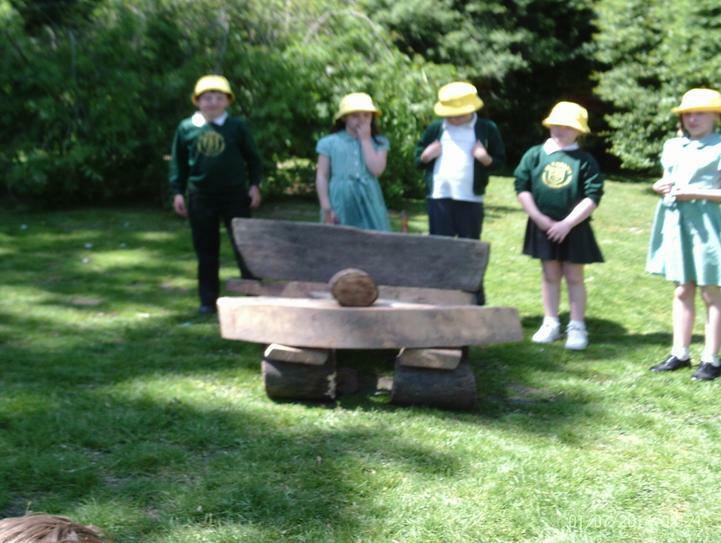 Year 3 had a great day at the Yorkshire Sculpture Park. 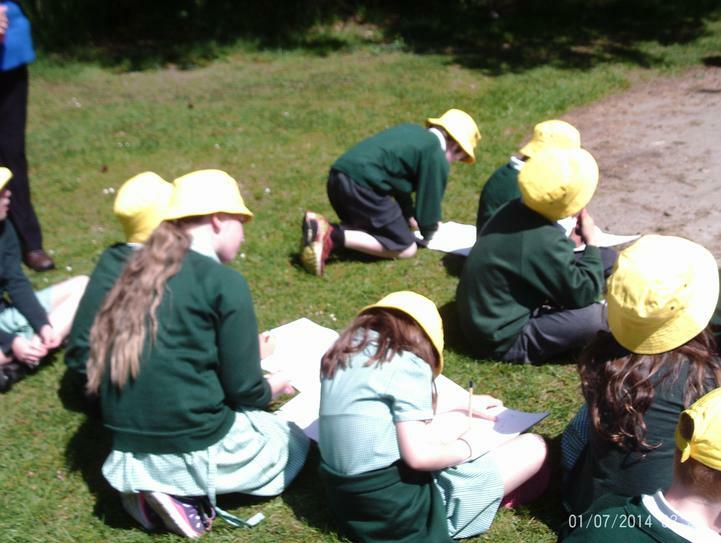 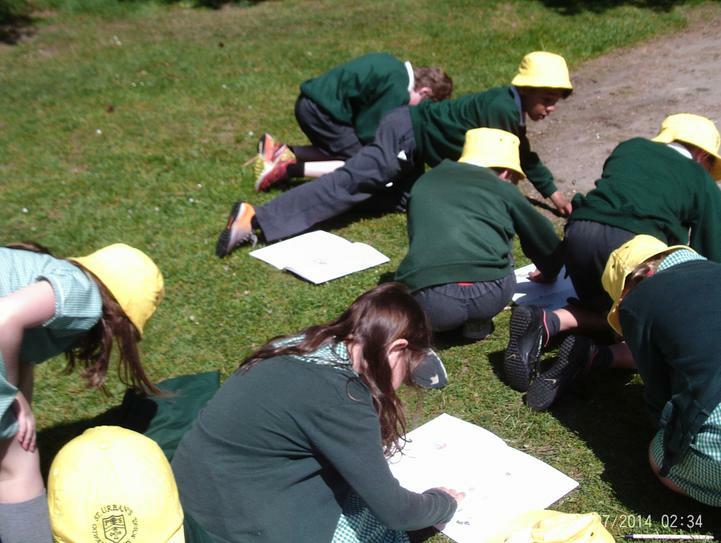 We looked at lots of sculptures and had a go at drawing them. 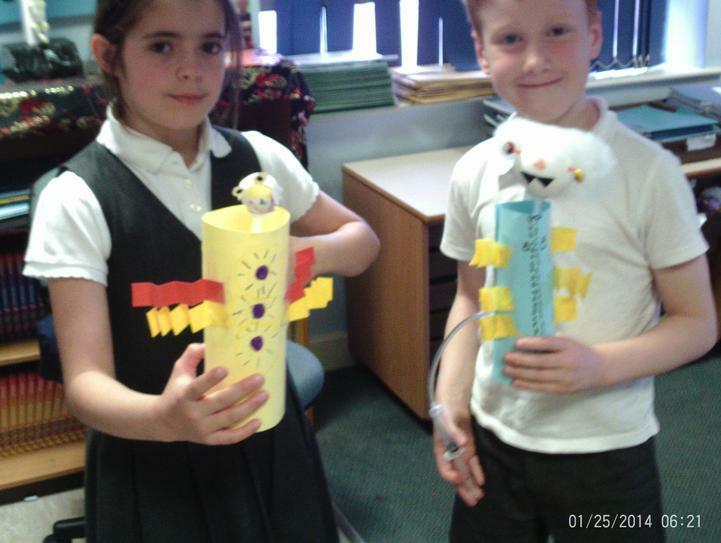 We heard a story about the Native American Totem Pole. 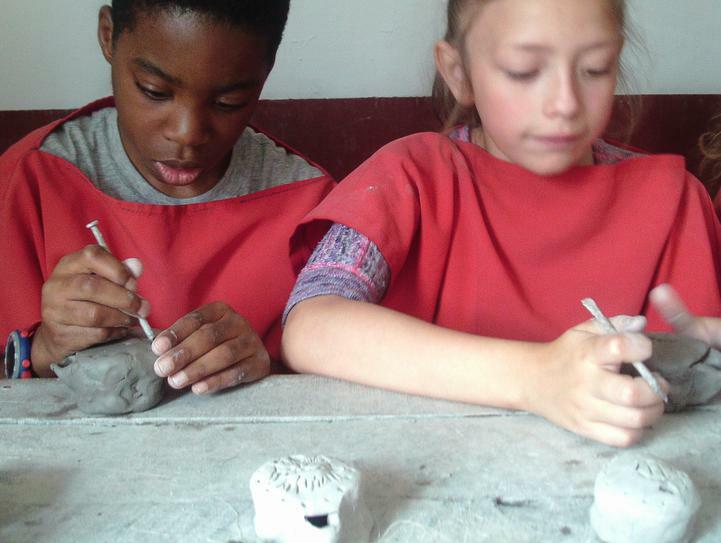 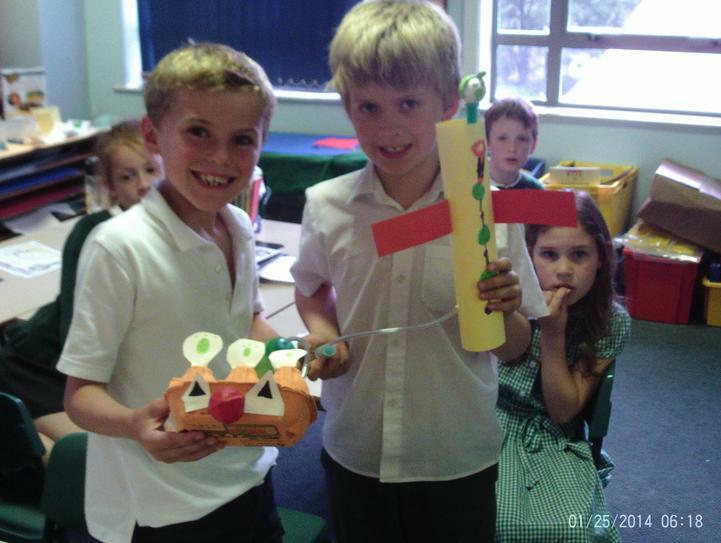 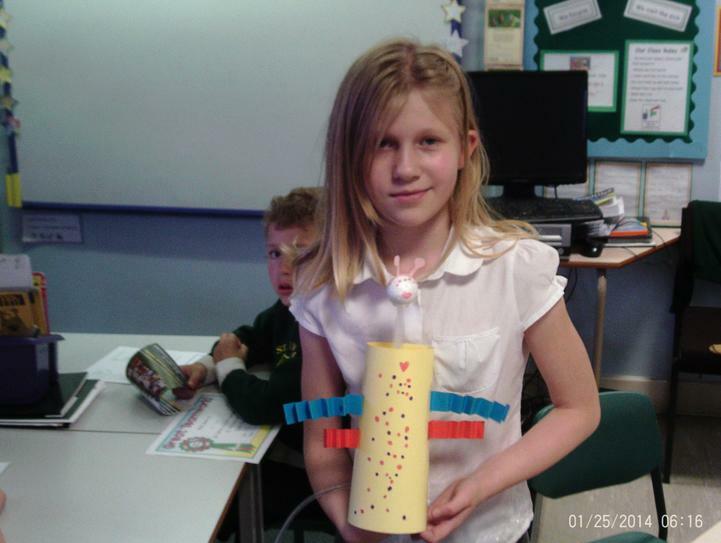 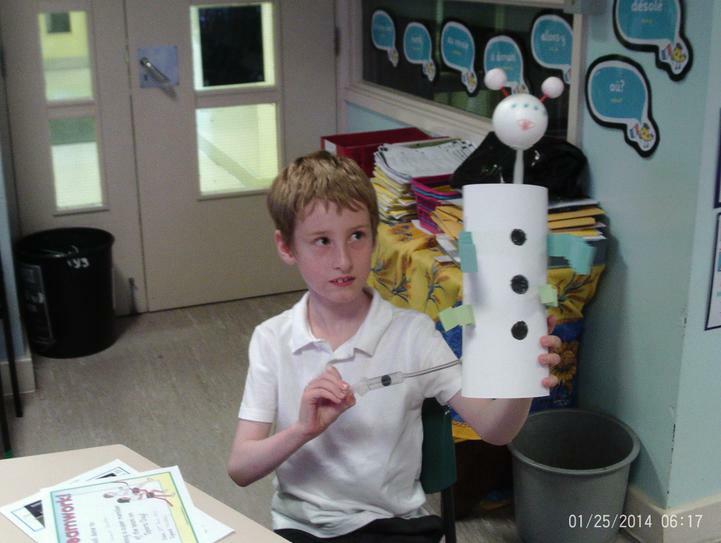 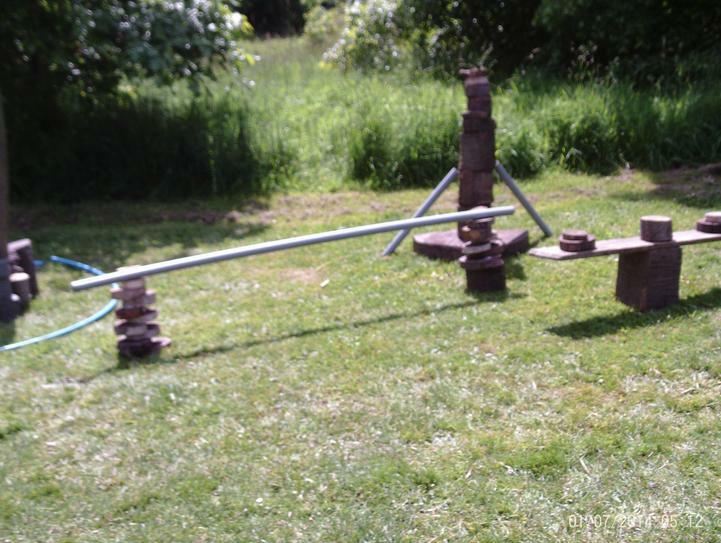 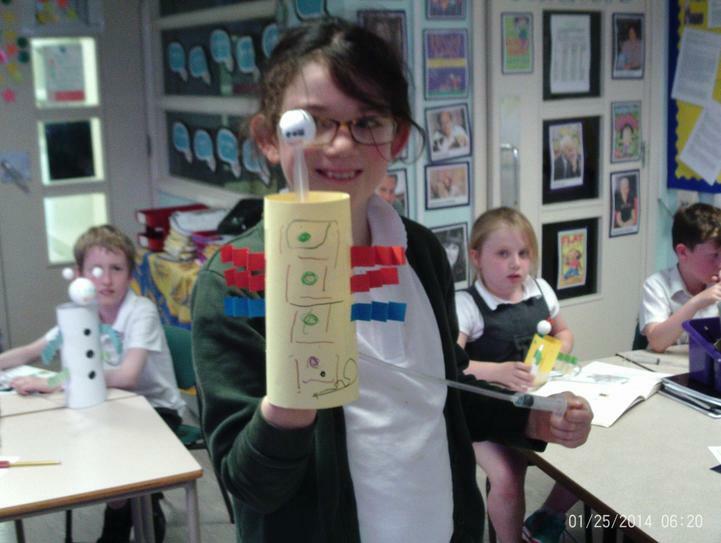 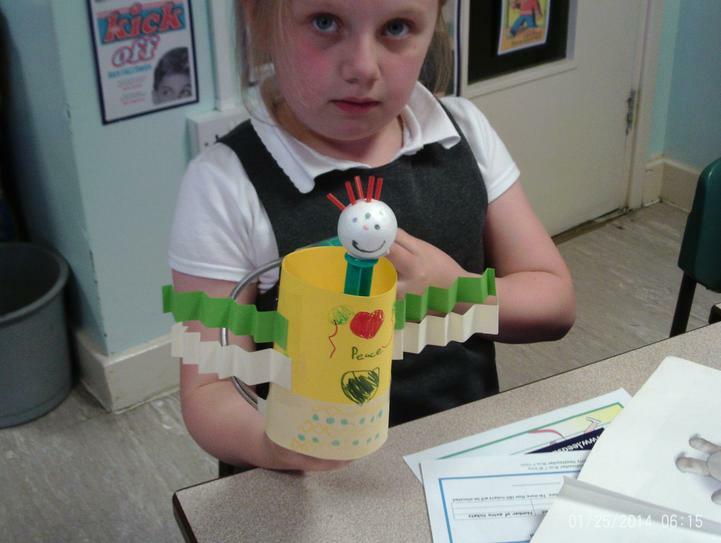 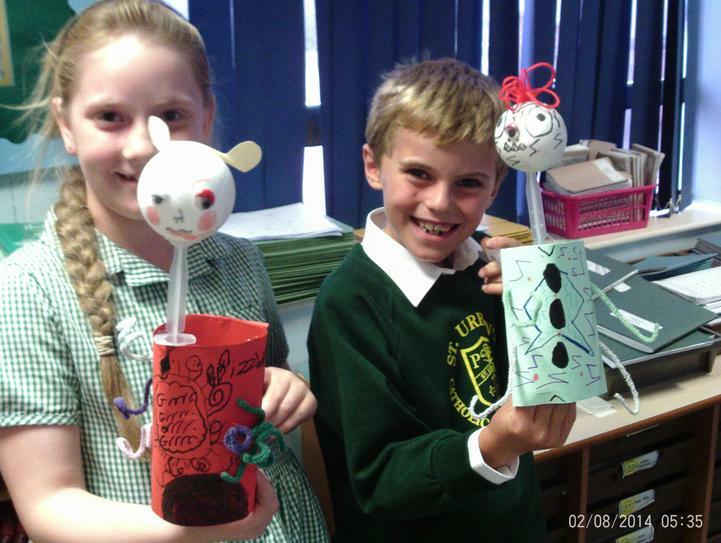 The class even made their own sculptures, what do you think of them? 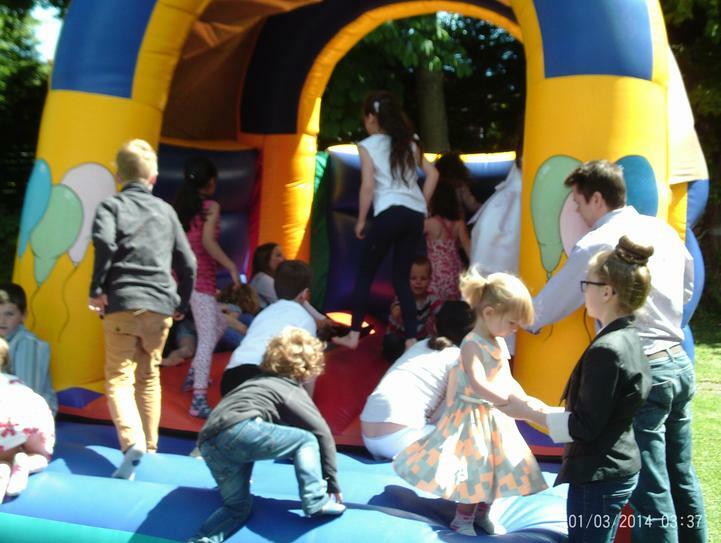 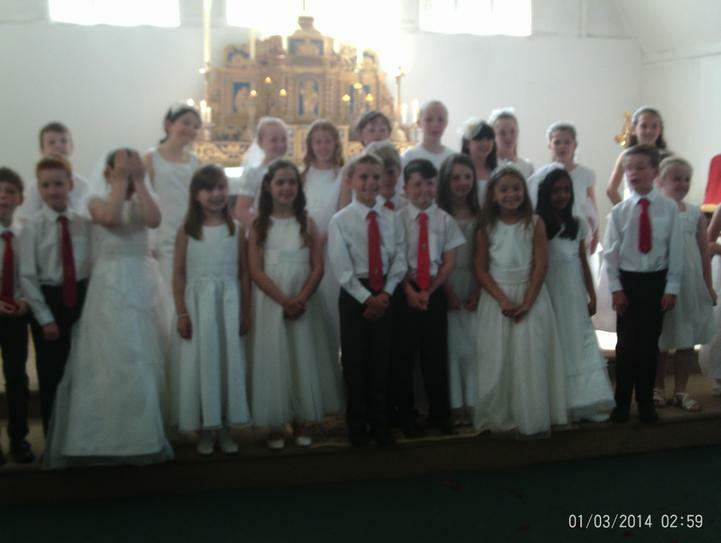 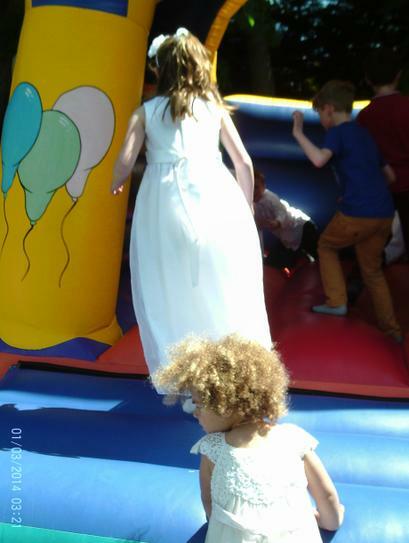 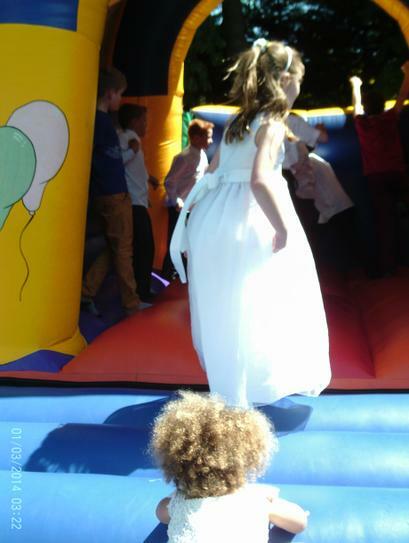 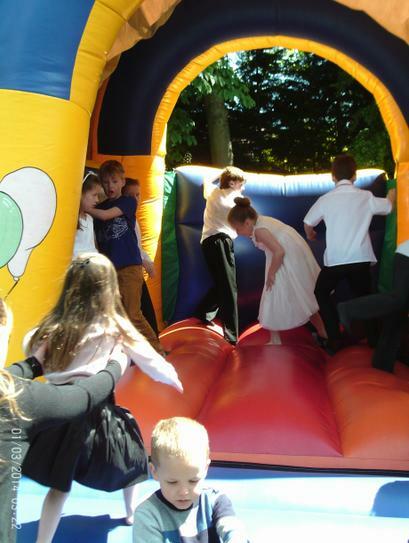 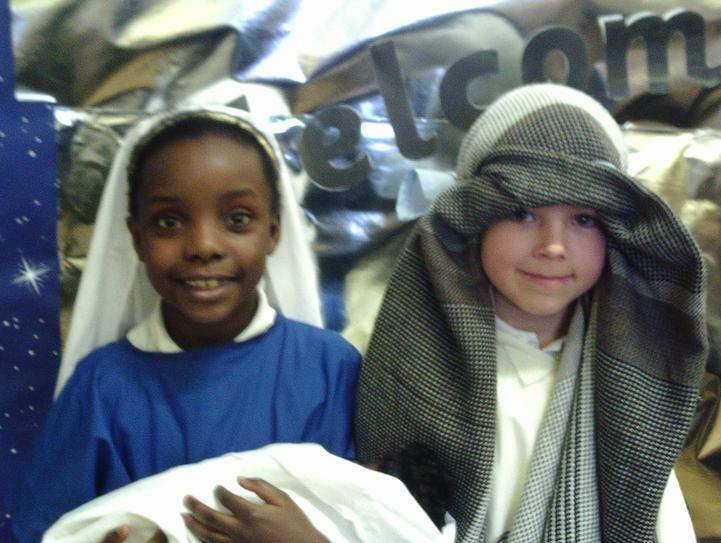 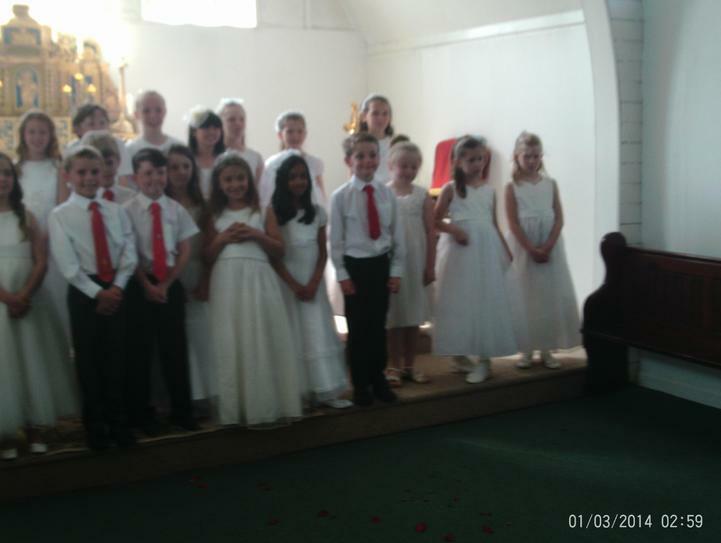 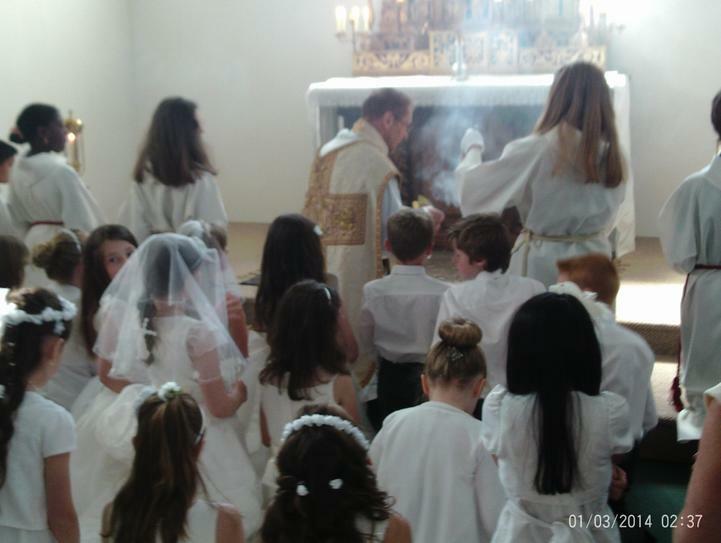 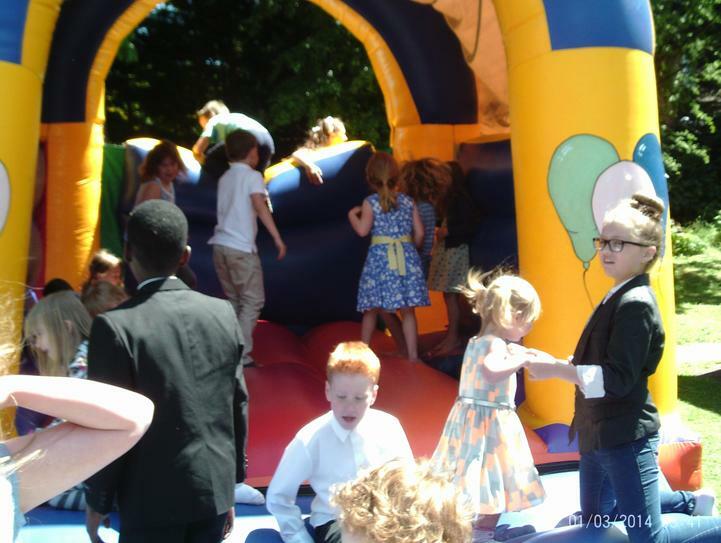 A very enjoyable morning at Lady Of Lourdes church for our children. 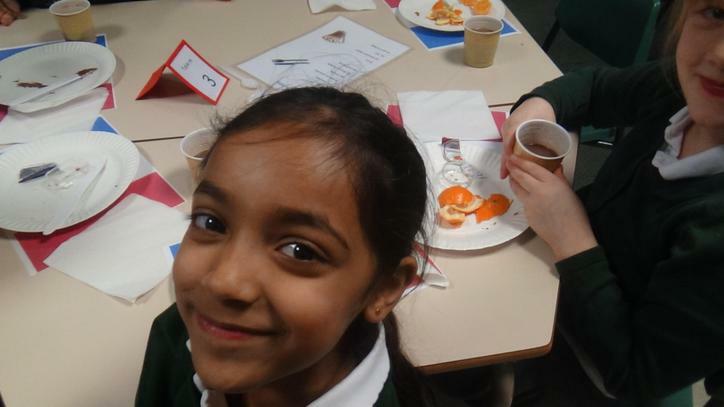 Thank you to all the parents who helped and to those who provided the wonderful selection of food. 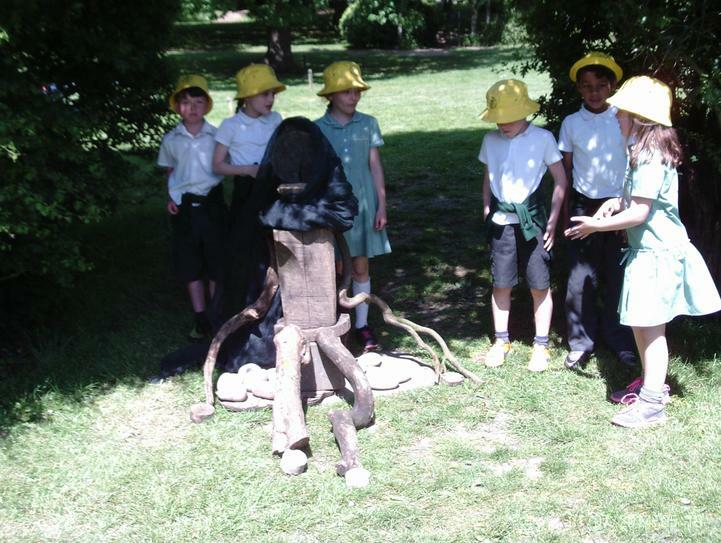 This Term the children have been working with ARTIS. 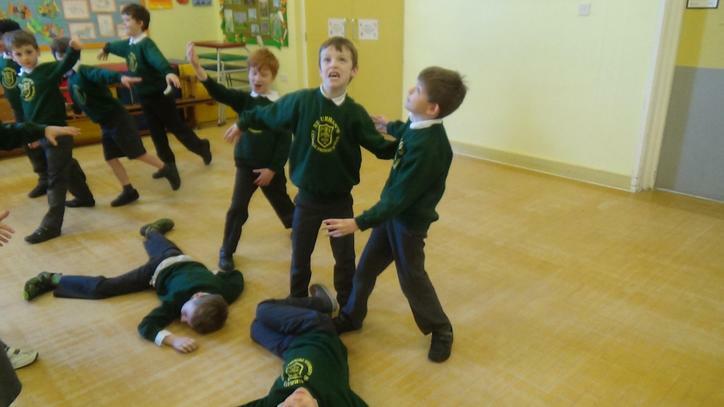 They have been acting out and creating freeze frames for some mythical stories. 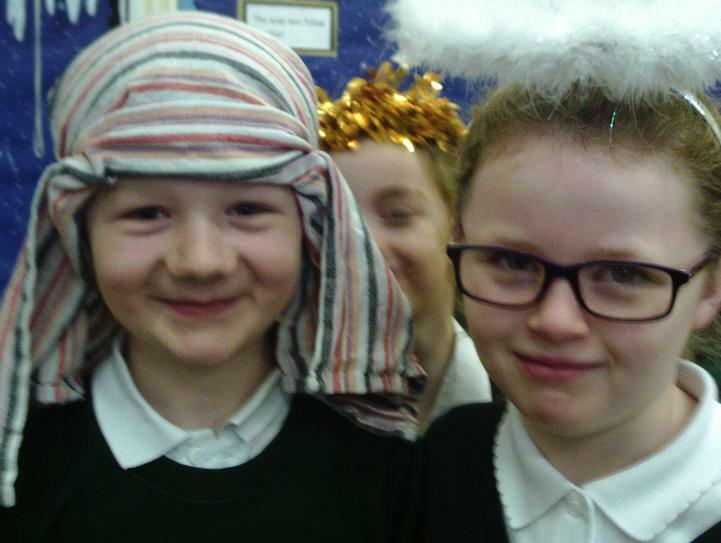 They have really enjoyed acting out the stories that link into their Literacy work and have had to think carefully about the thoughts and feelings of the characters in the stories. 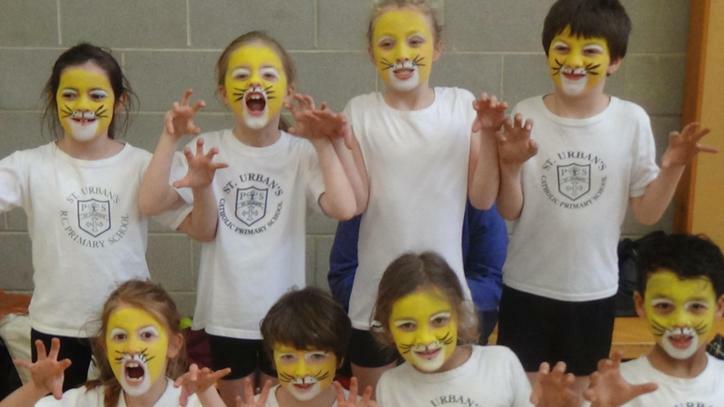 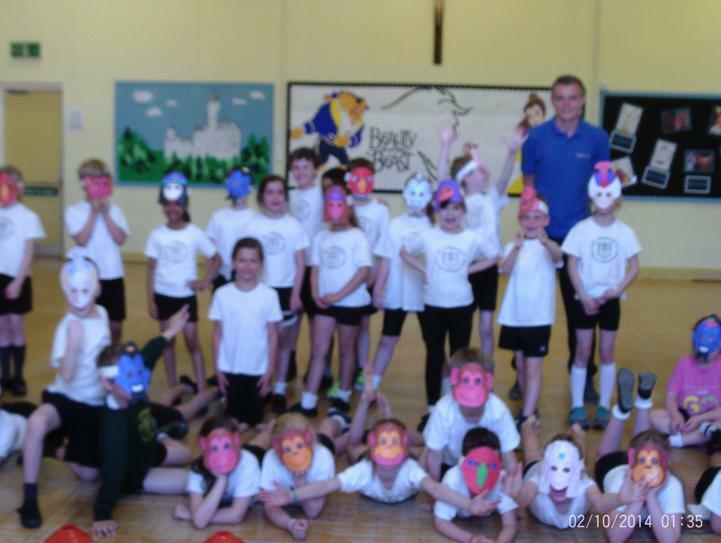 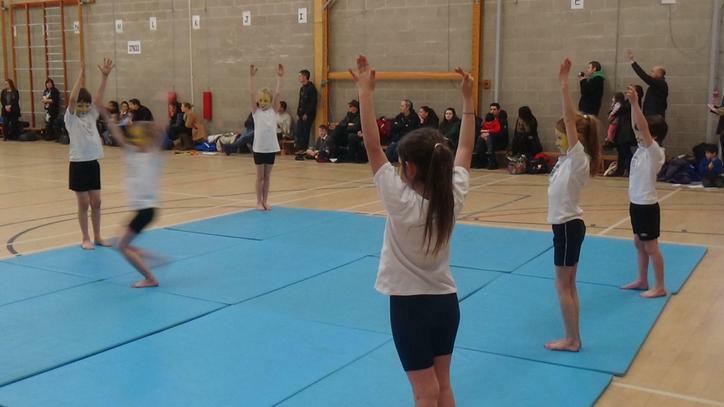 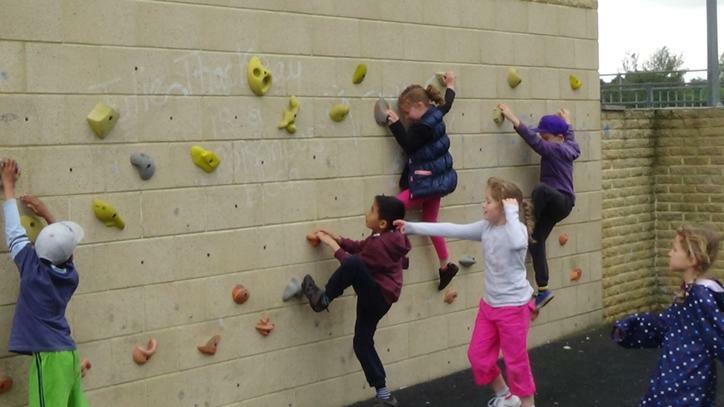 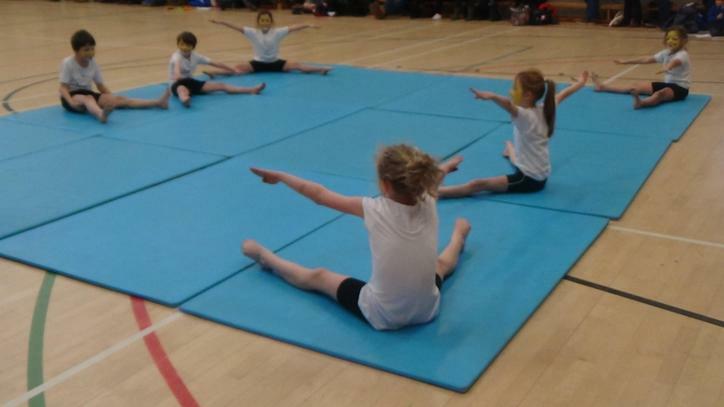 Today Year 3 took part in the Inter-schools Gymnastic Festival. 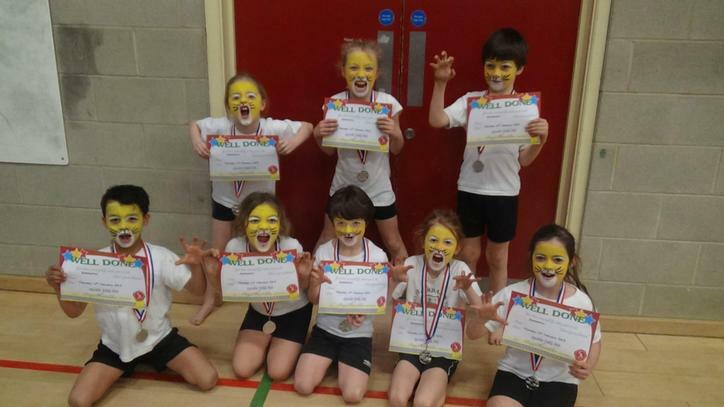 They worked really hard on their routine throughout the whole half term and then competed against many schools in the local area. 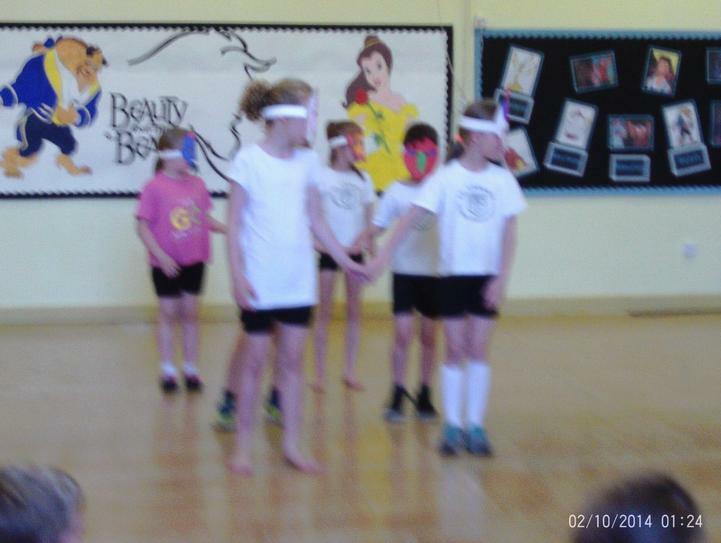 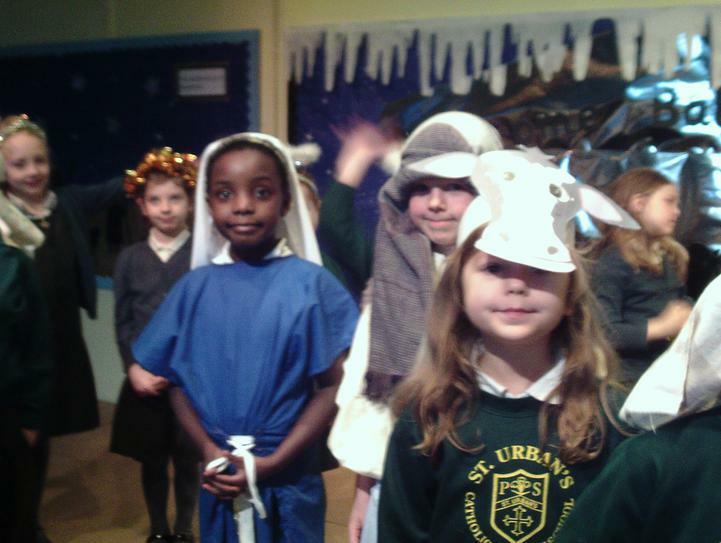 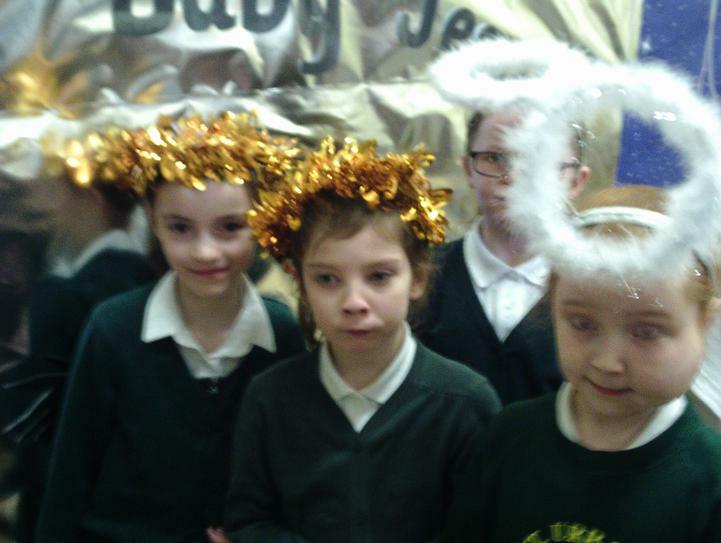 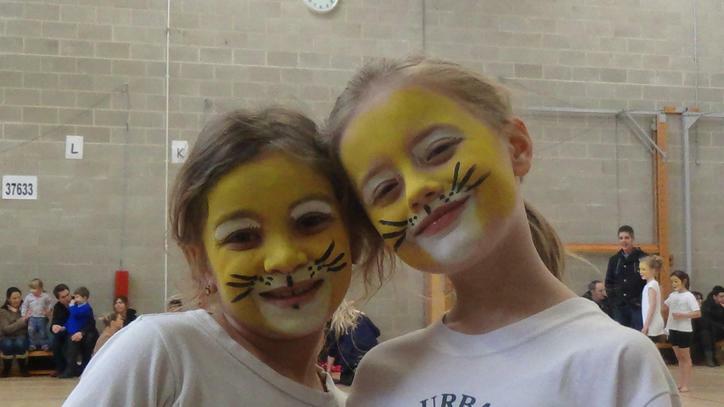 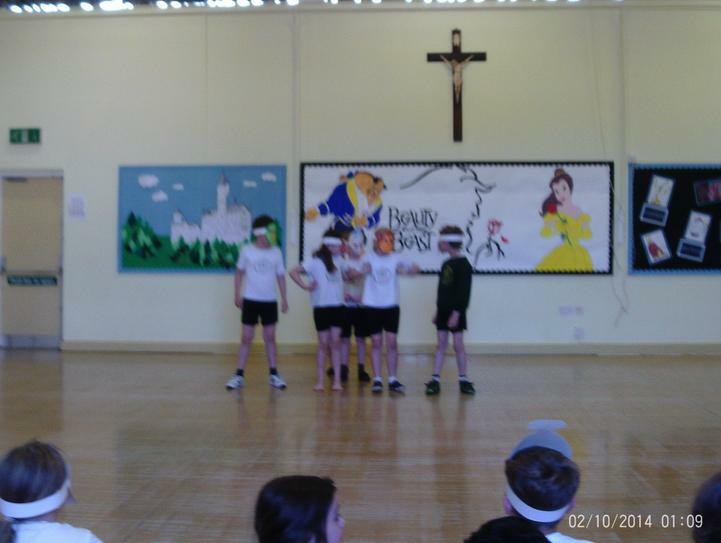 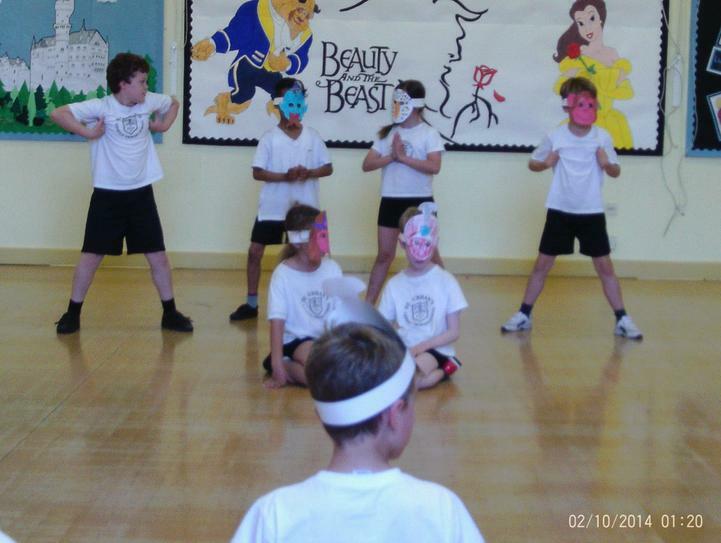 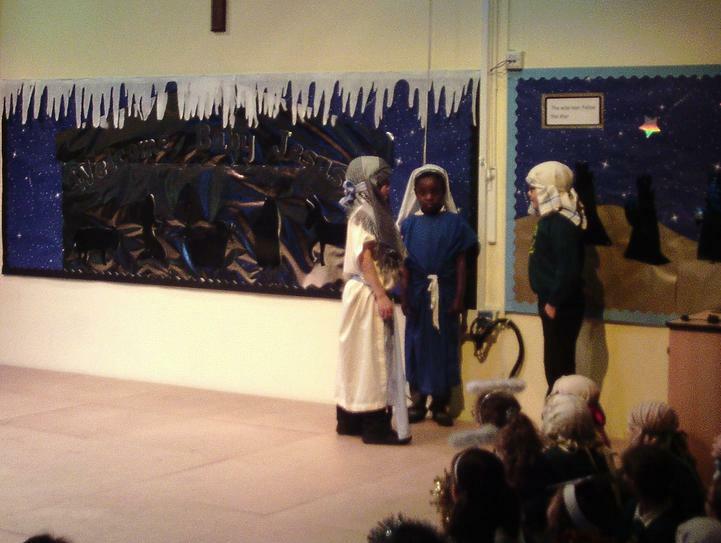 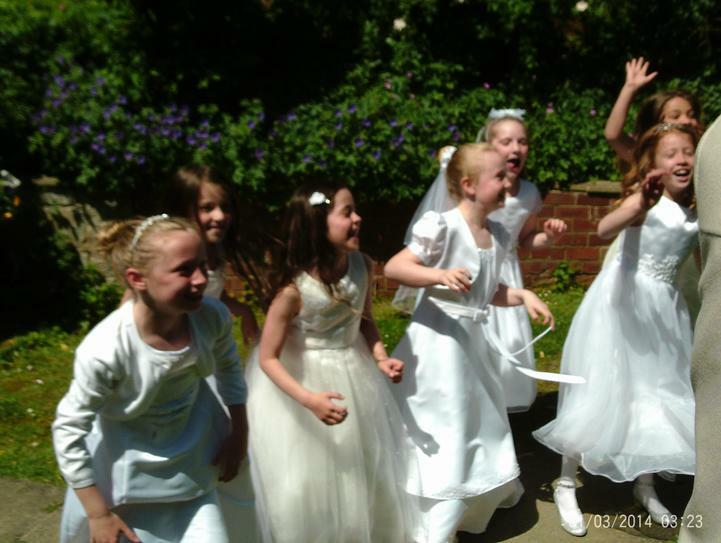 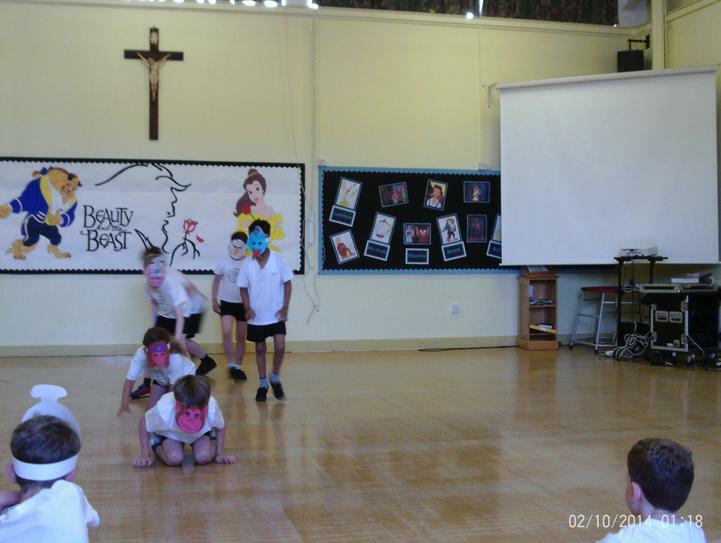 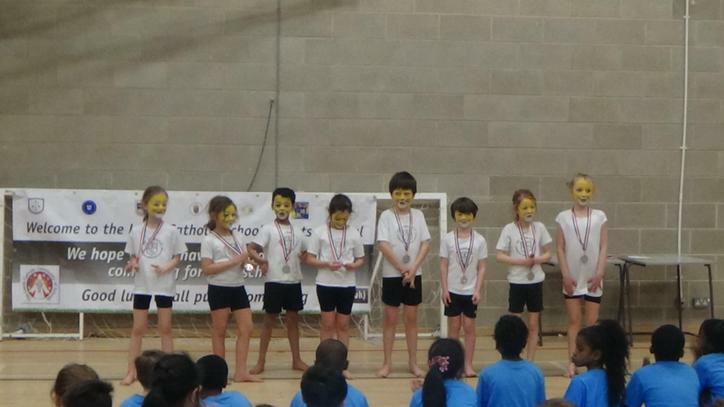 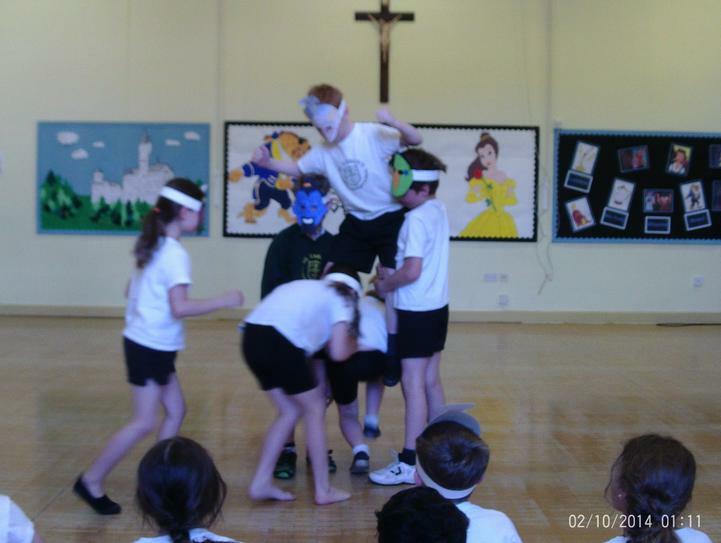 The children performed their routine brilliantly and were awarded 2nd place. 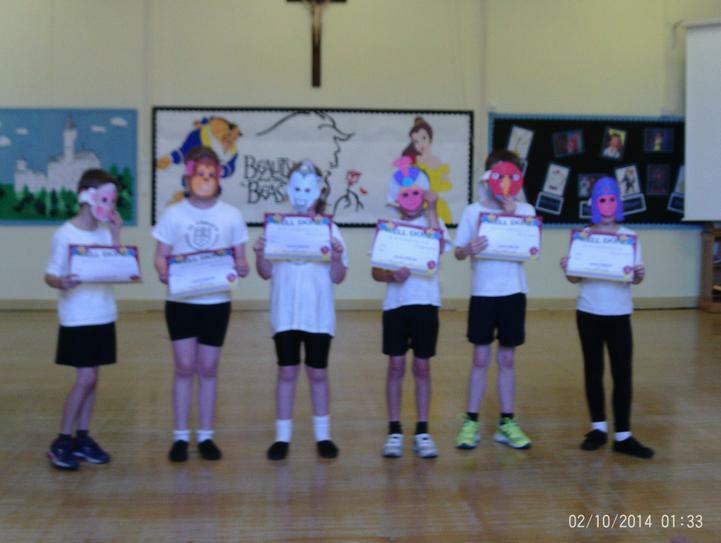 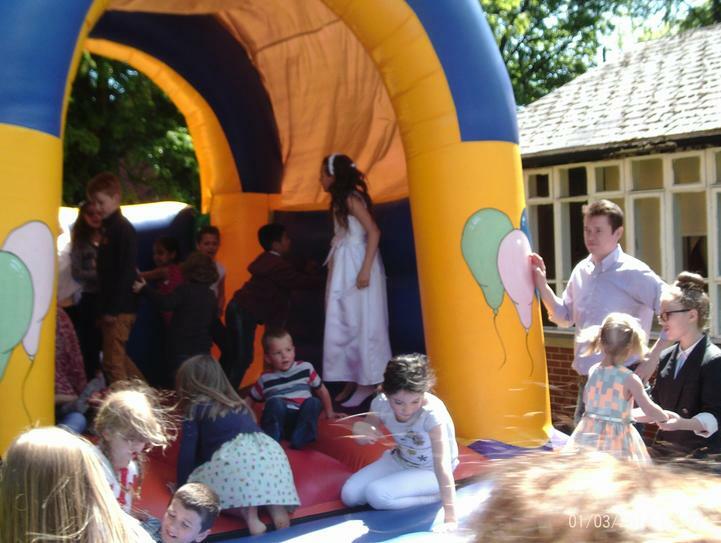 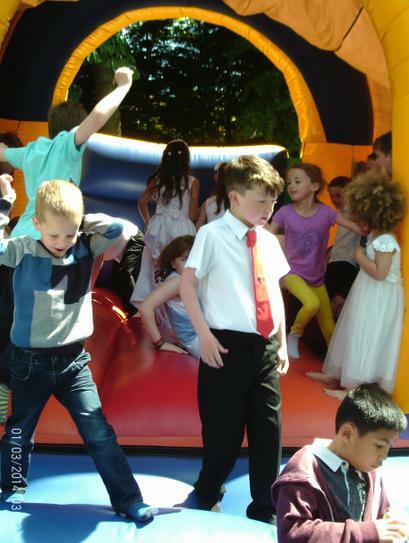 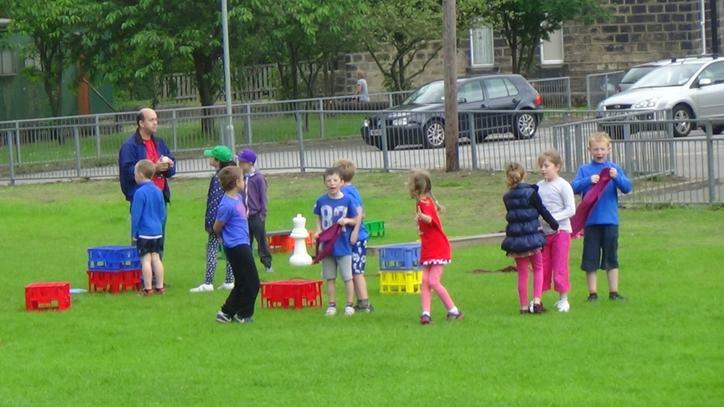 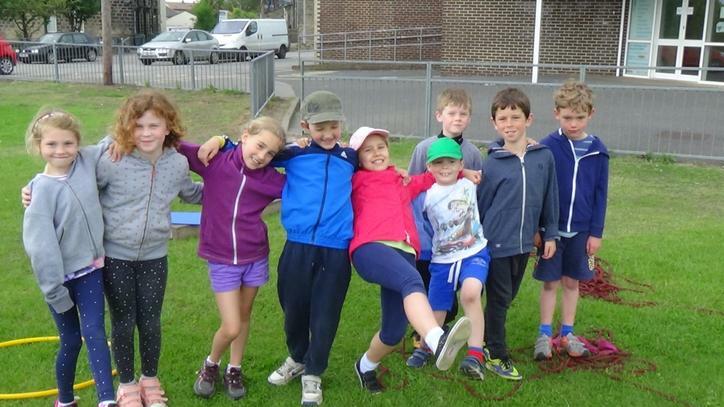 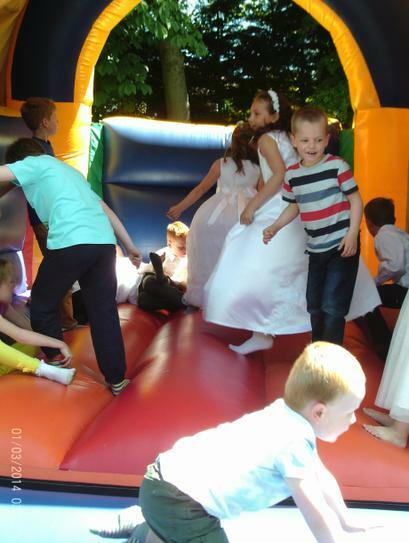 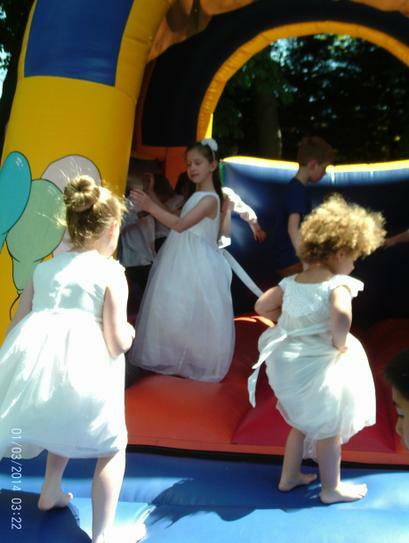 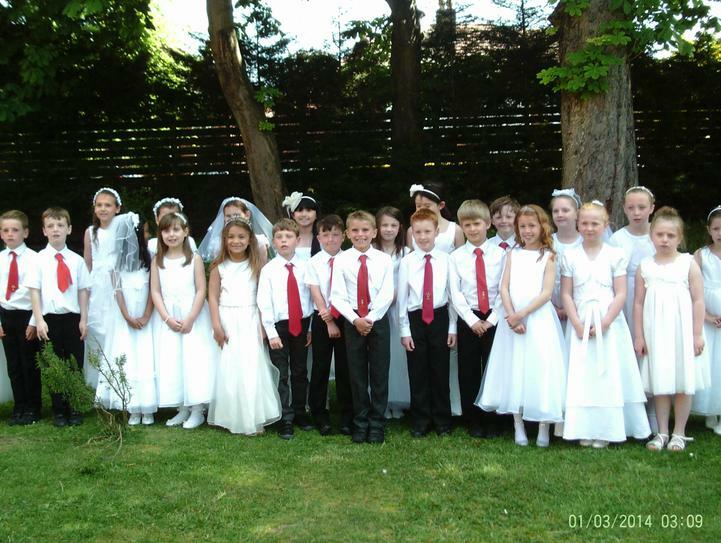 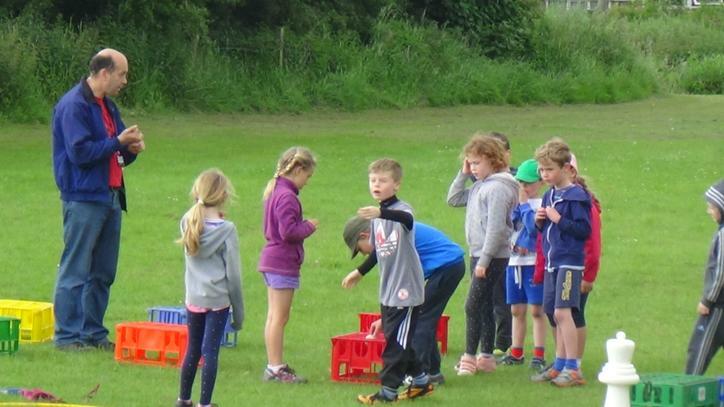 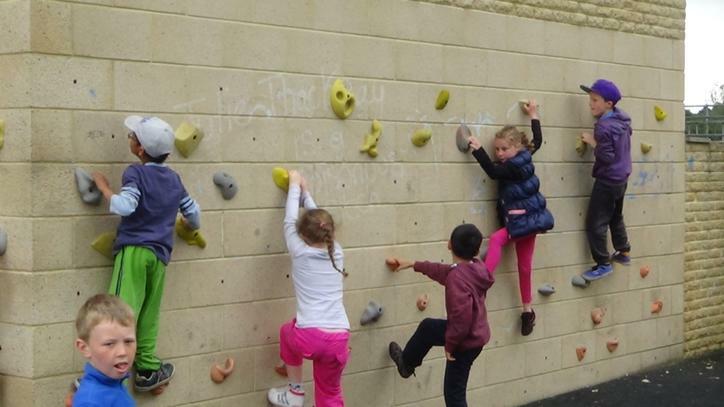 Well done to all of the children who took part! 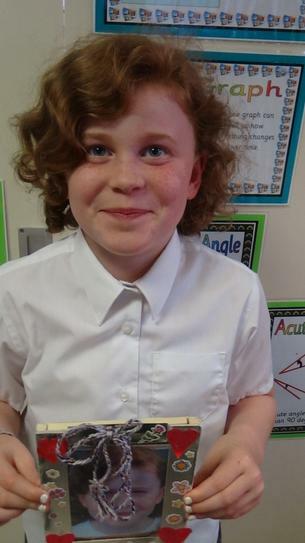 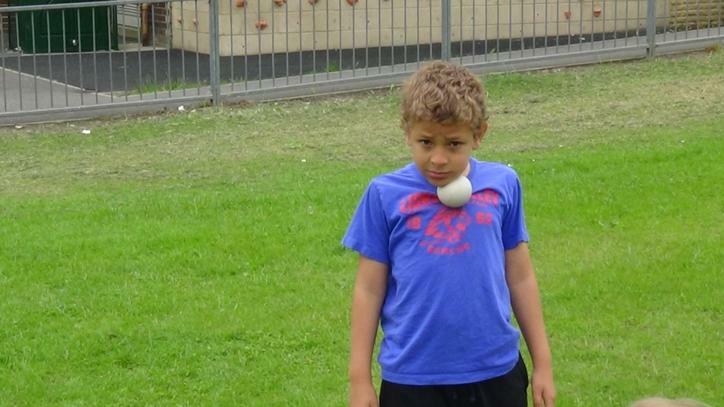 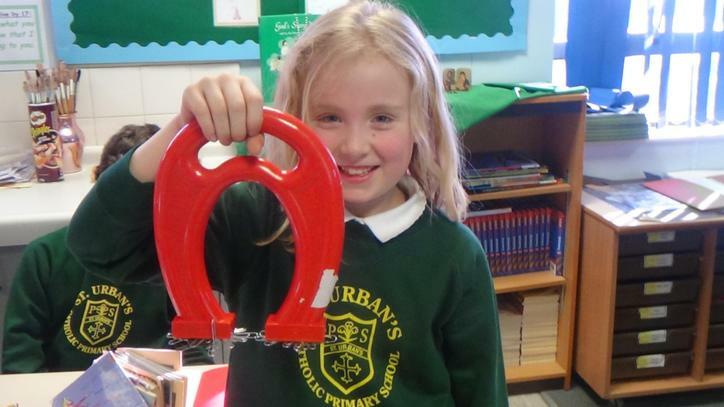 This half term in science we have been learning all about magnets. 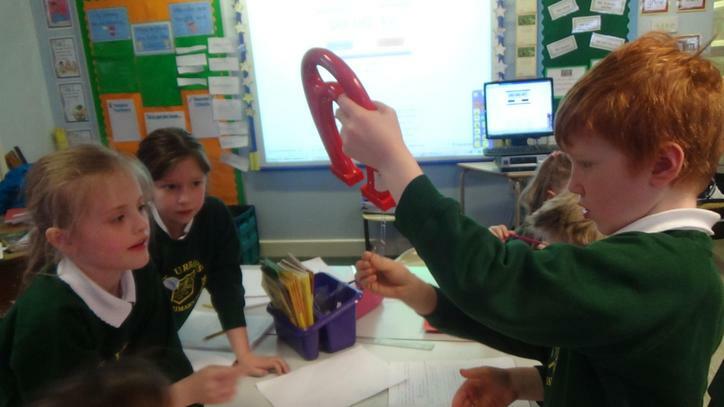 We have carried out many investigations testing the strength of magnets and testing to see whether magnets work through different materials. 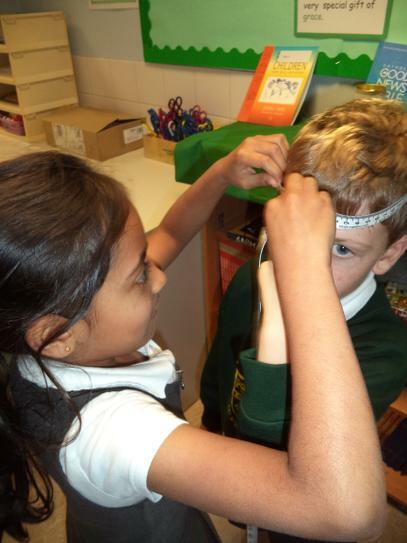 We also discovered that without magnets lots of everyday objects wouldn't work e.g. 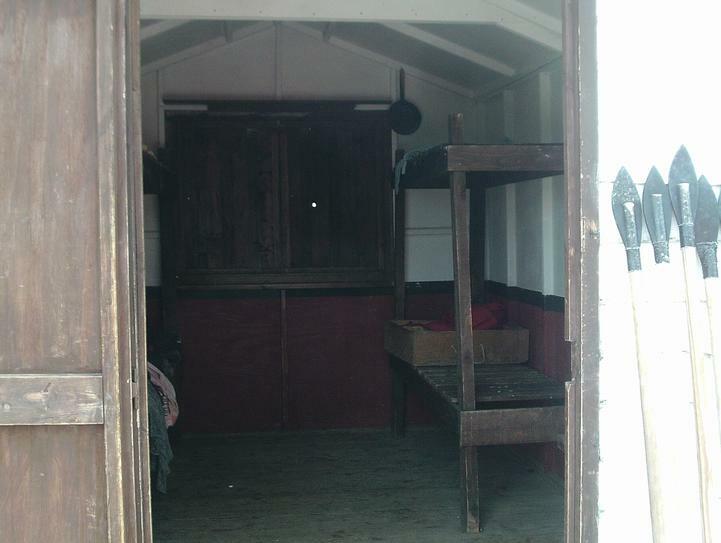 fridges, TV's and washing machines. 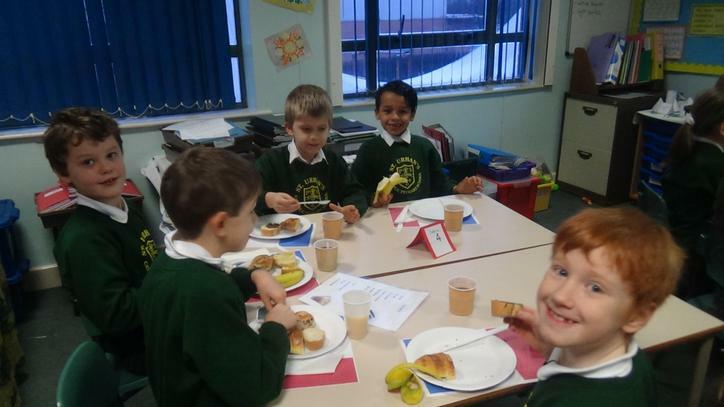 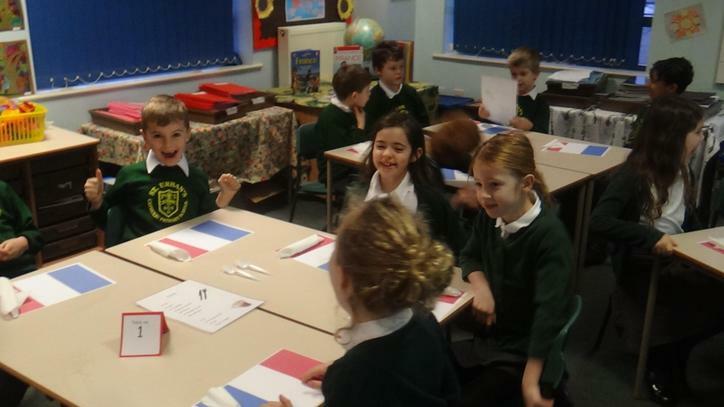 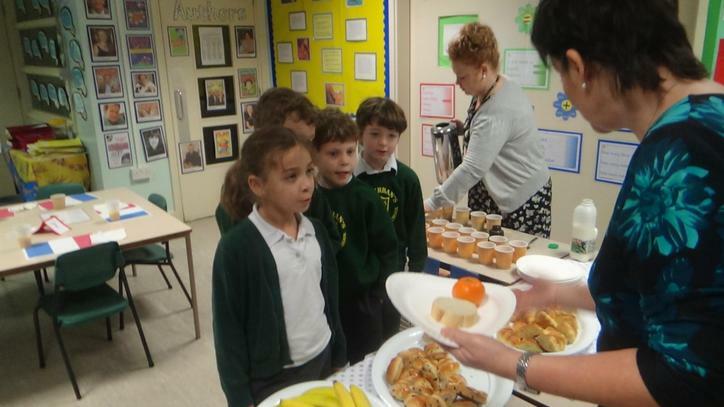 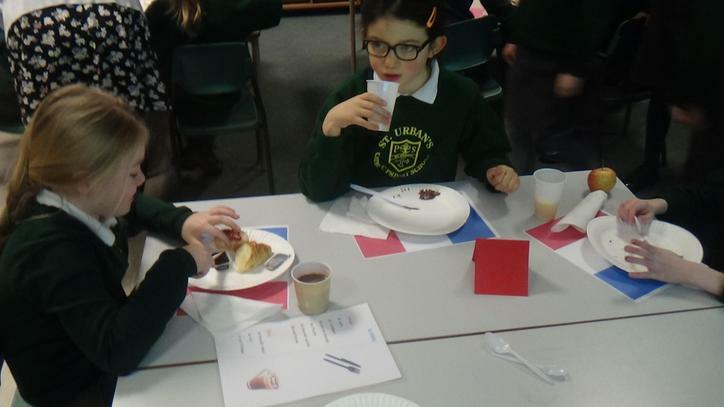 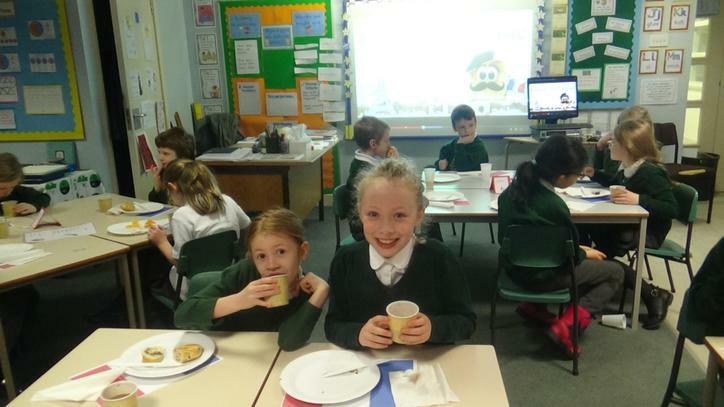 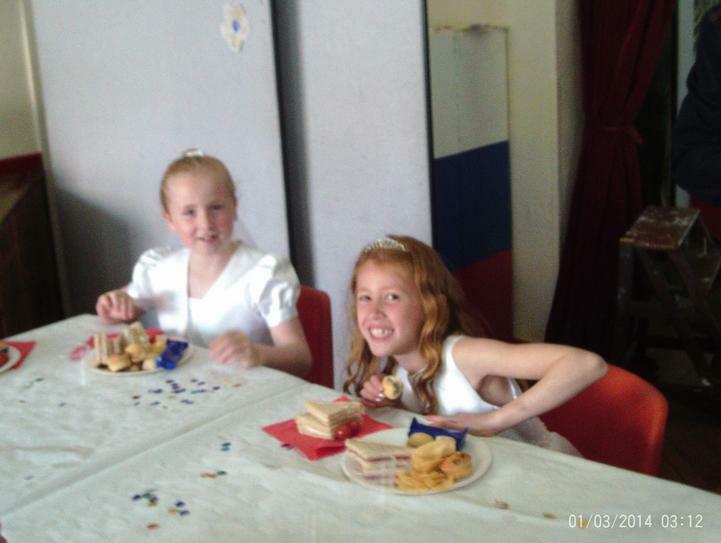 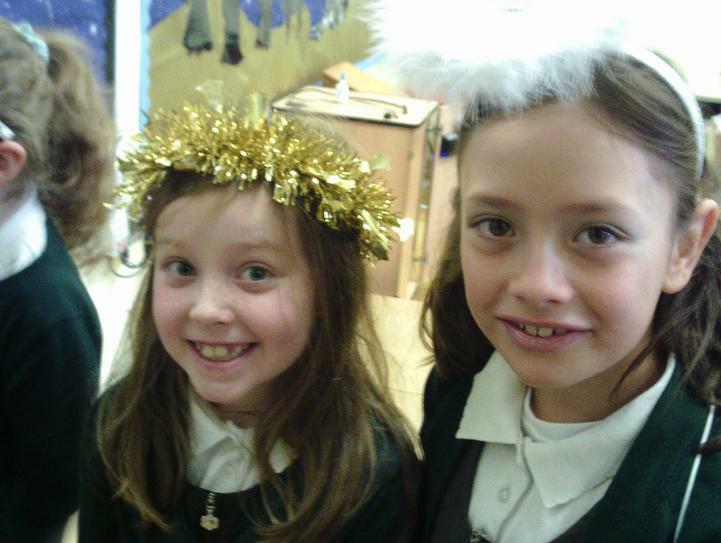 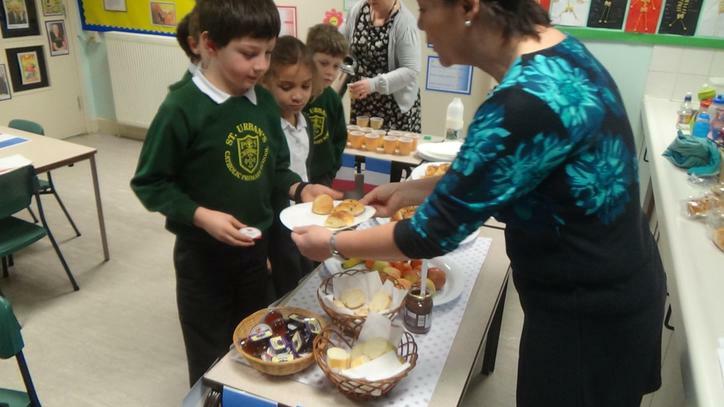 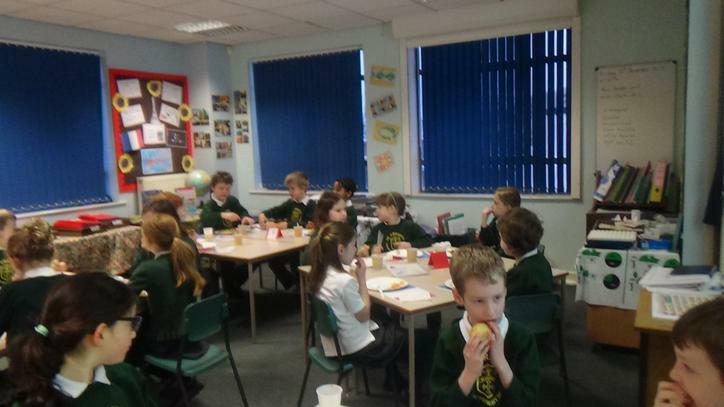 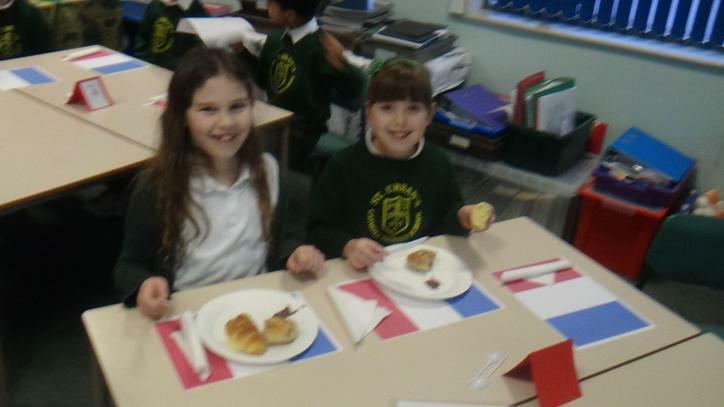 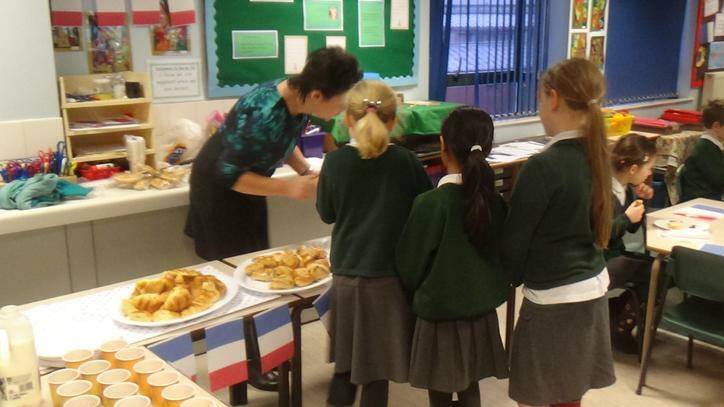 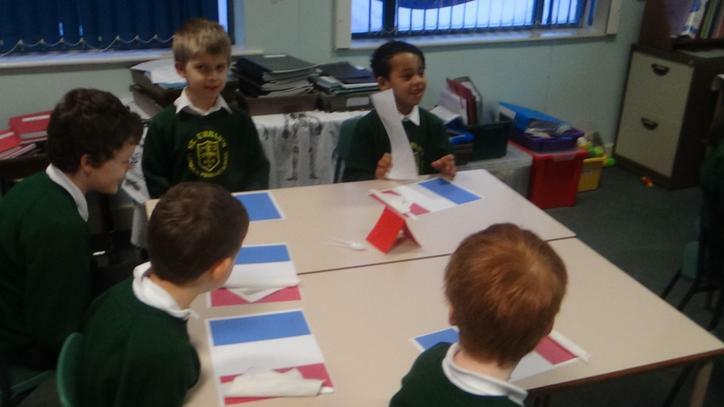 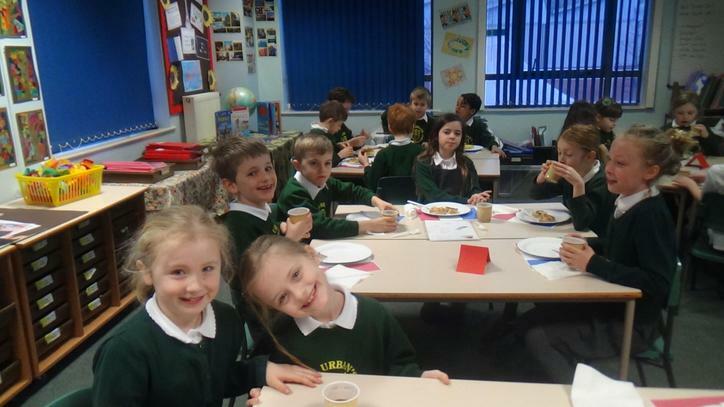 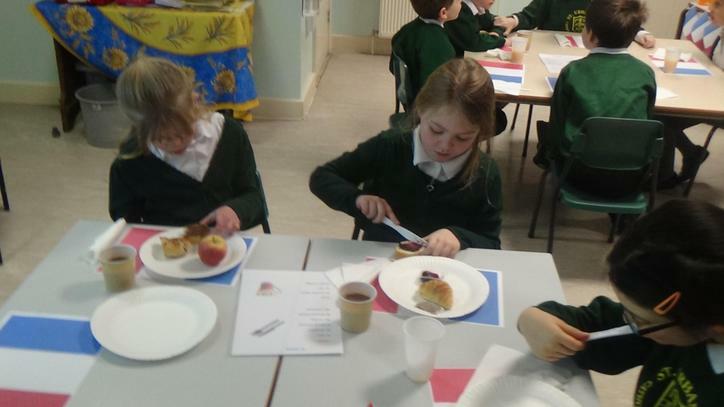 Year 3 enjoyed their petit dejeuner Francais last Thursday 22 January2015 . 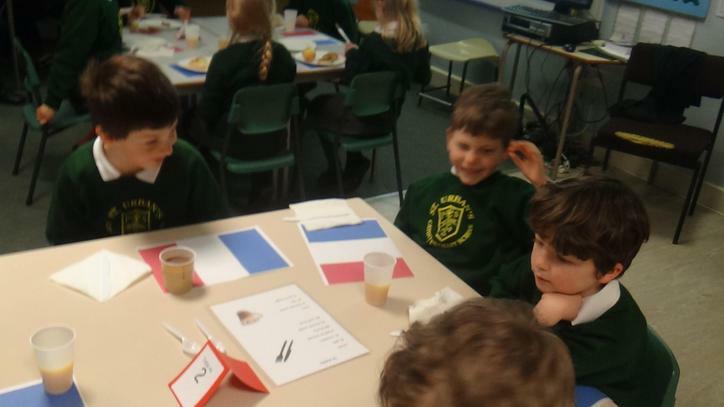 The children all did very well with ordering their food en Francais! 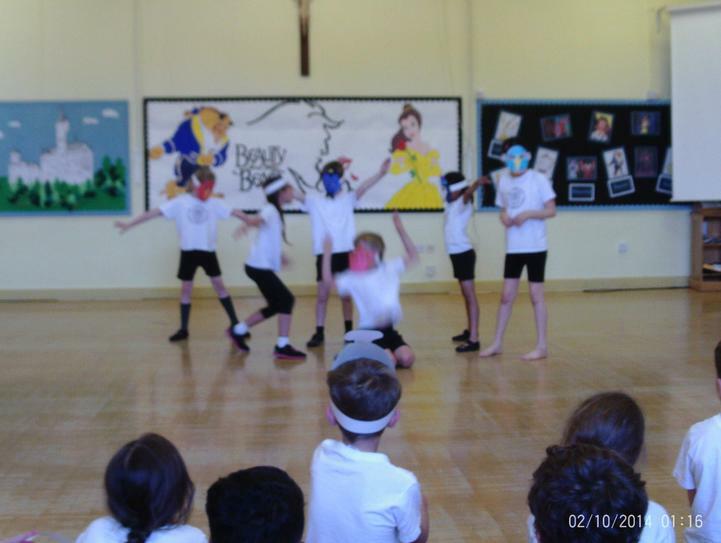 We all agree it was "fantastique!" 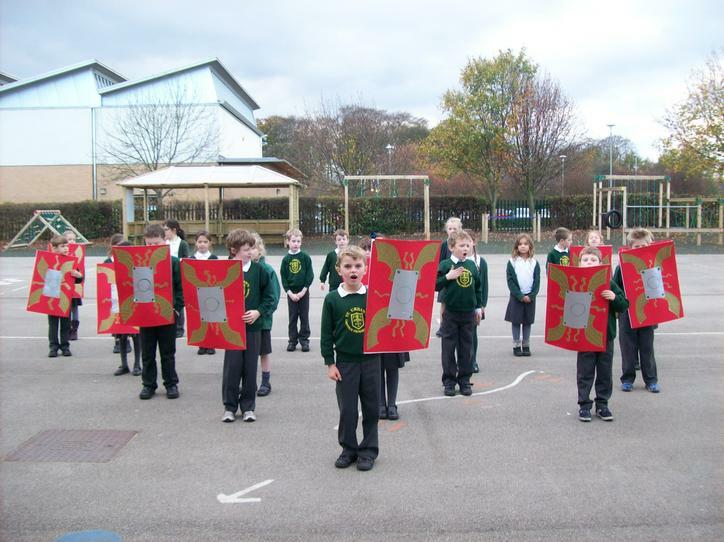 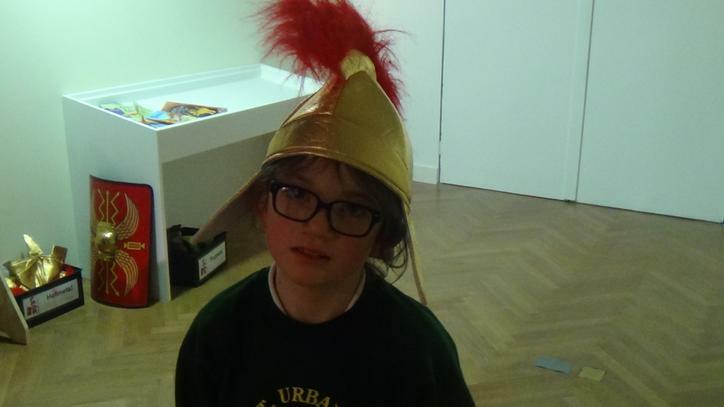 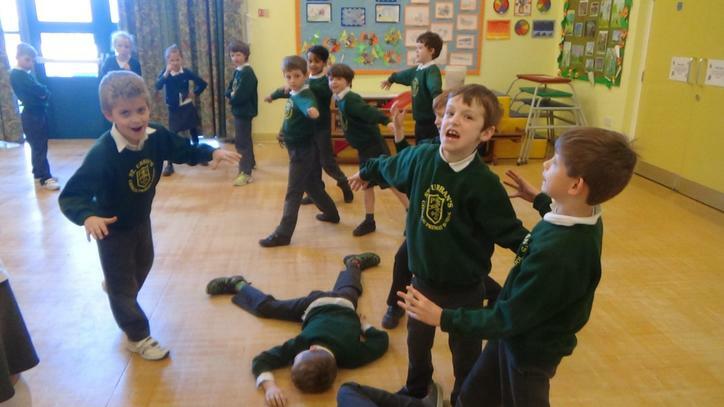 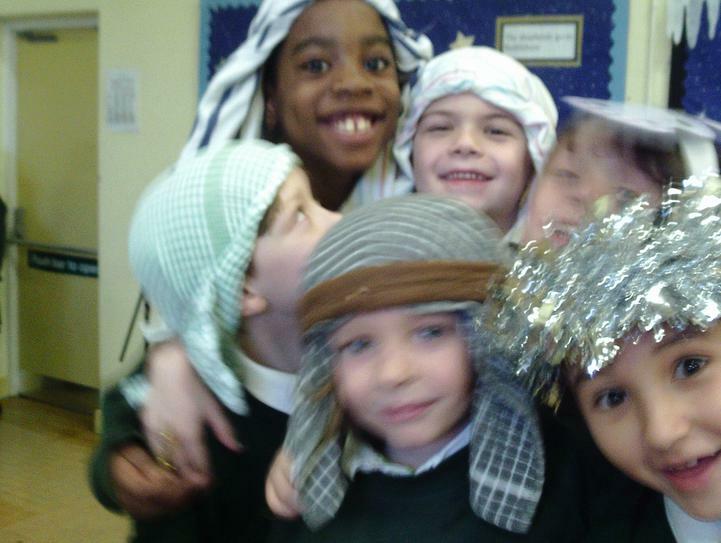 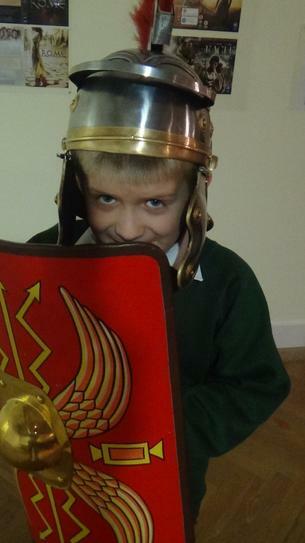 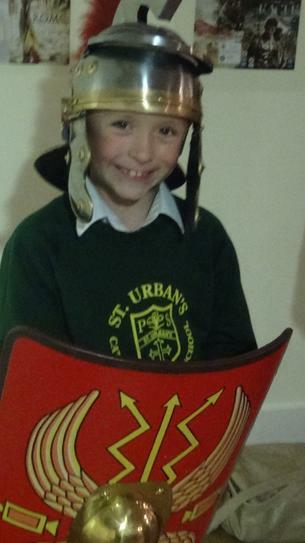 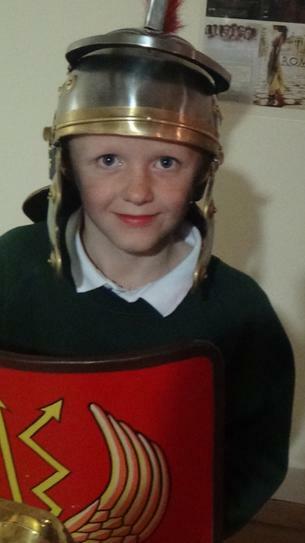 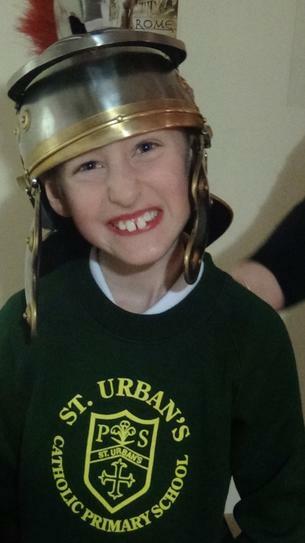 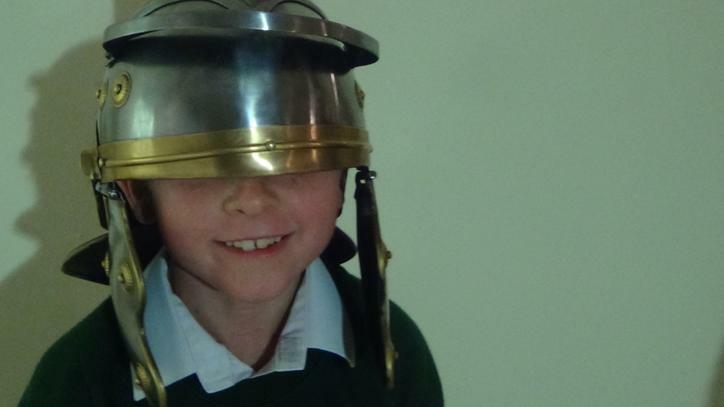 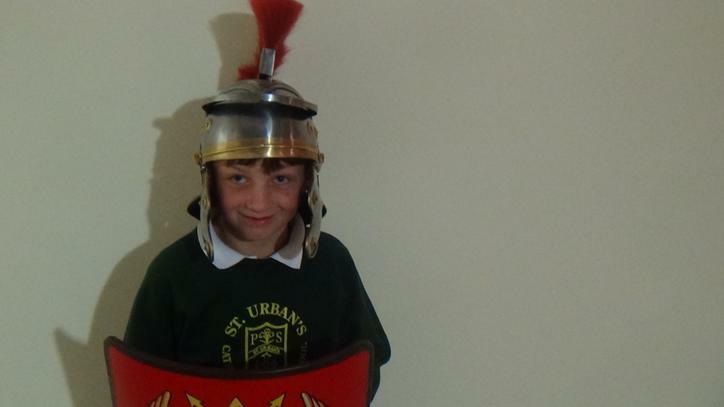 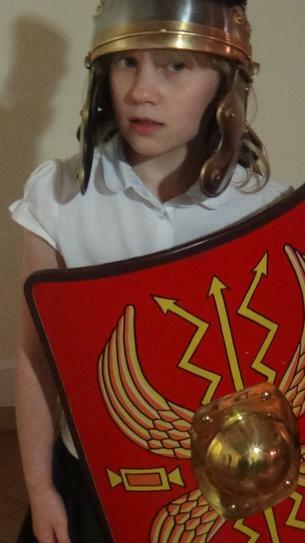 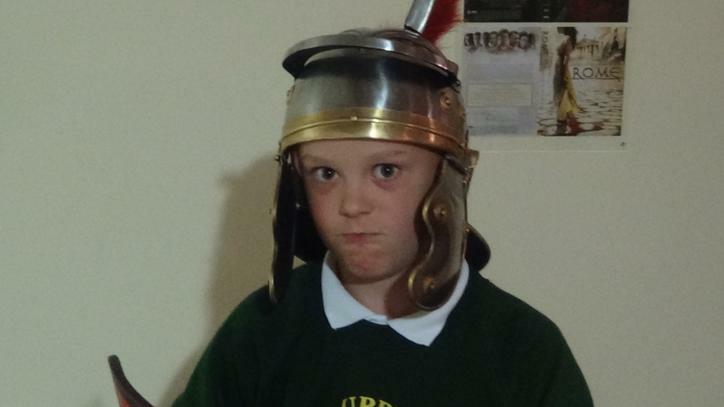 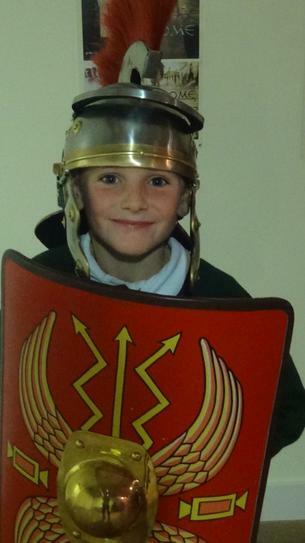 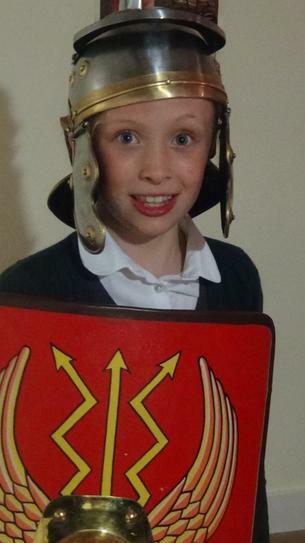 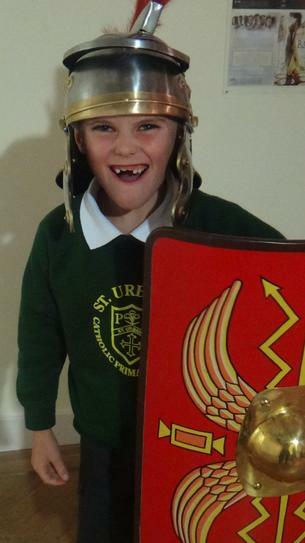 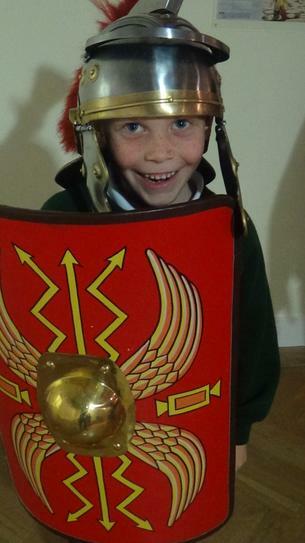 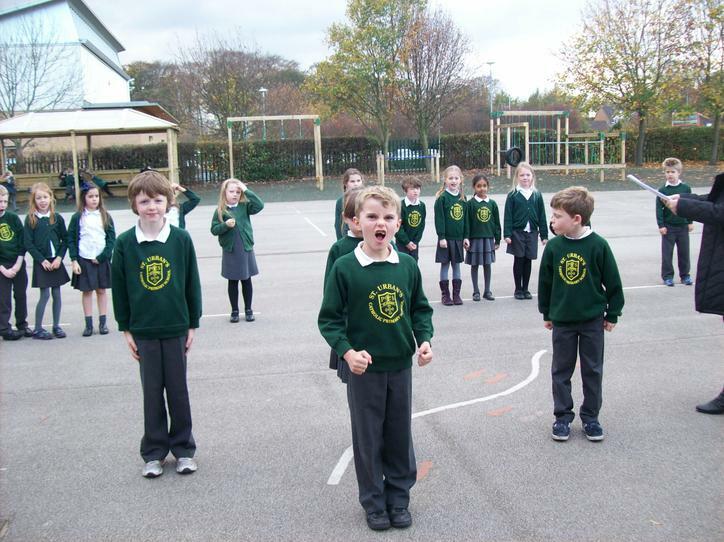 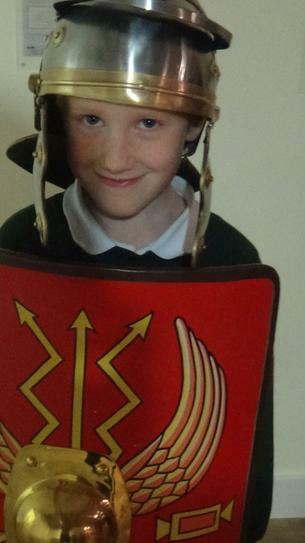 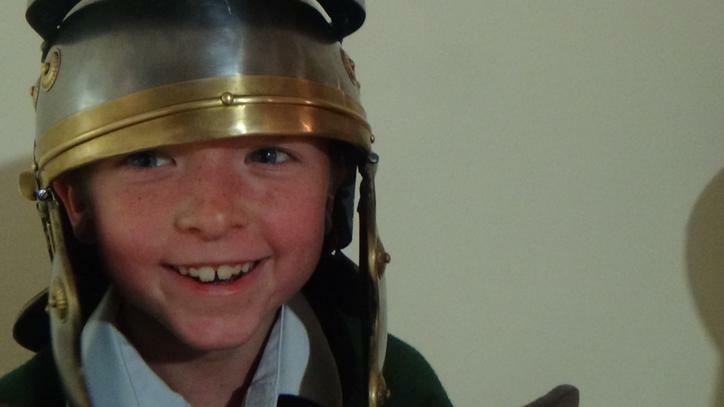 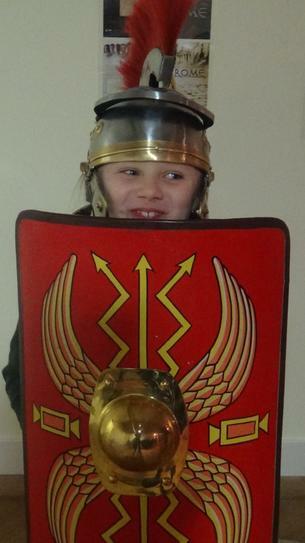 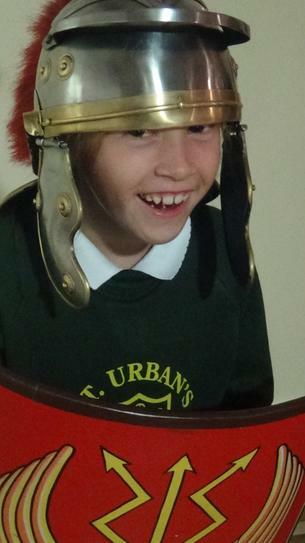 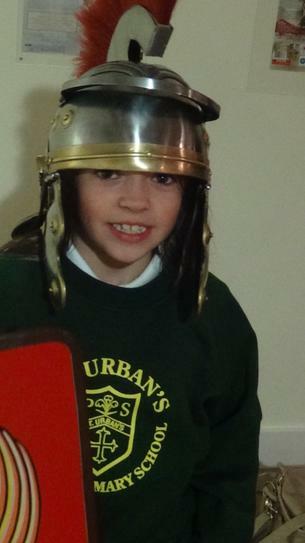 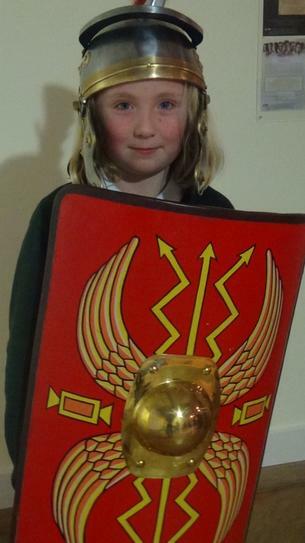 Recently Year Three found out about Roman armies. 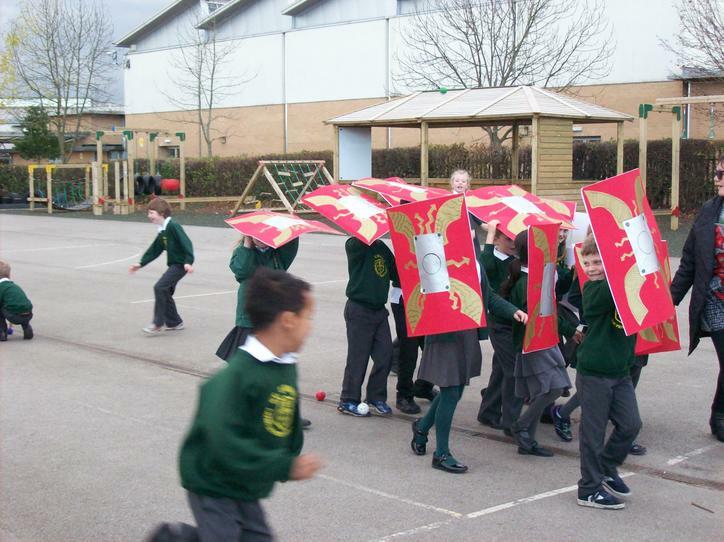 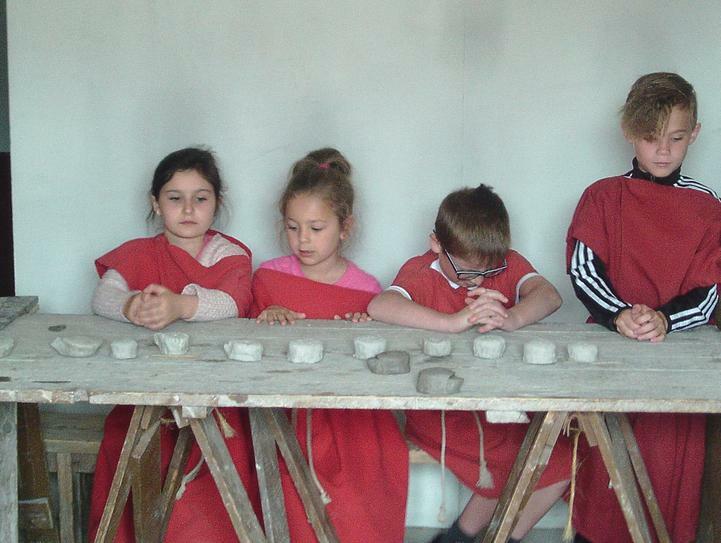 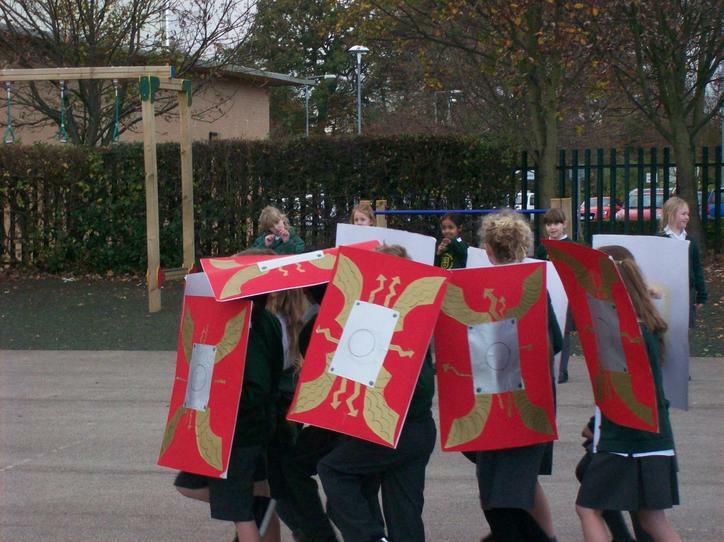 They made Roman shields and carried out some drills. 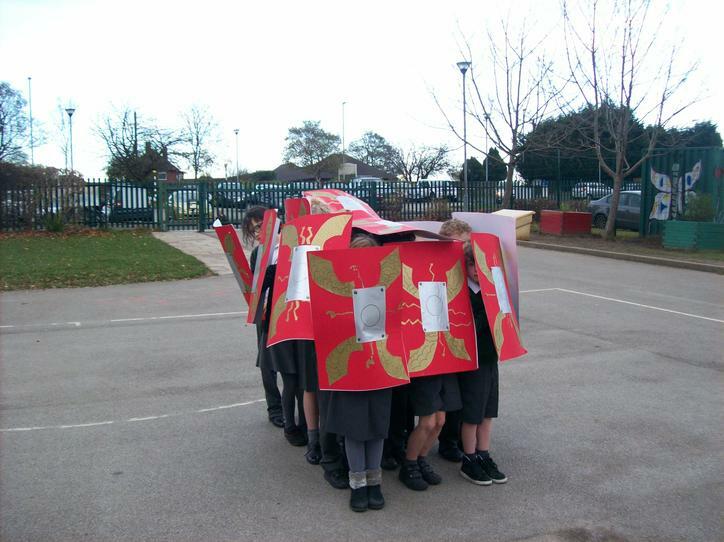 Their Testudo formation came under fire from an enemy battalion. 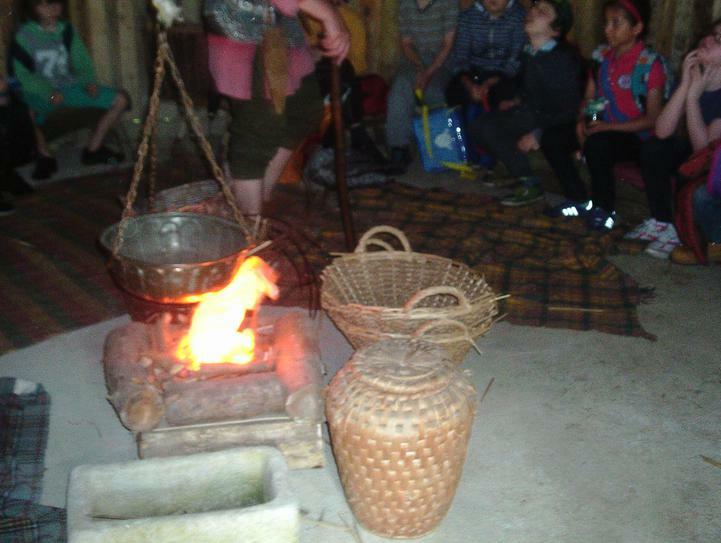 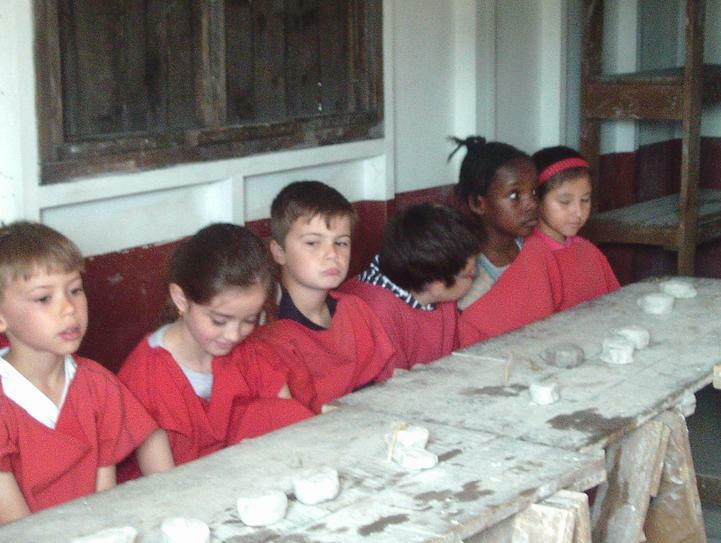 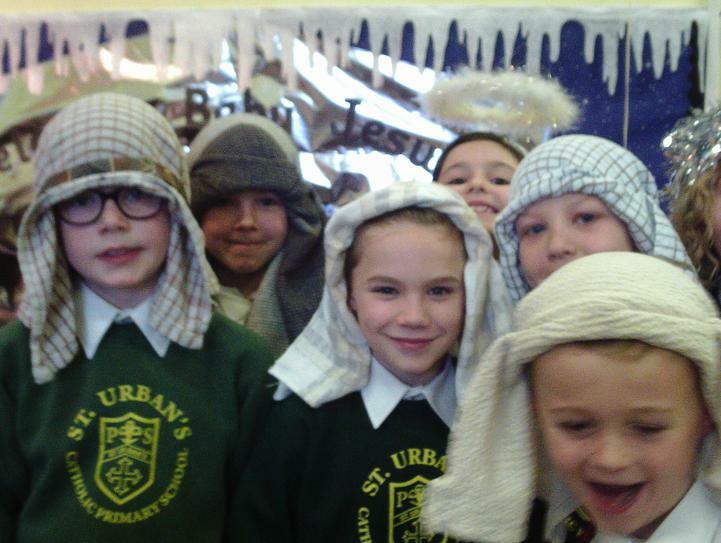 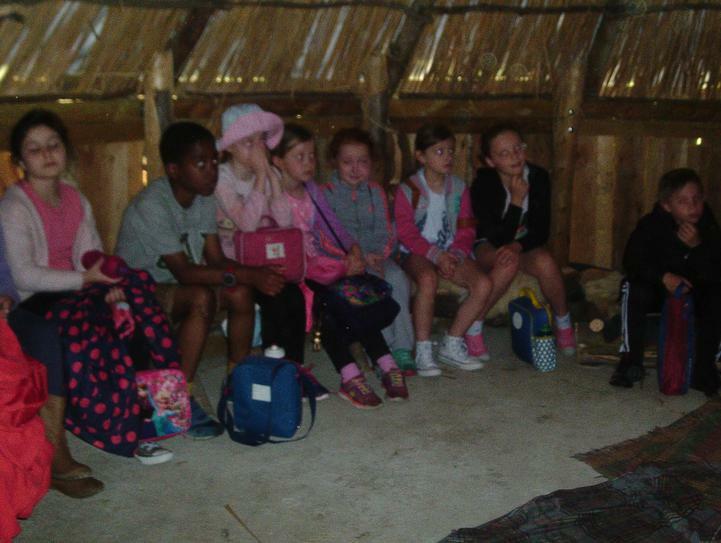 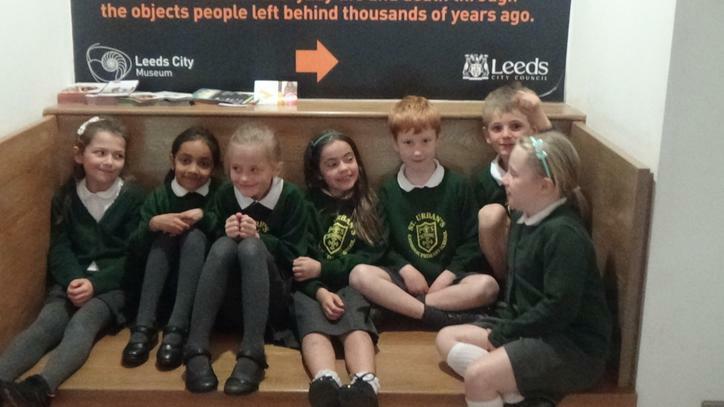 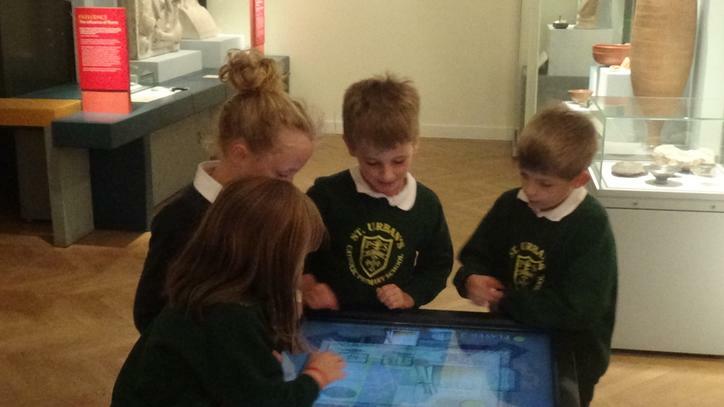 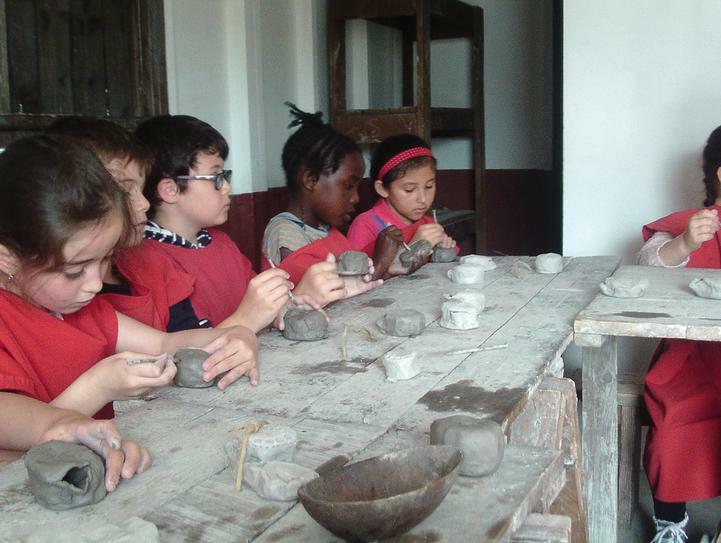 The children were very well behaved both on the bus and at the museum and were a credit to the school. 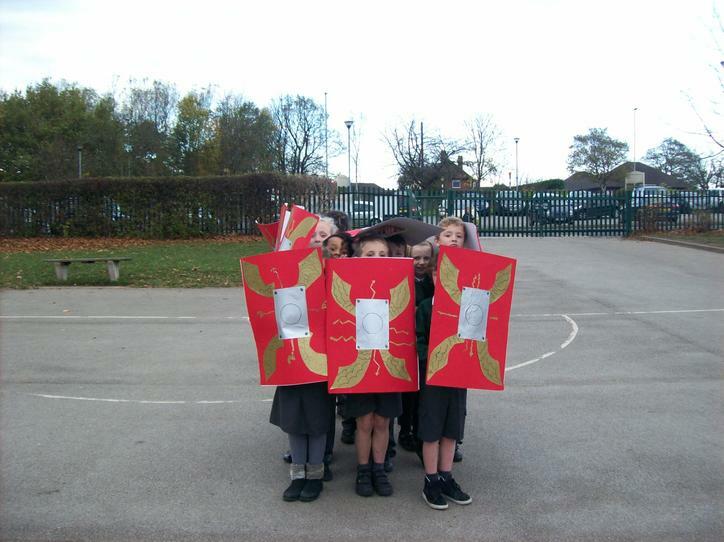 Some were a little disappointed that they didn't get to see and do everything that they wanted to do there but we had limited time and needed to focus on our Roman topic. 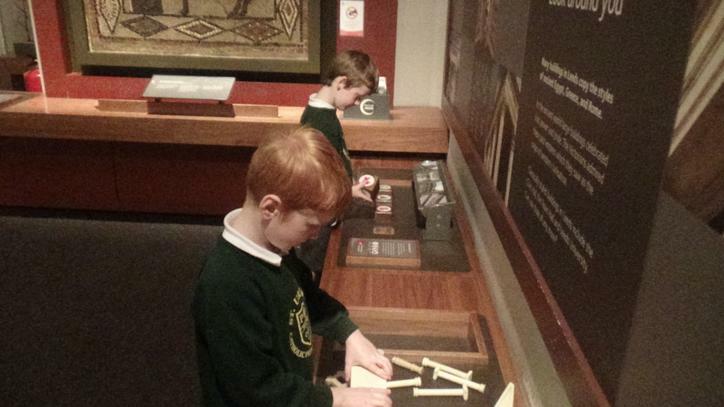 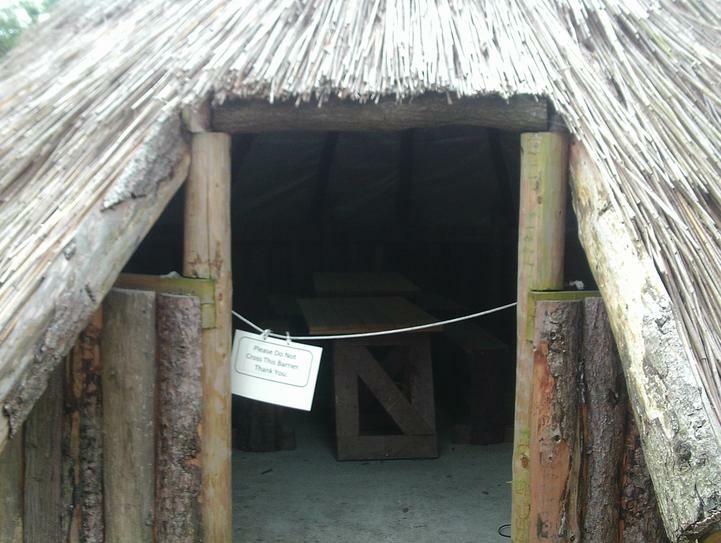 However, the museum is a wonderful free resource and is open at weekends if you would like to visit as a family to see some of the other exhibits. 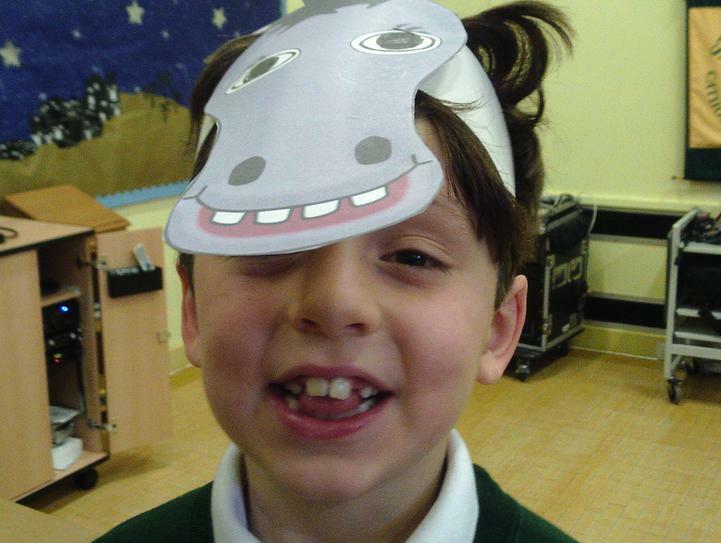 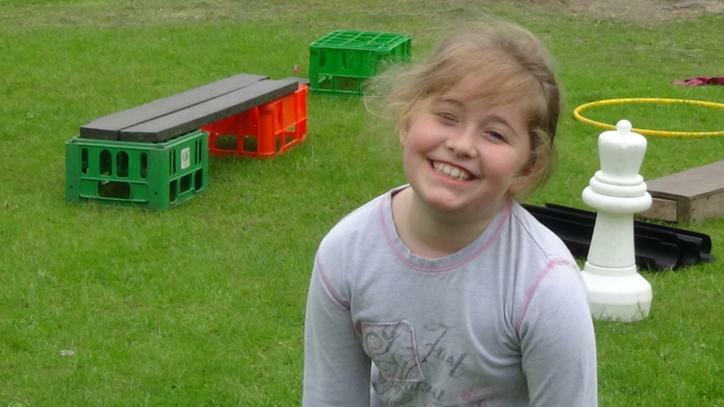 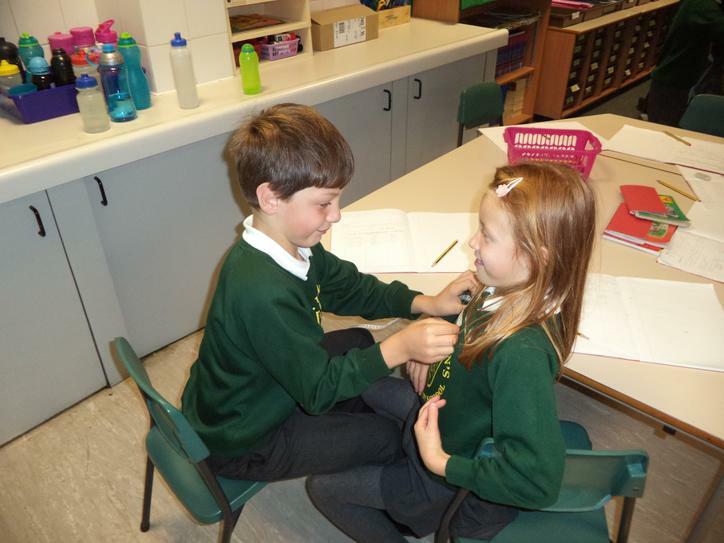 In our science lessons we are learning all about humans and animals. 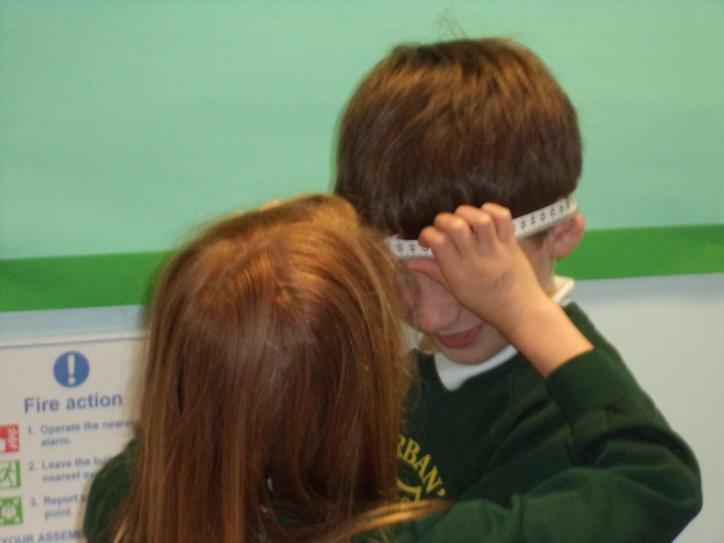 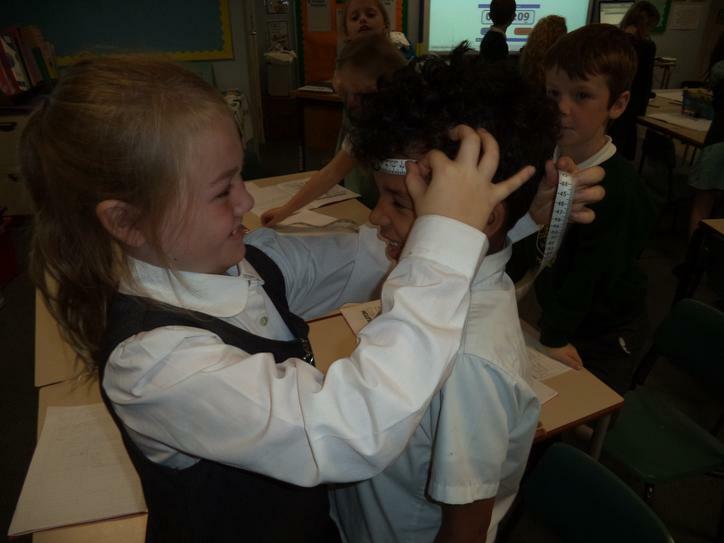 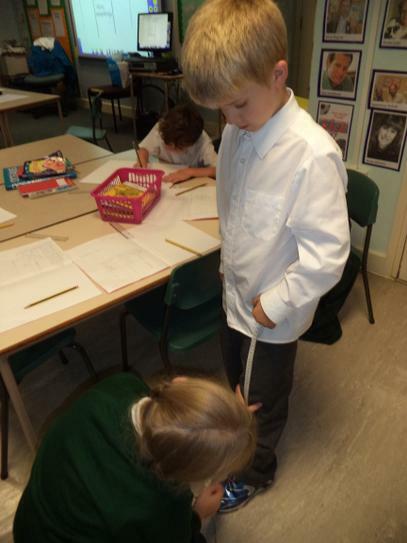 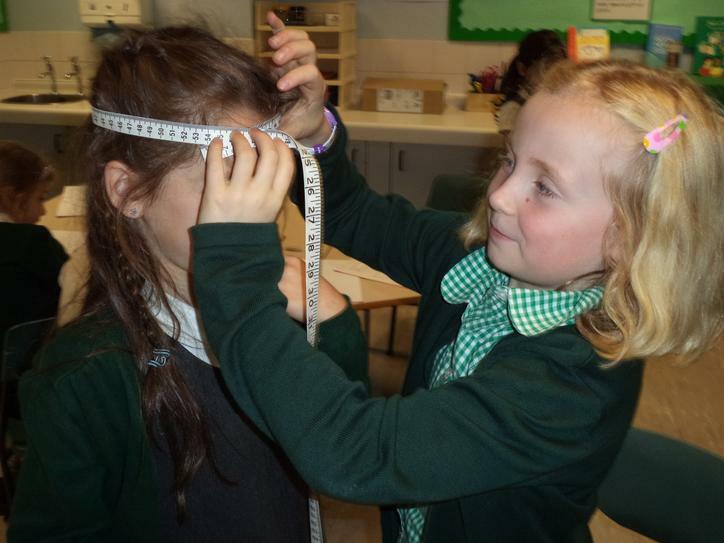 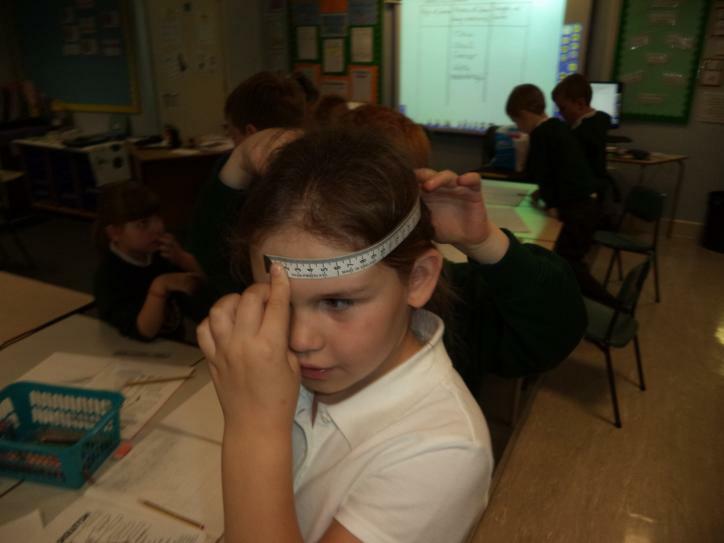 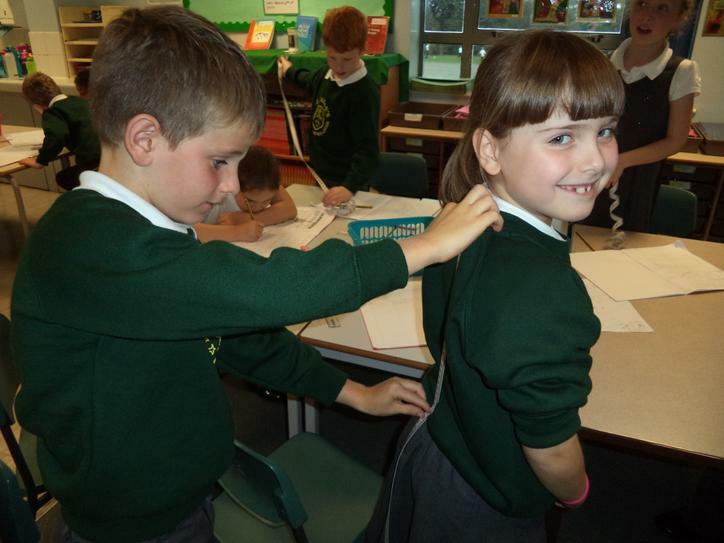 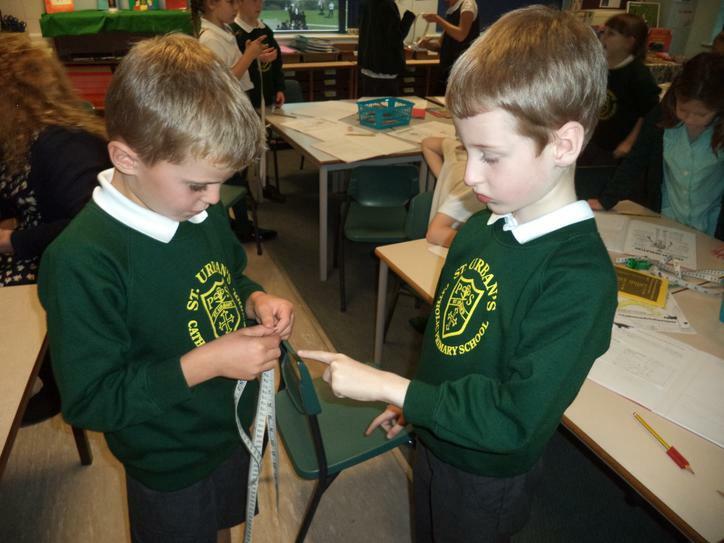 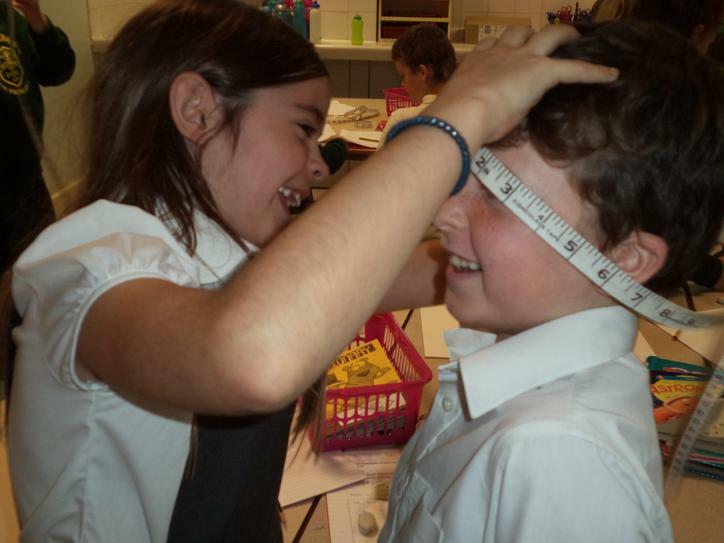 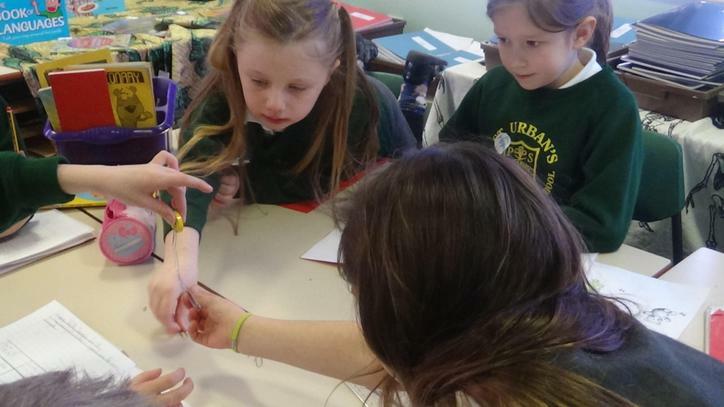 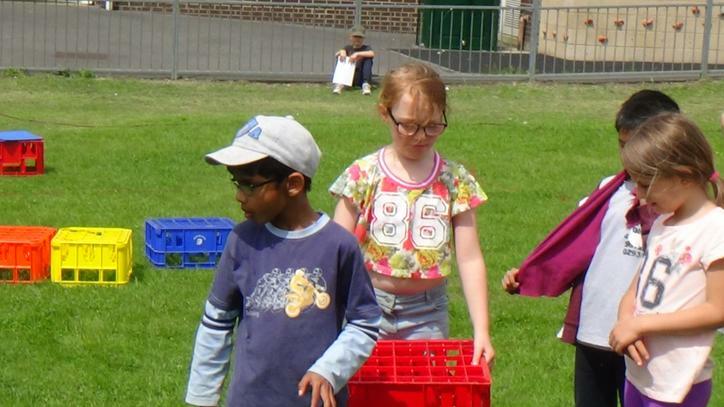 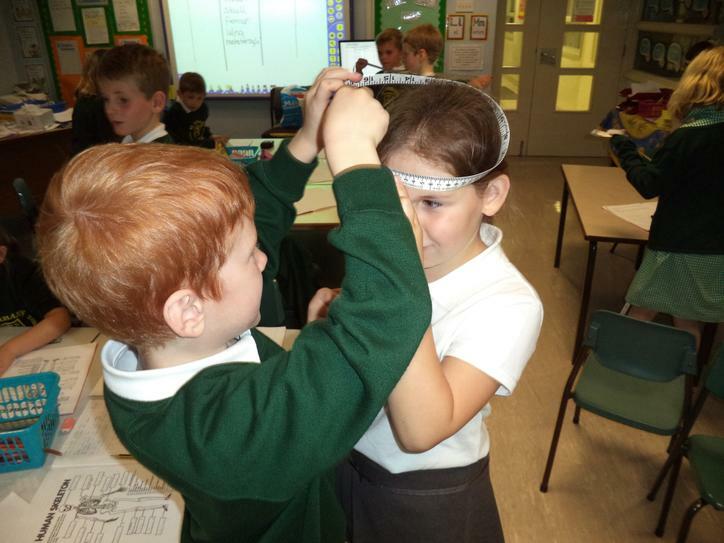 Last week we carried out an investigation to see whether children who are the same age have the same length of bones. 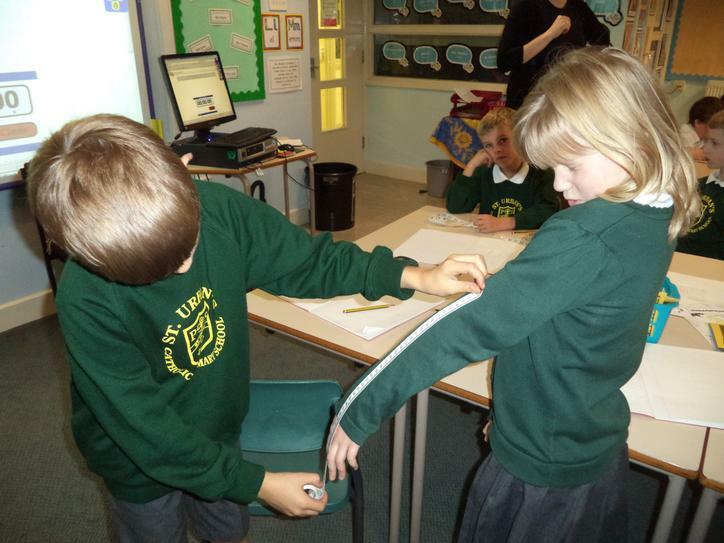 We made some predictions about whether we thought this was true or false. 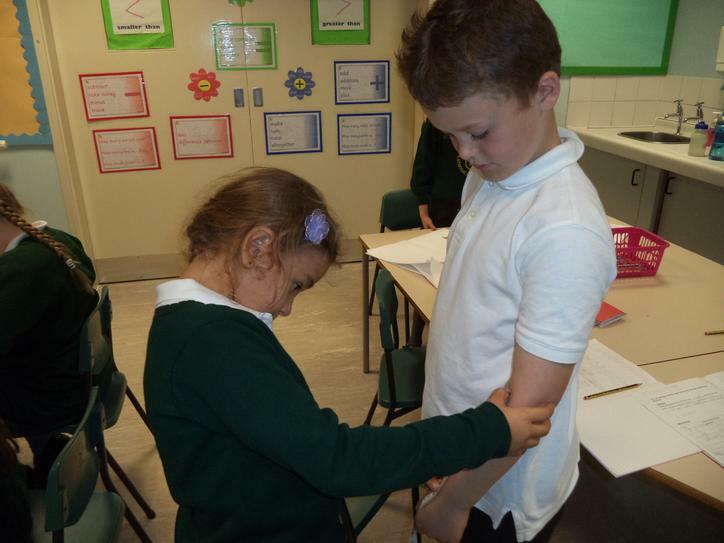 We discovered that many of us had different sized bones. 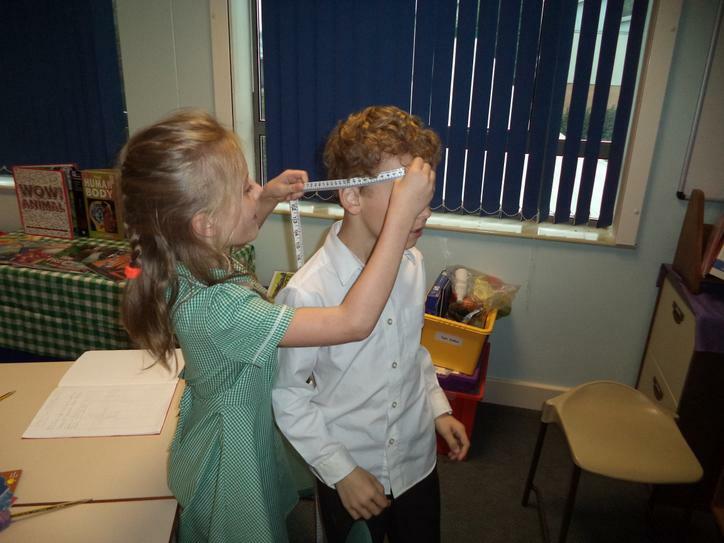 Tomorrow (26.09.14) we are going to create a graph to show our results and look at the most common sizes of bones in Year 3. 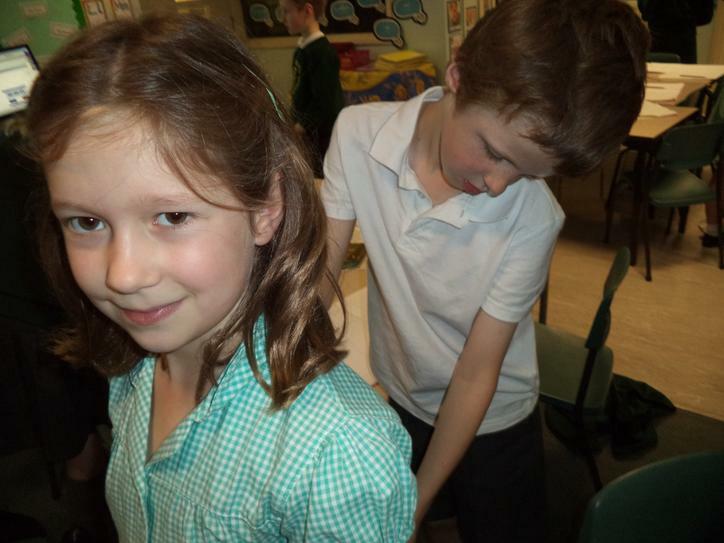 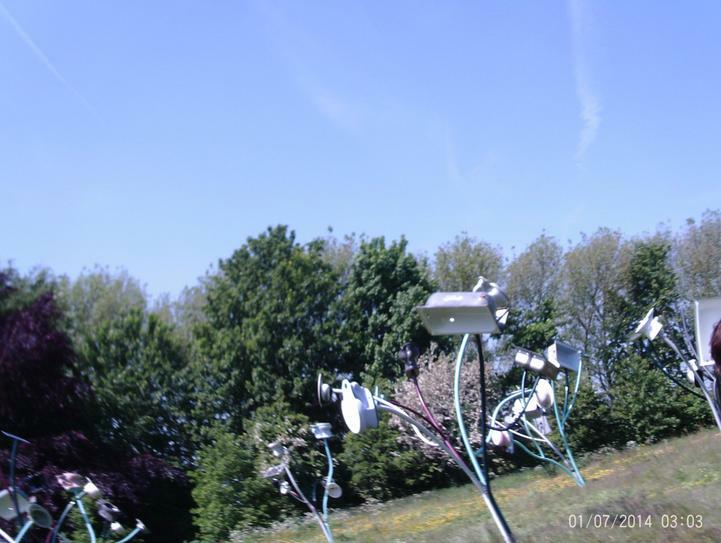 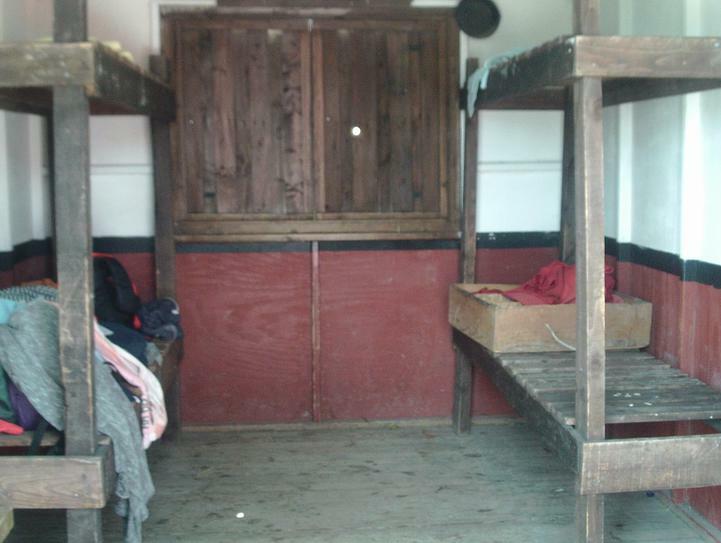 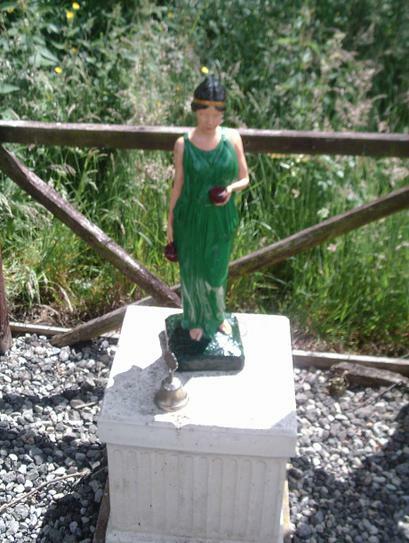 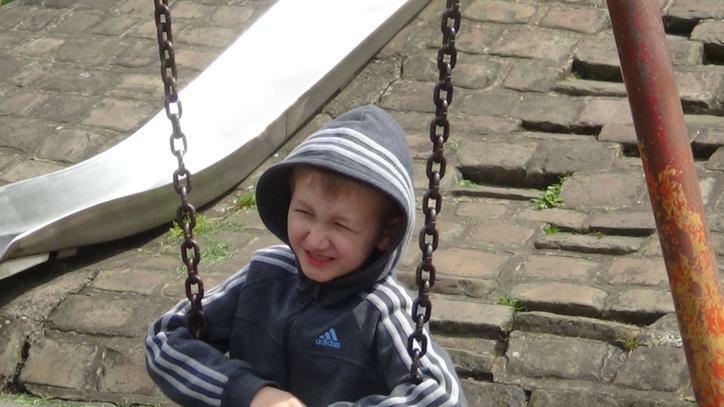 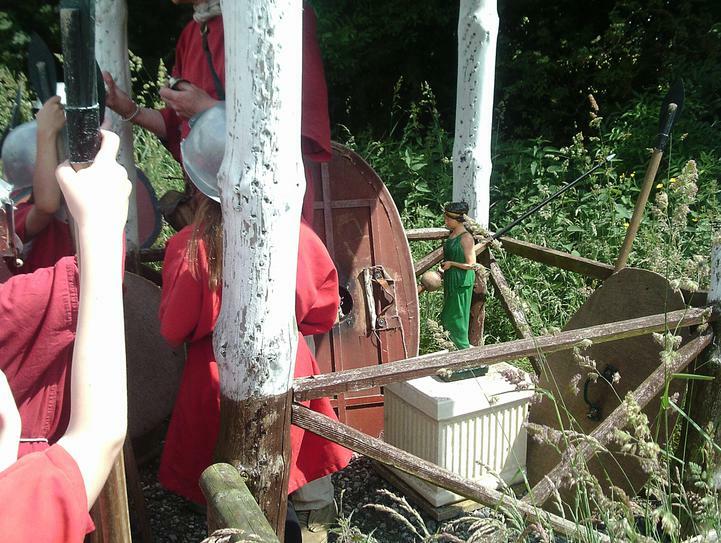 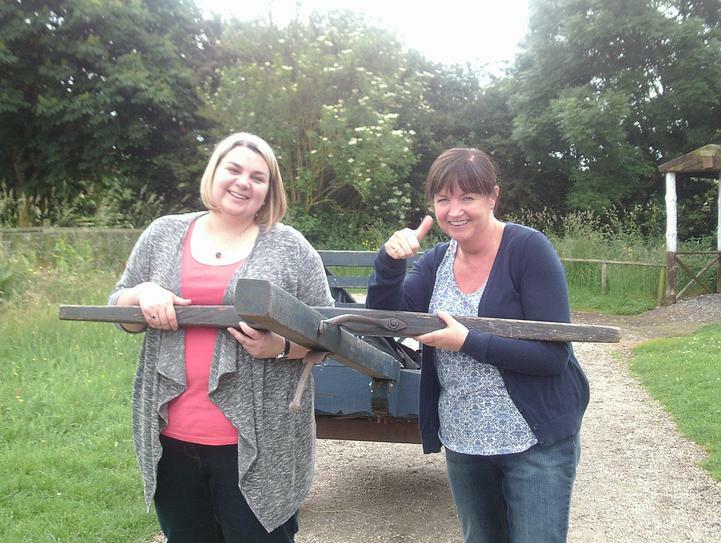 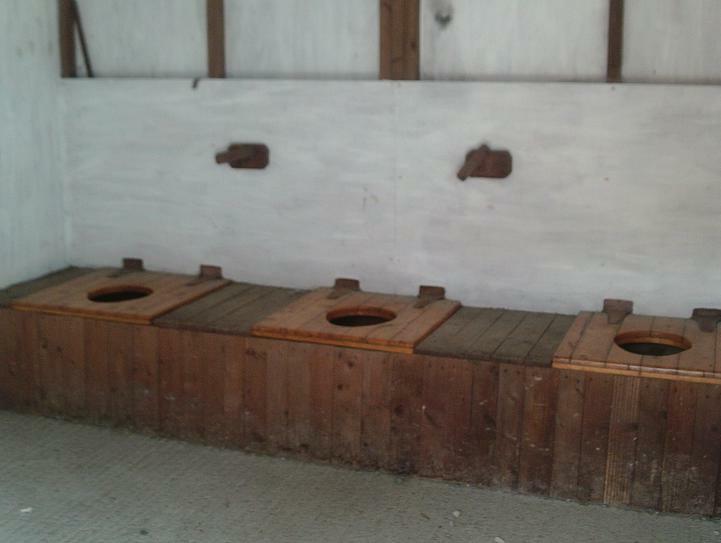 Here are some photographs below of our investigation. 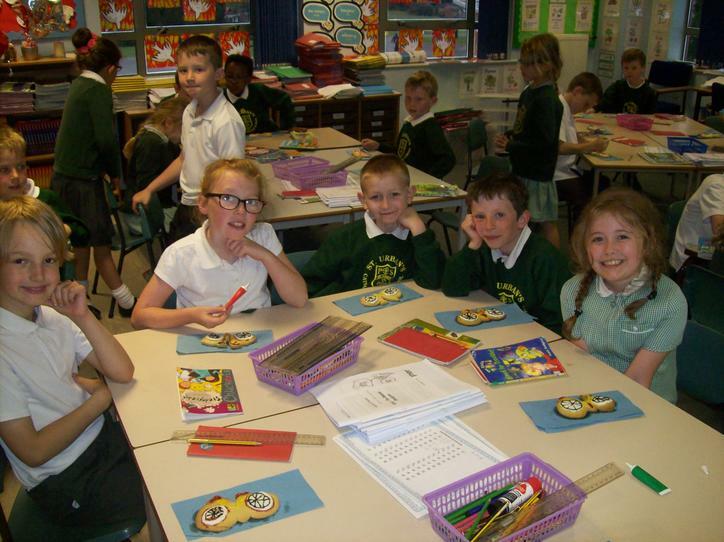 I am looking forward to teaching your children this year, they have already got off to a good start and are settling well into KS2. 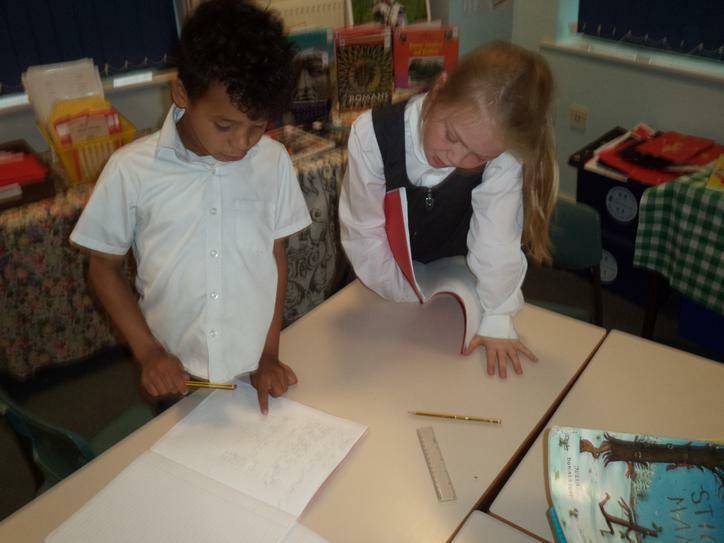 You should by now have a had an overview of the work that we will be covering this half term, and I would be very grateful if you would reinforce your child's learning by getting them to complete any homework tasks that are sent home. 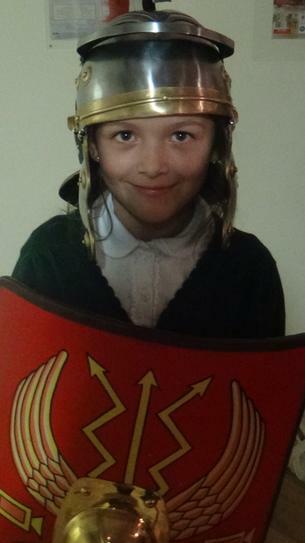 As you are probably aware I do not work on a Friday so Miss Clark will be teaching Year 3 on a Friday. 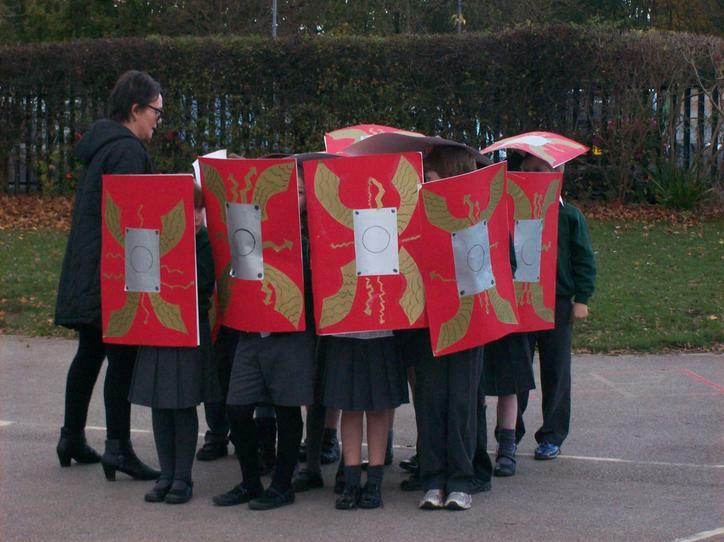 Please don't hesitate to approach either myself or Miss Clark if you have any concerns or questions. 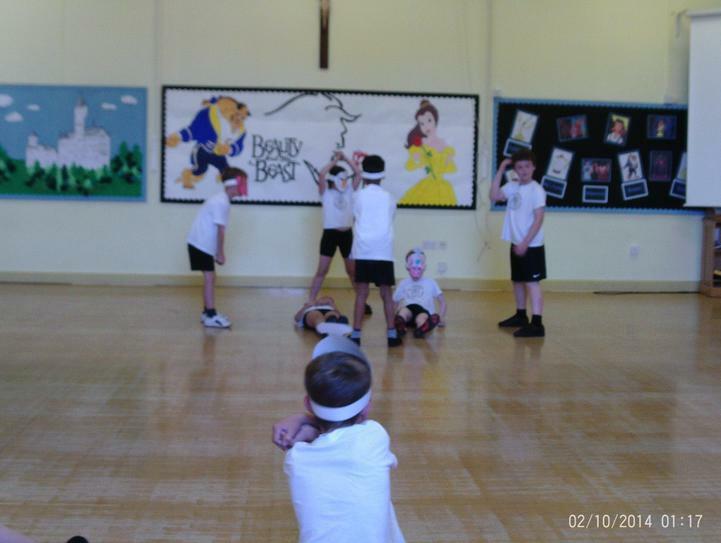 At the moment P.E. 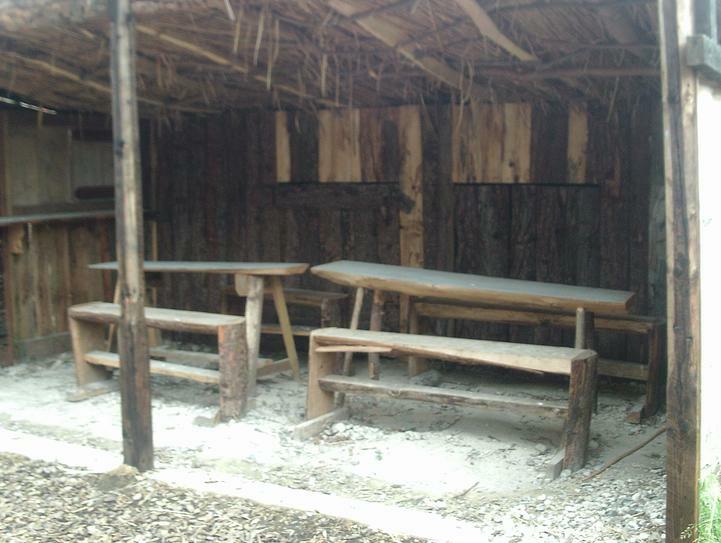 will take place on Tuesdays and Fridays. 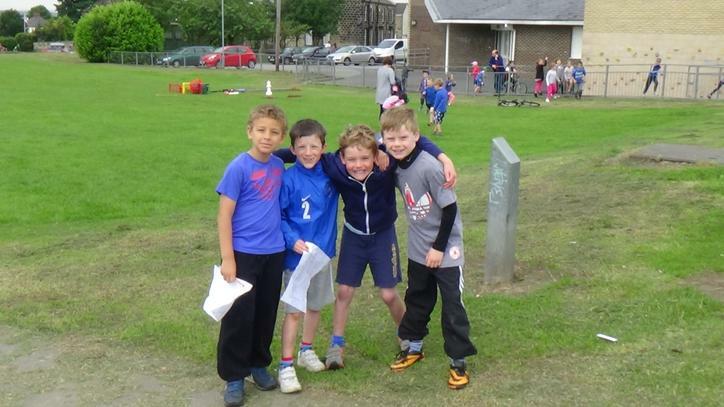 Please could you ensure that their kits are in school on these days. 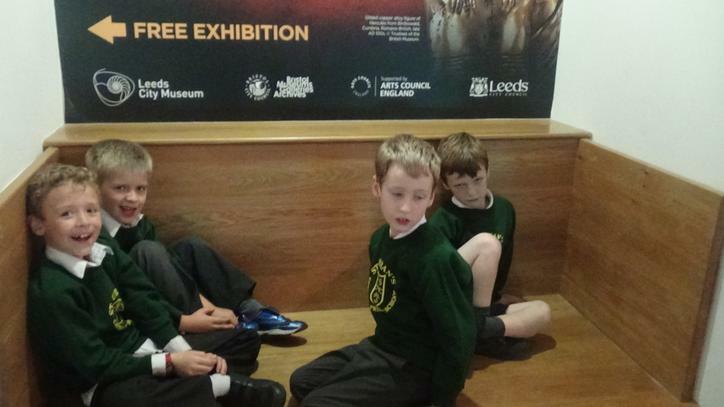 I have planned a visit to Leeds Museum on Wednesday 24th September you shortly be recieveing a letter home with the usual permission slip. 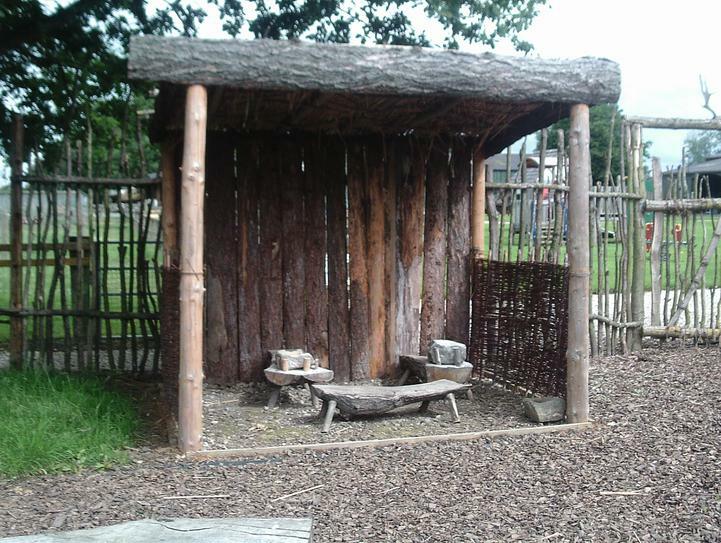 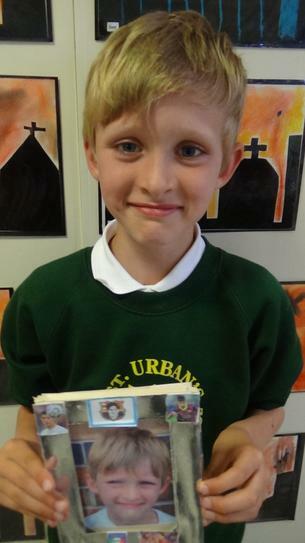 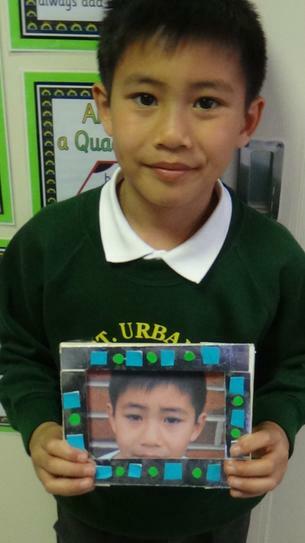 Over the next few days we will try to upload some examples of the work that the children have done so far in Year 3. 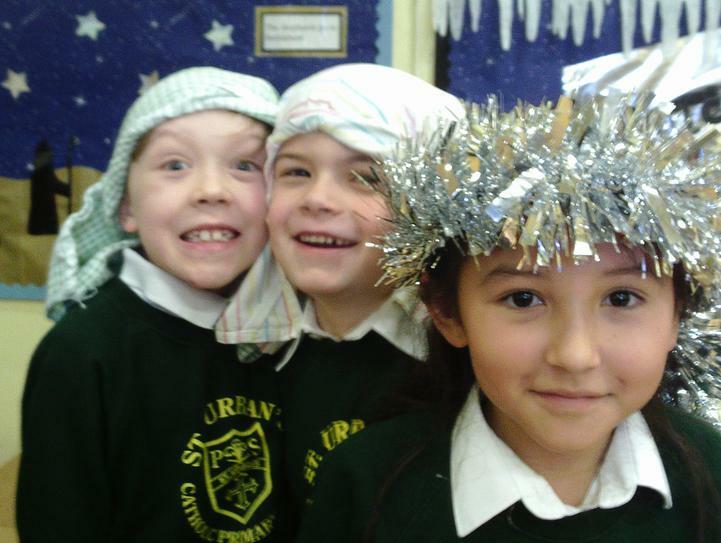 Thank you in anticipation of your support this year. 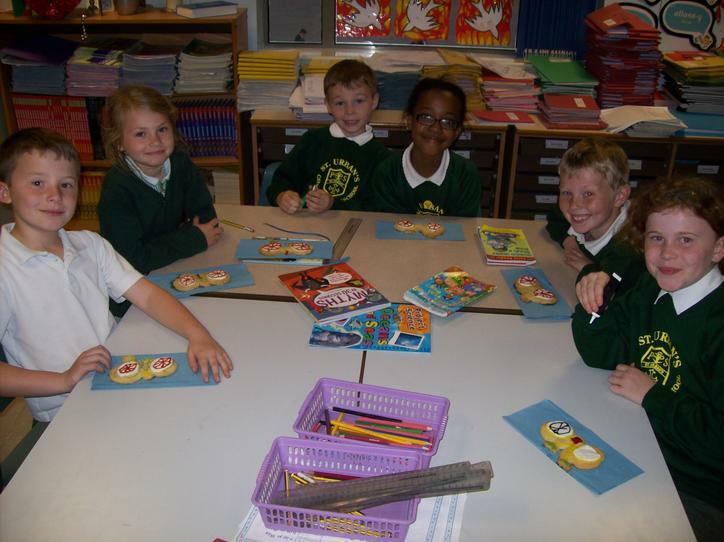 This week Year 3 have made their own cycle biscuits. 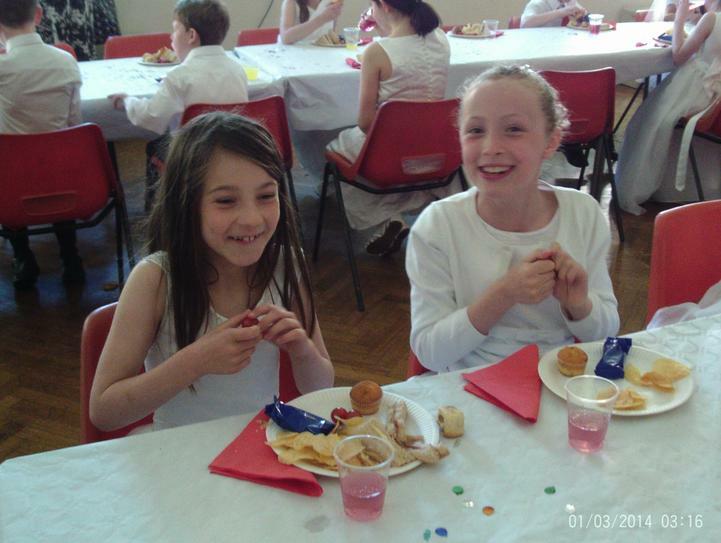 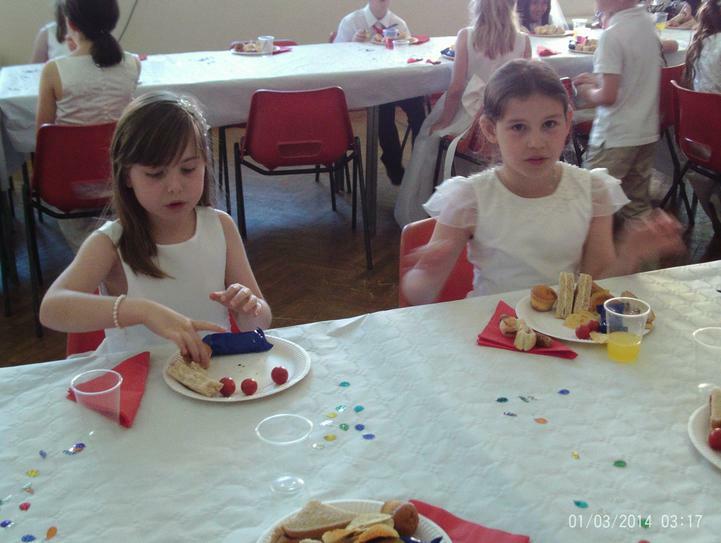 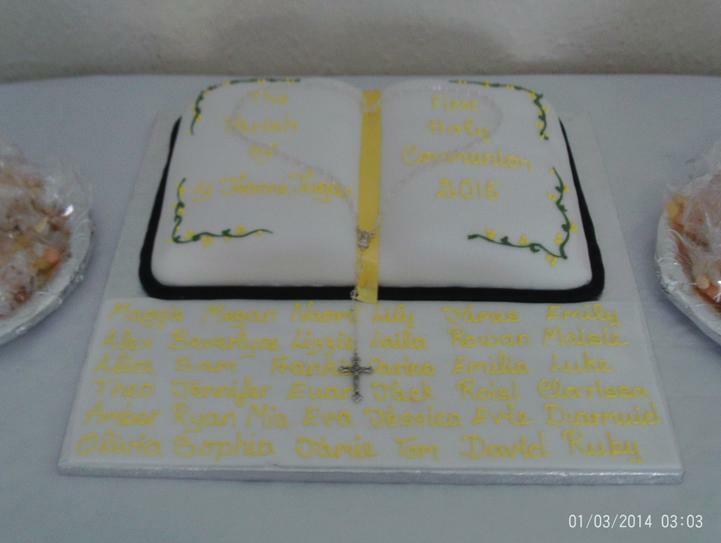 Everyone enjoyed making, decorating and of course eating them. 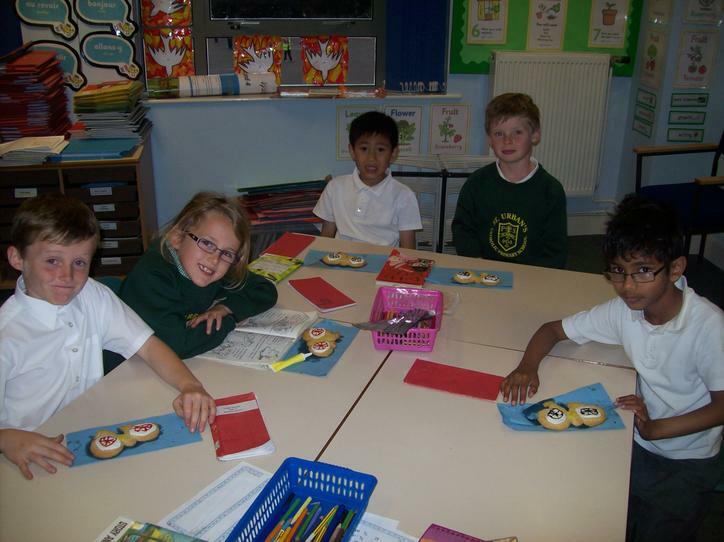 Take a look at the individual table biscuits. 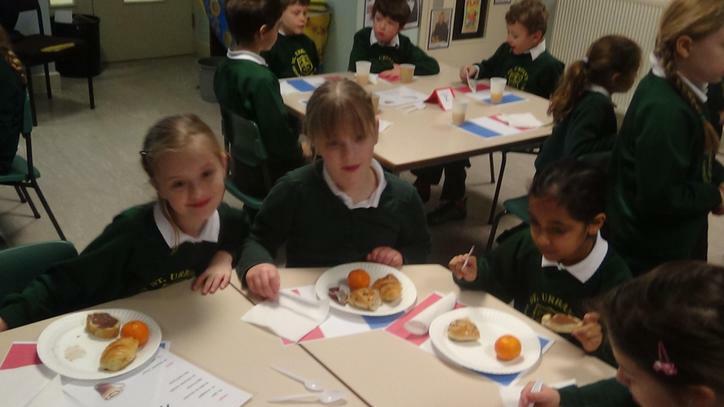 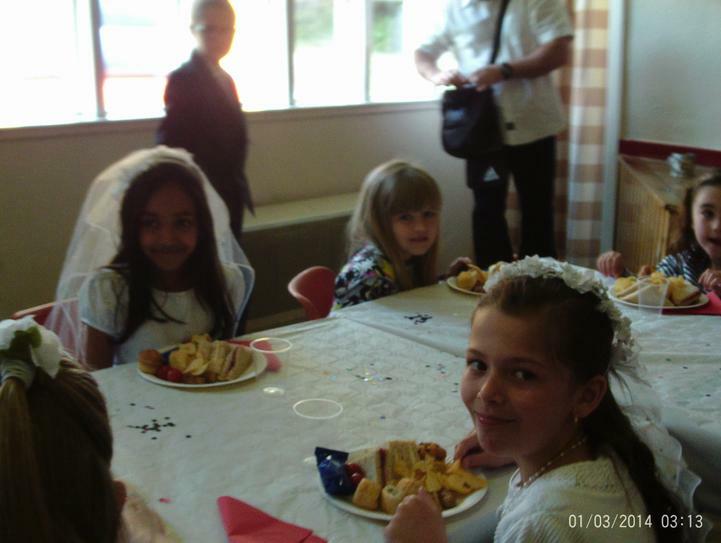 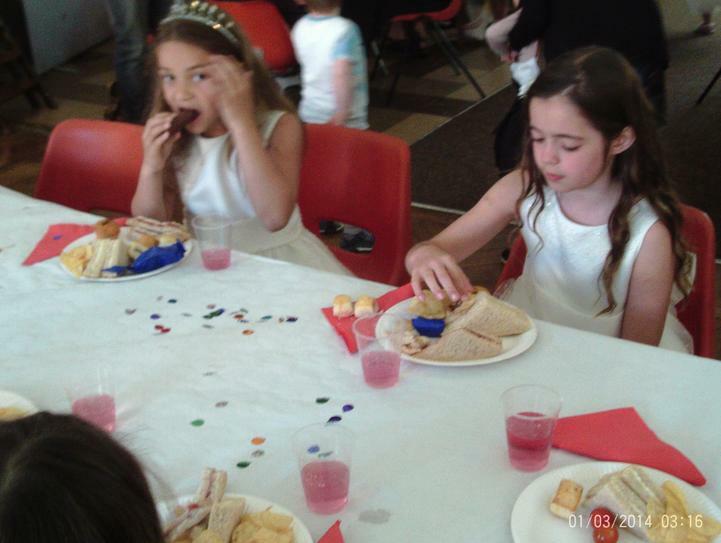 The Year 3 Communion Breakfast . 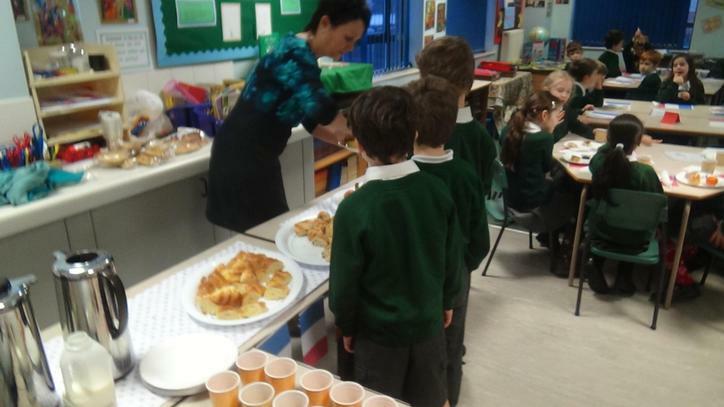 Thank you to the Year 4 parents who made it so special. 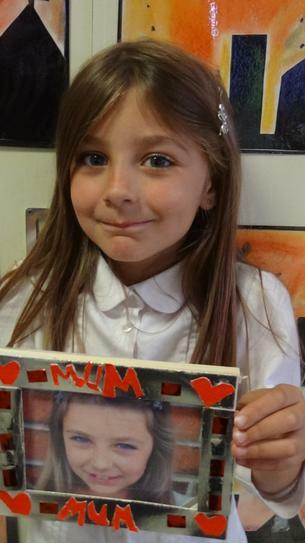 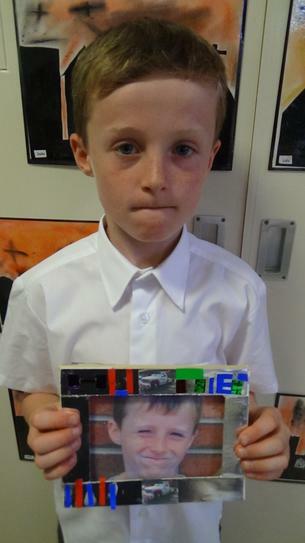 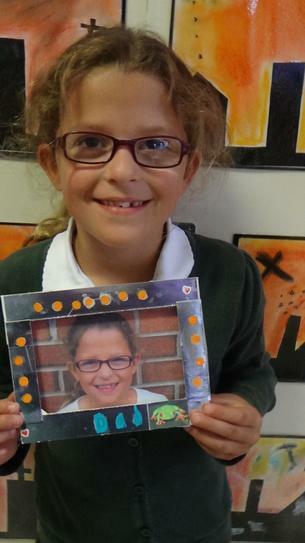 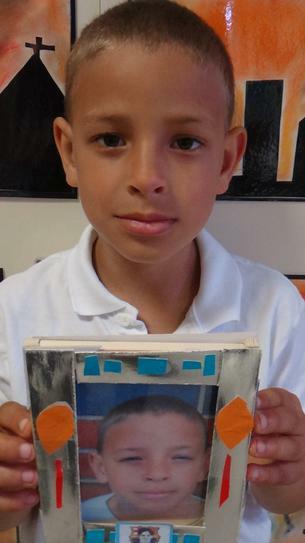 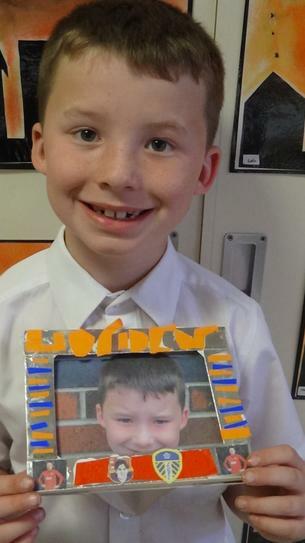 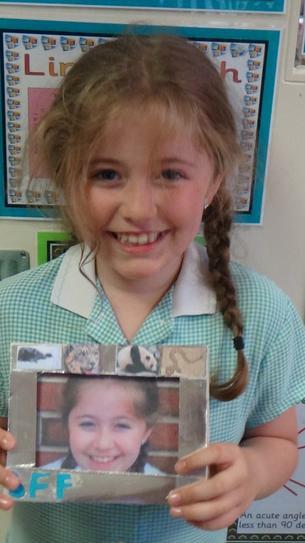 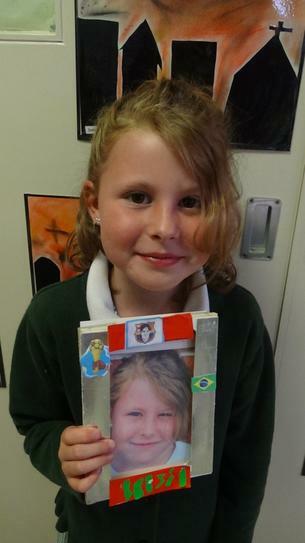 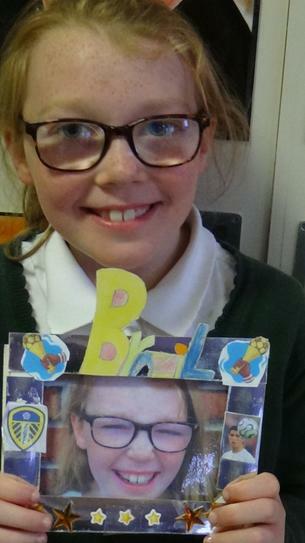 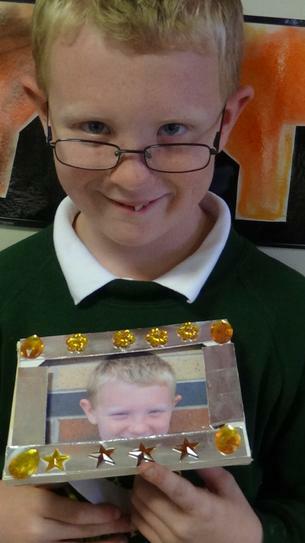 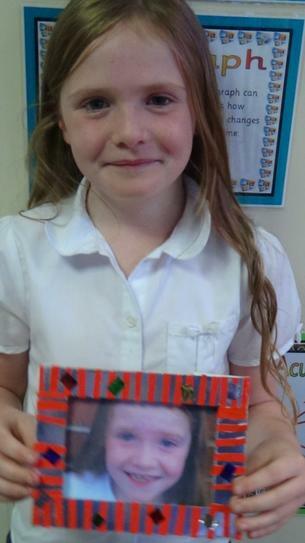 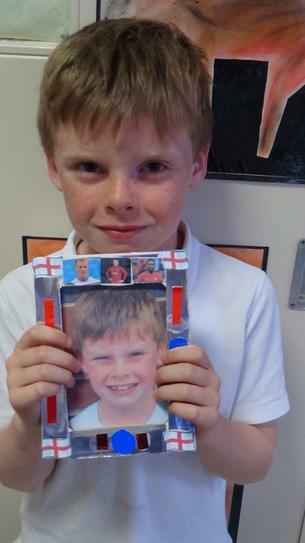 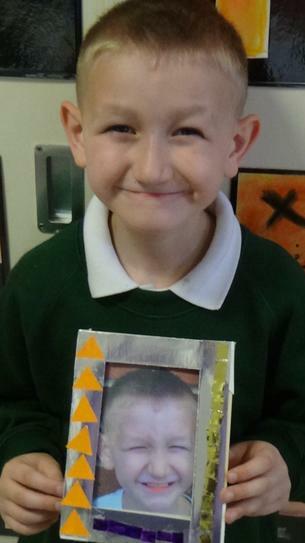 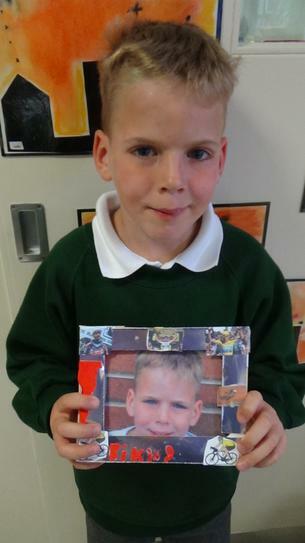 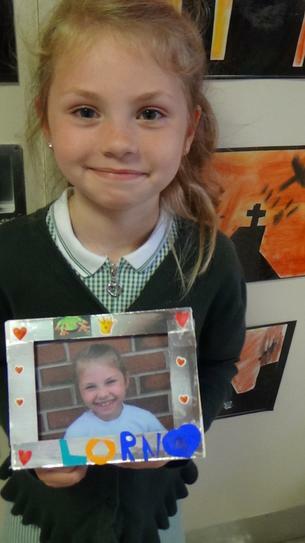 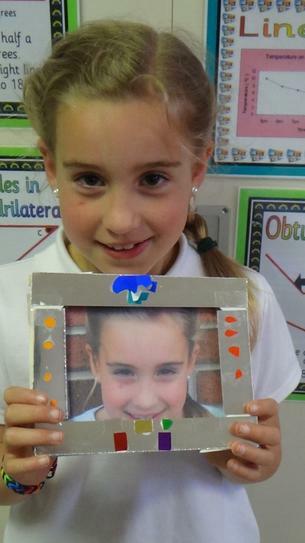 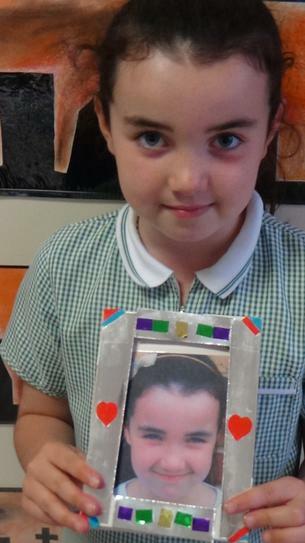 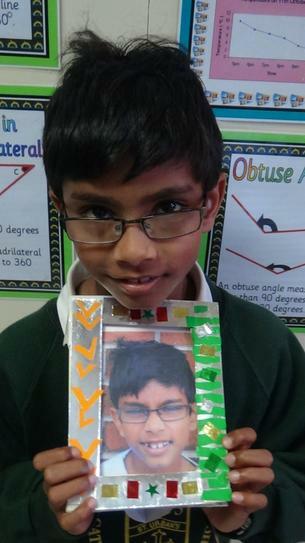 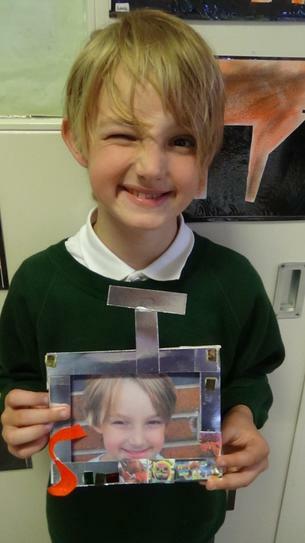 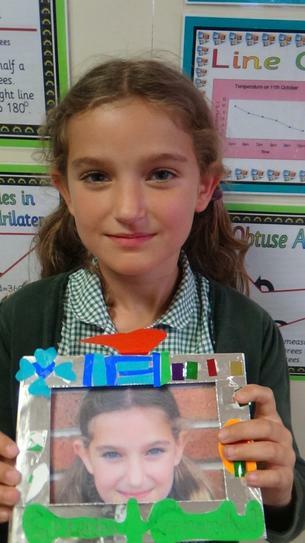 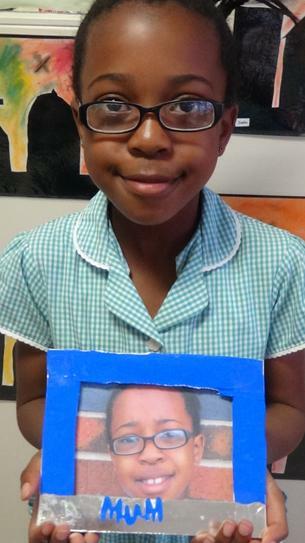 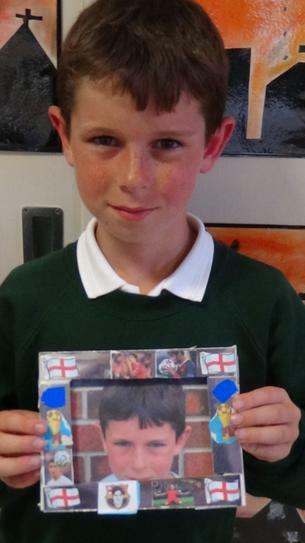 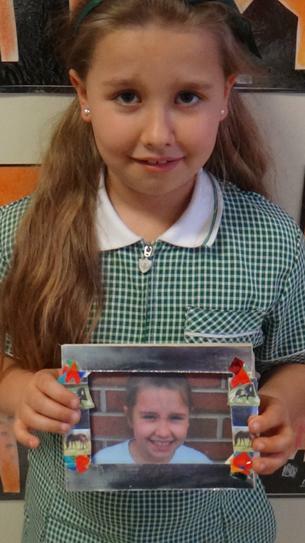 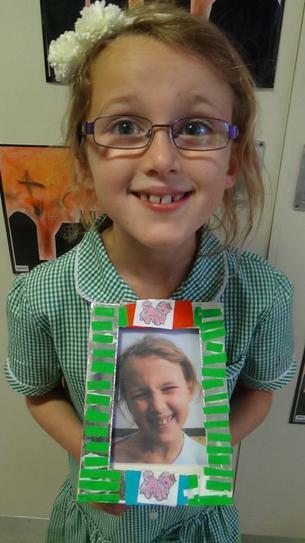 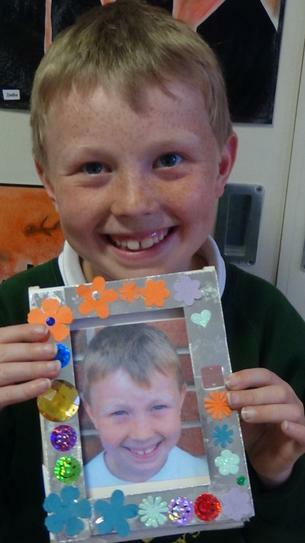 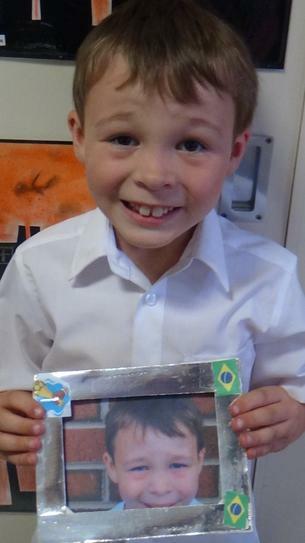 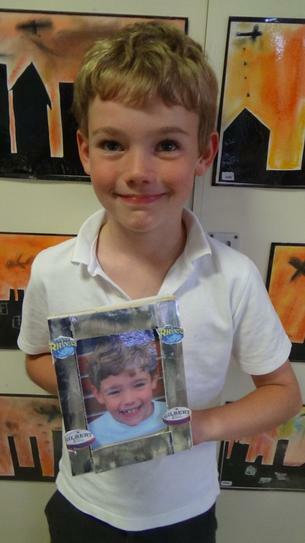 Year 3 have been designing their own picture frames this term. 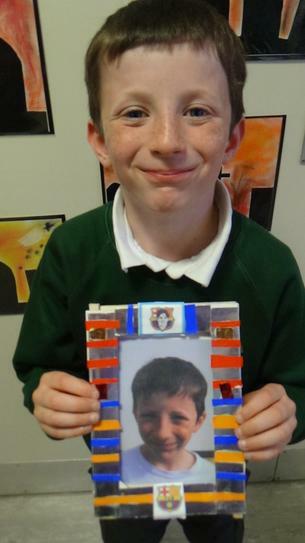 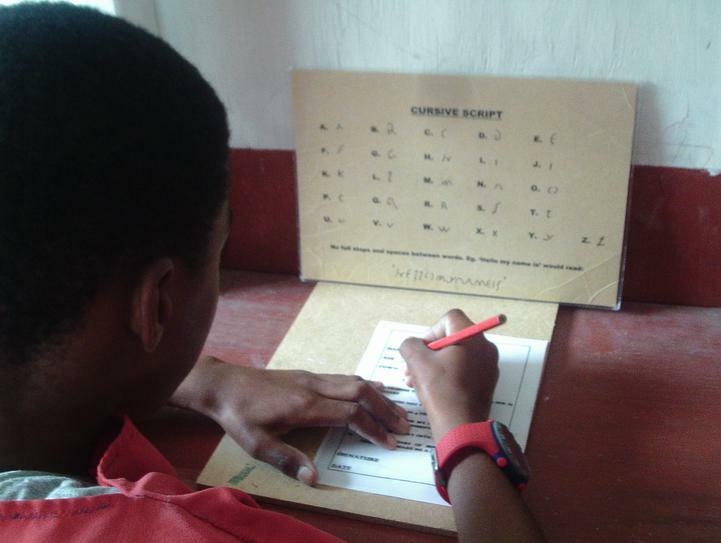 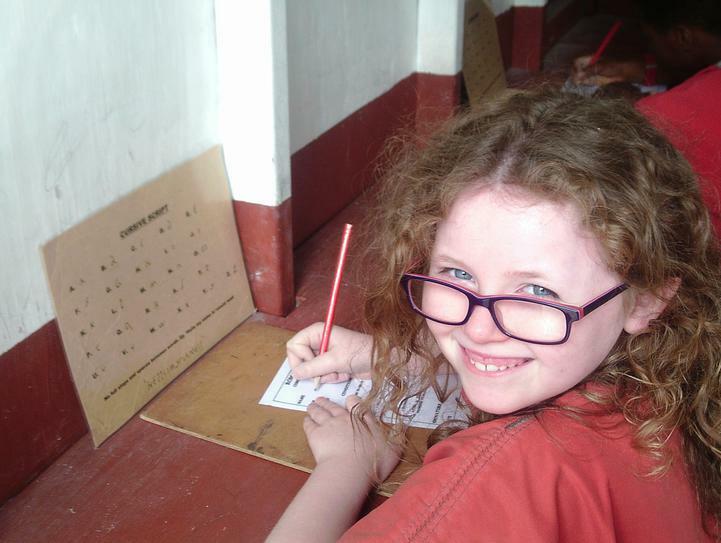 We started by planning the designs on work sheets, continuing the process of selecting the materials required, building the frame, decorating it and finally inserting our own picture. 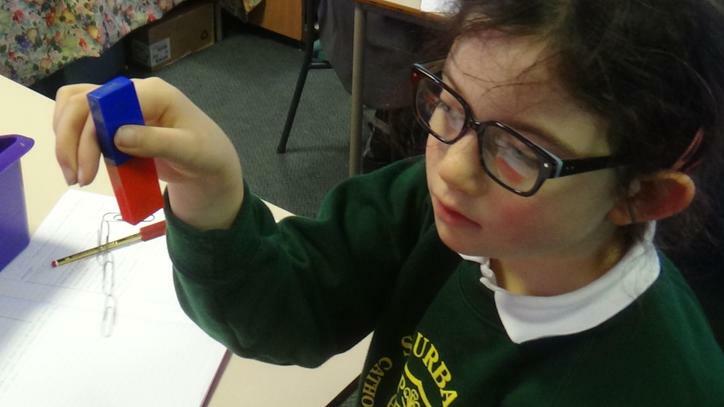 This week in ICT we have been exploring computer simulations and evaluating them. 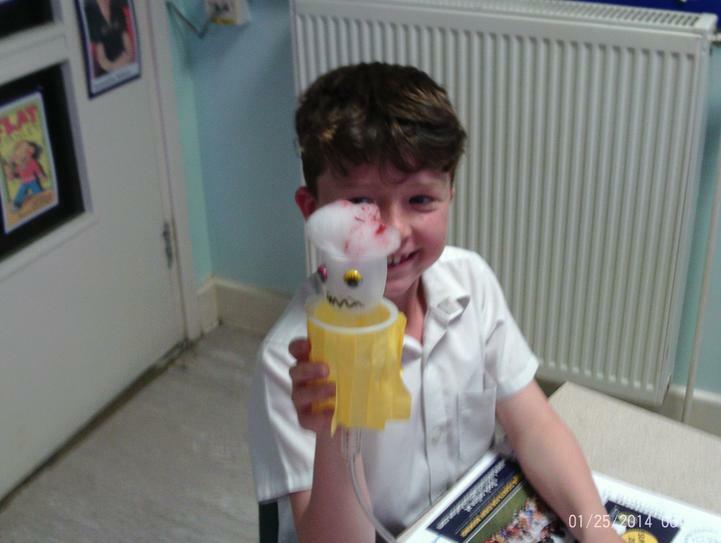 Simulations let you try things out on the computer which would be be too difficult, dangerous or expensive in real life. 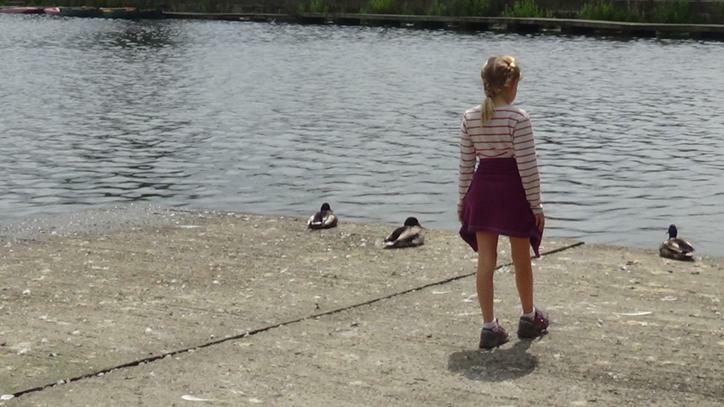 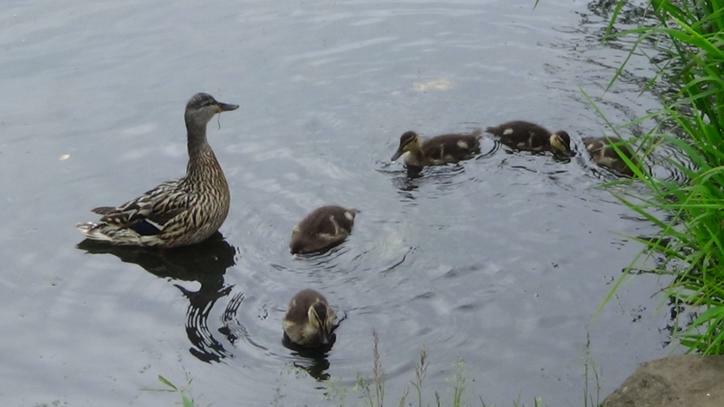 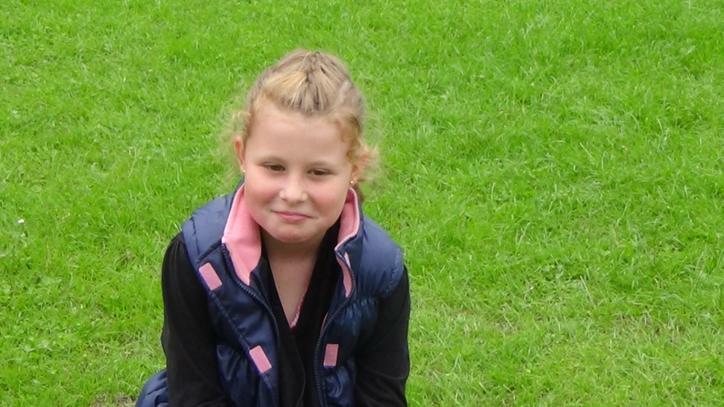 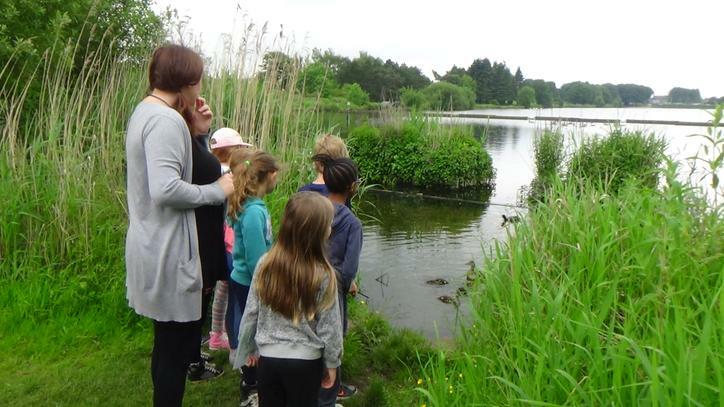 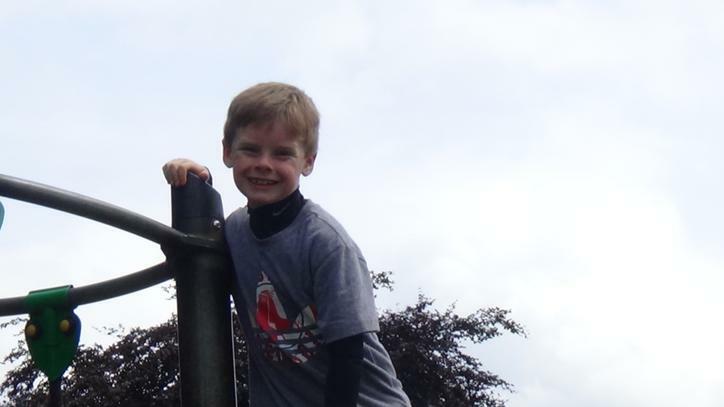 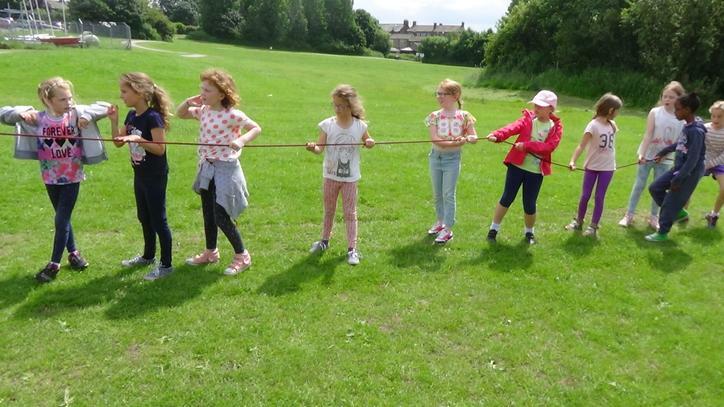 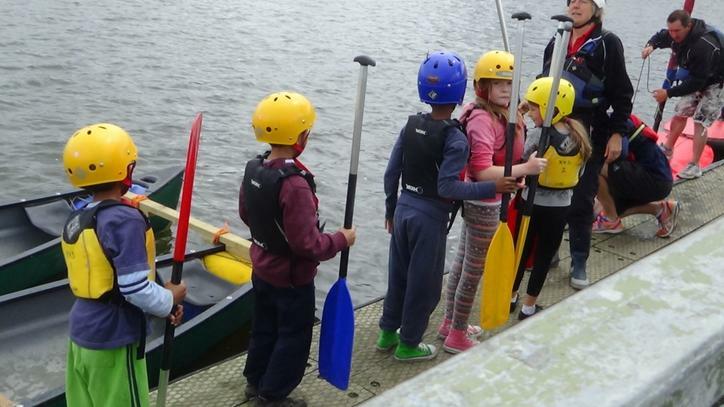 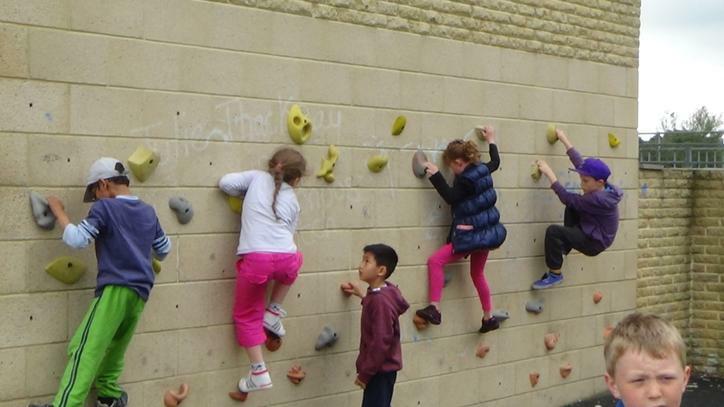 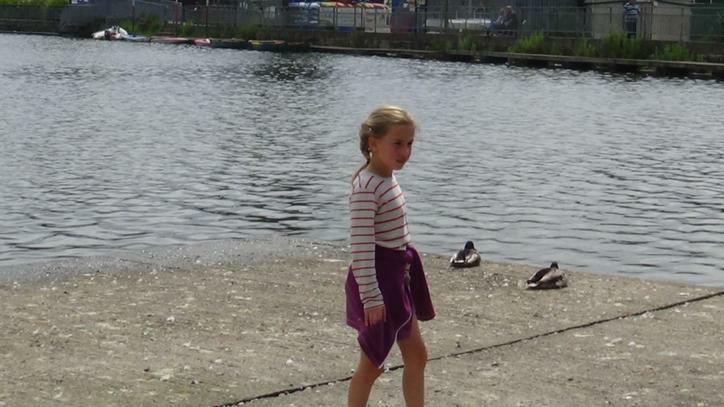 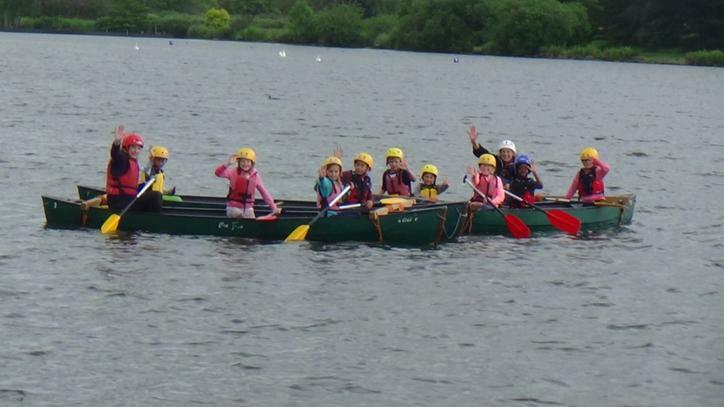 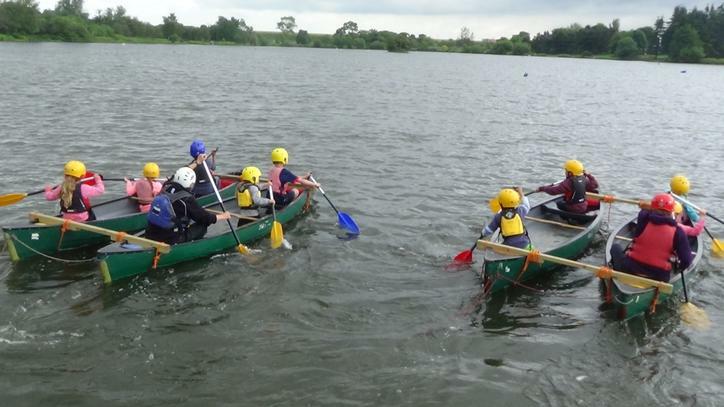 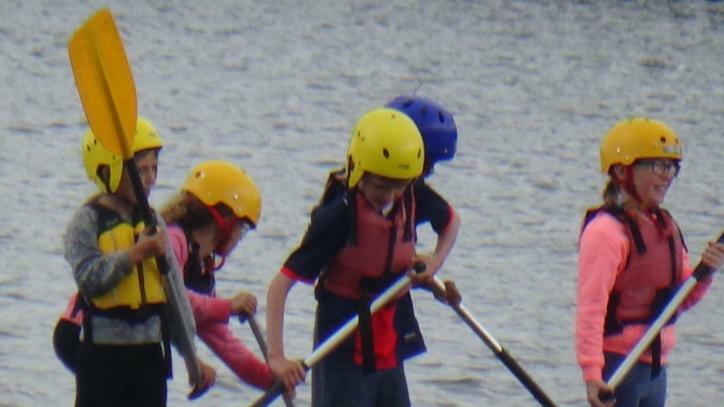 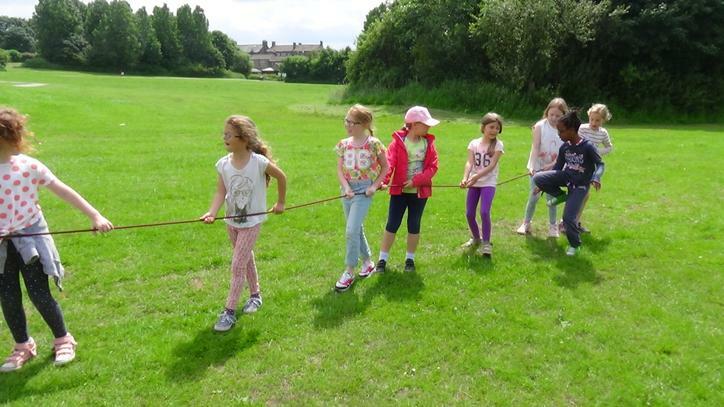 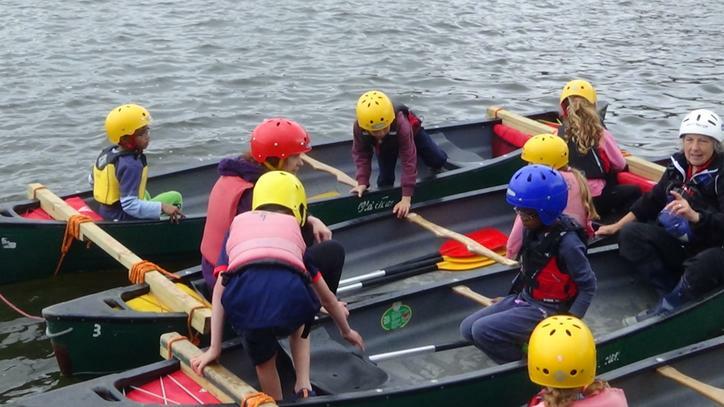 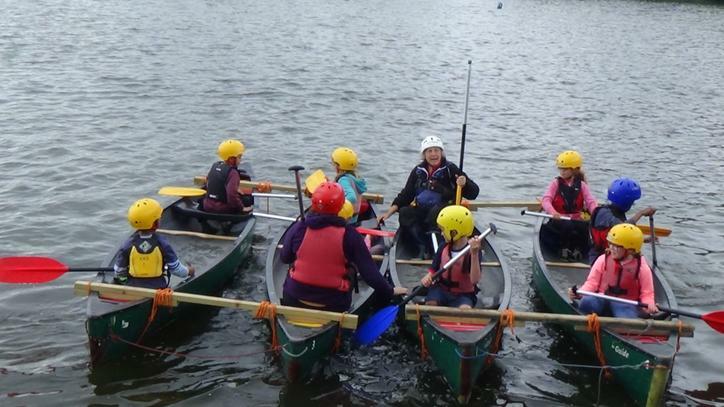 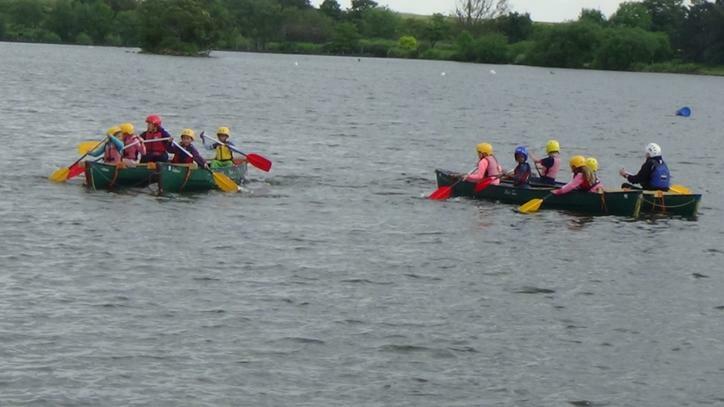 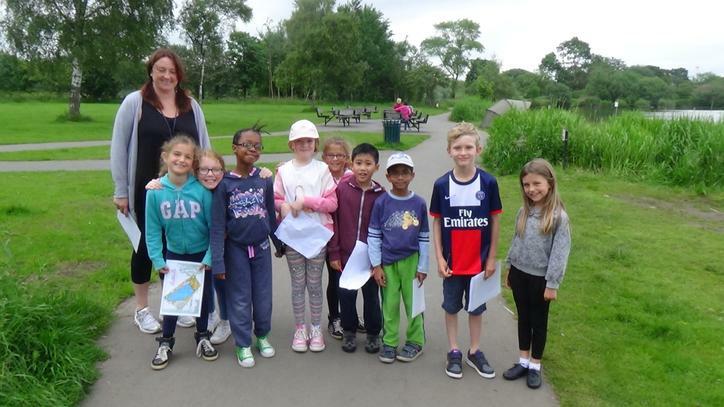 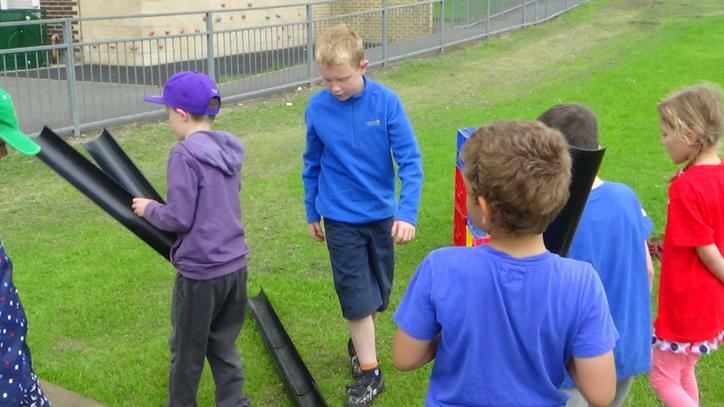 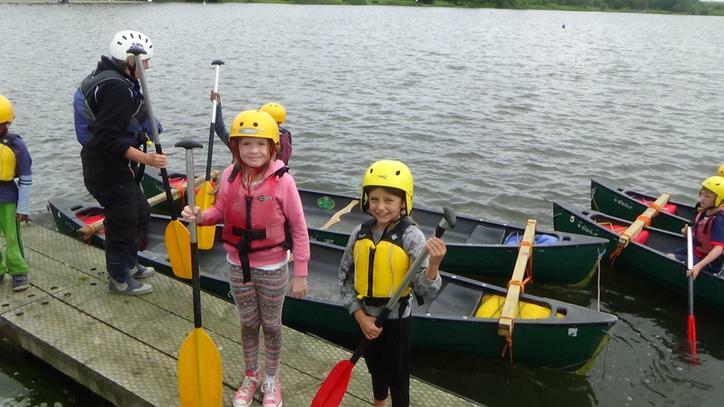 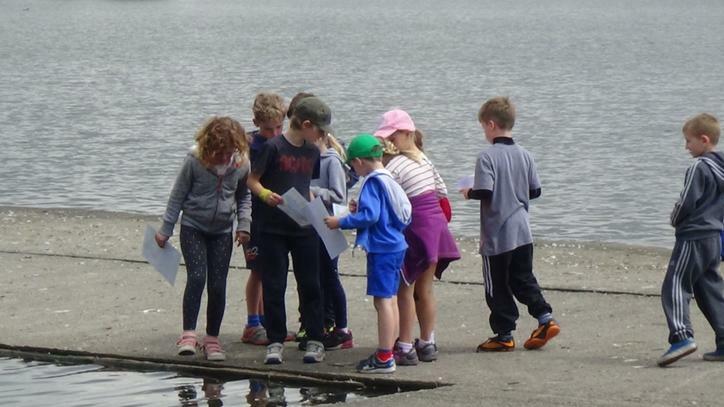 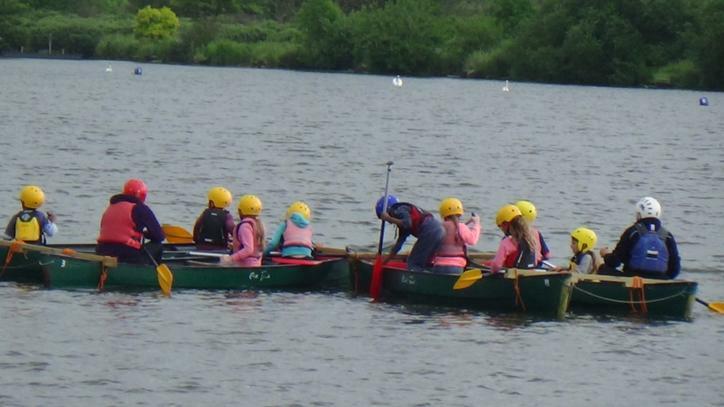 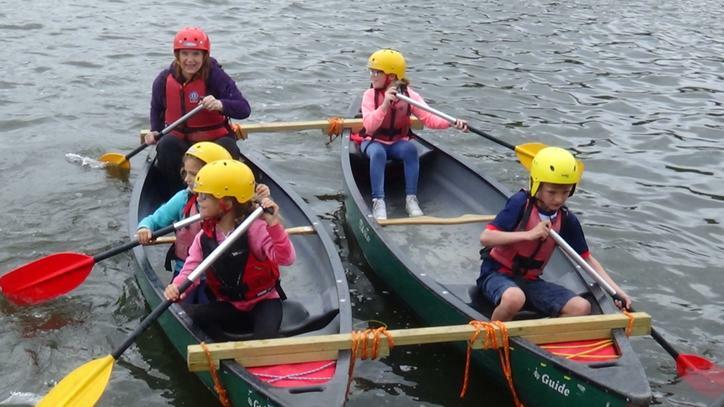 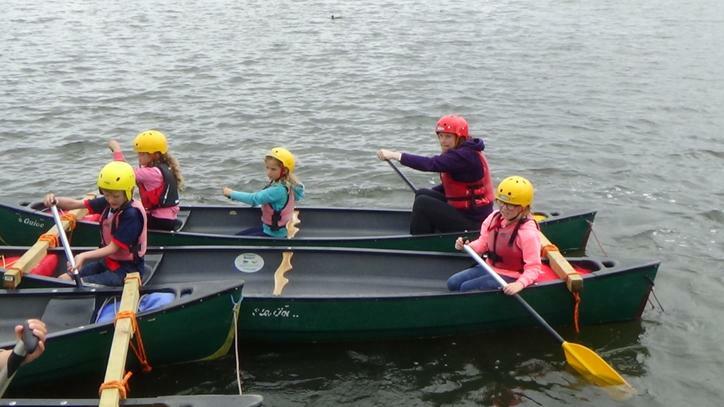 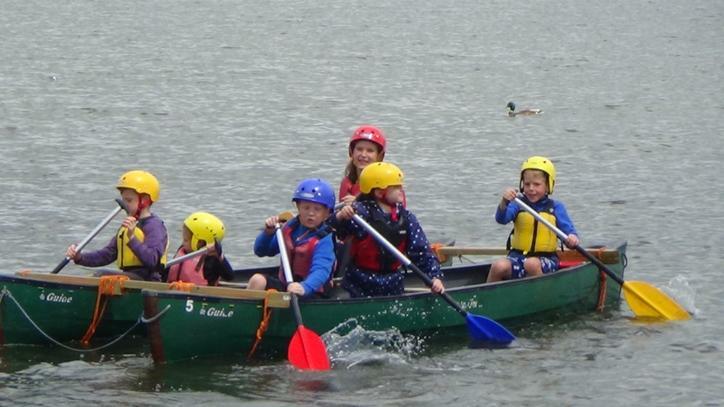 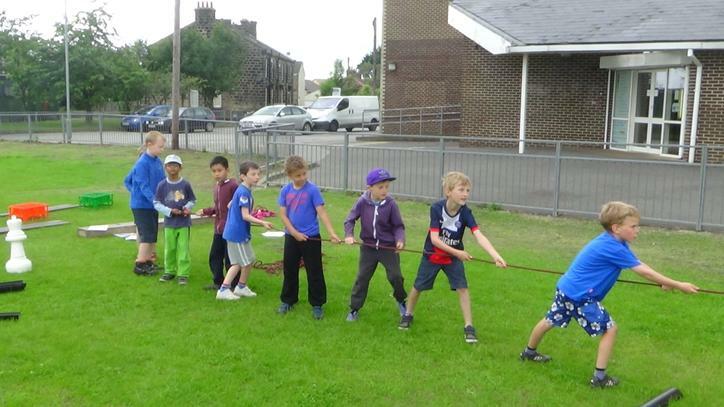 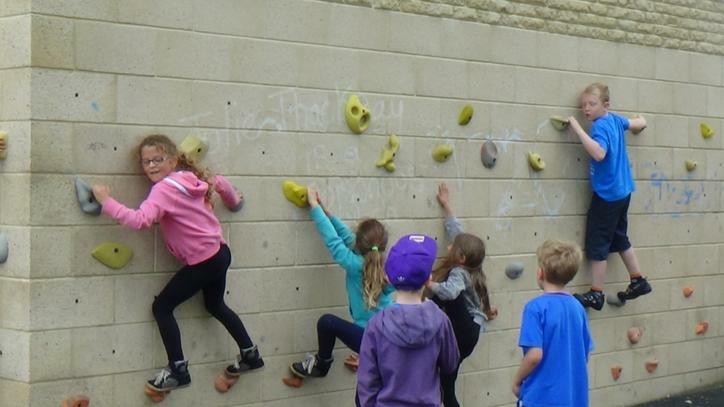 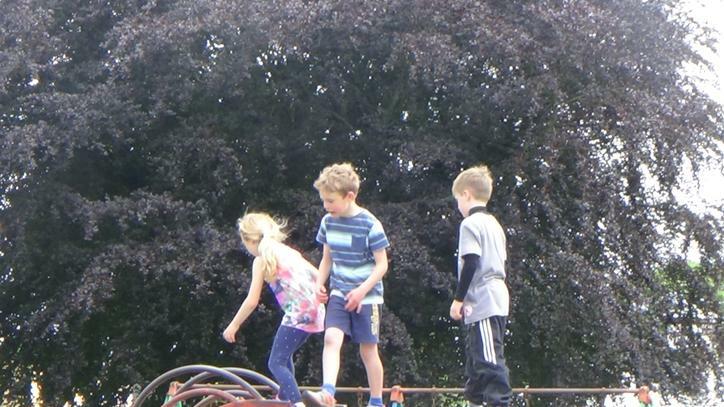 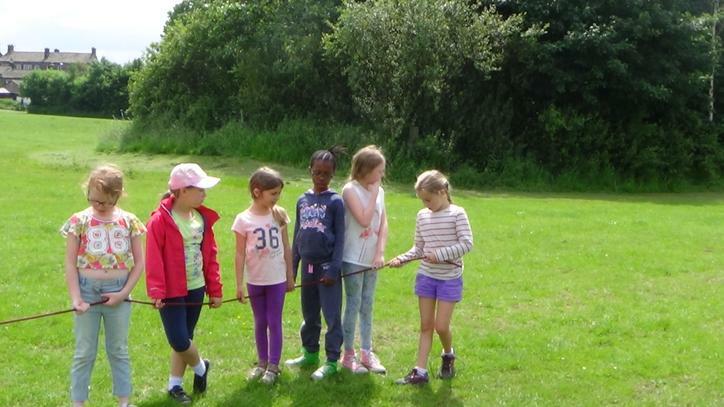 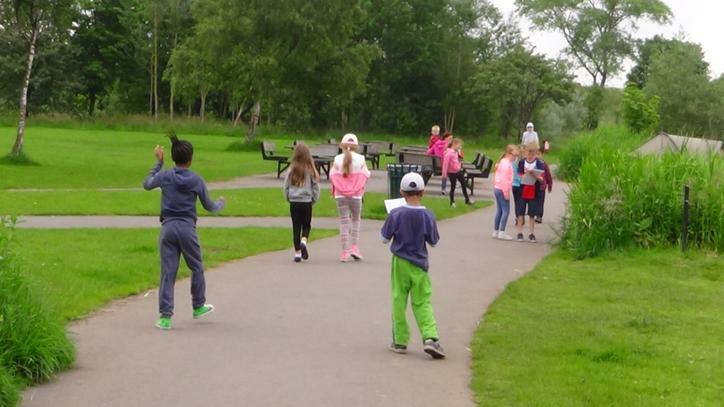 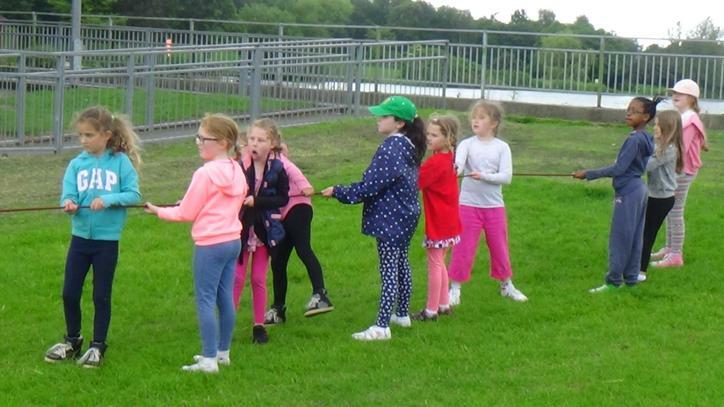 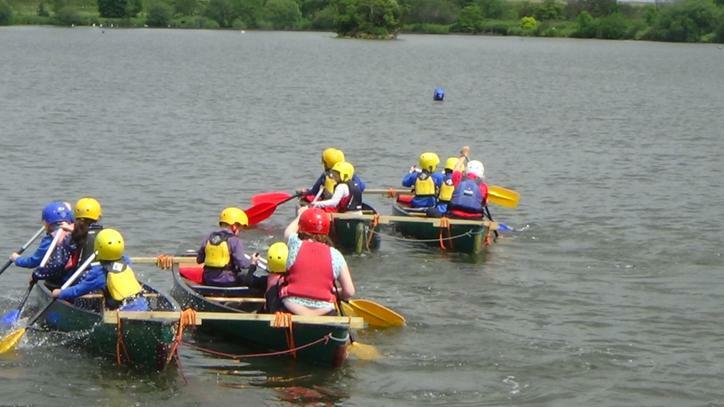 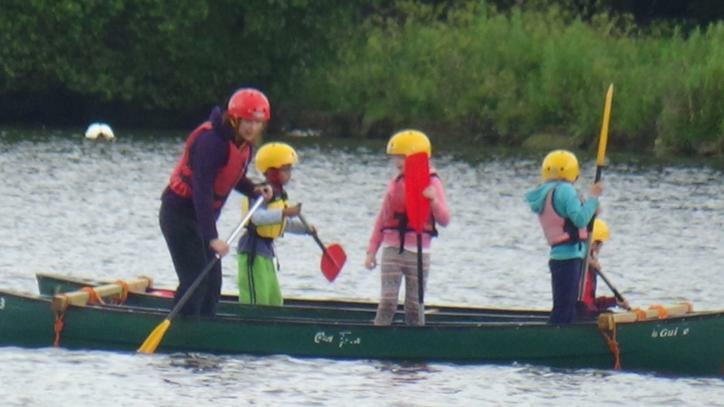 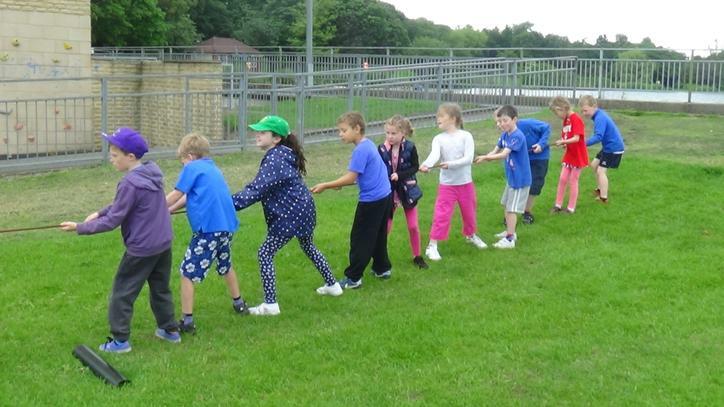 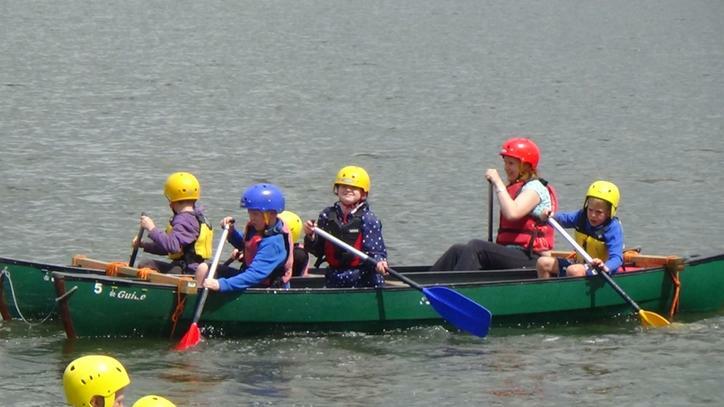 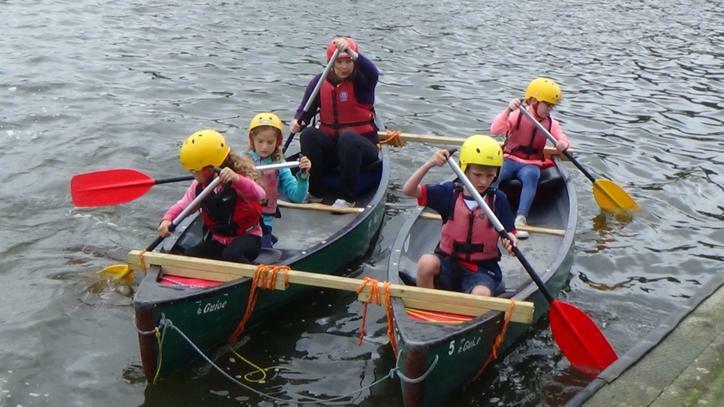 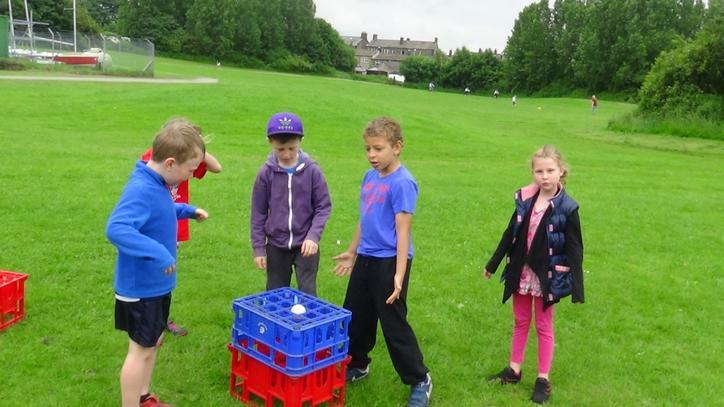 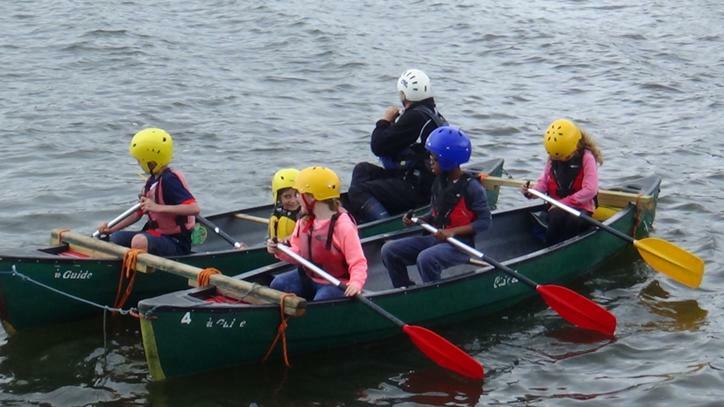 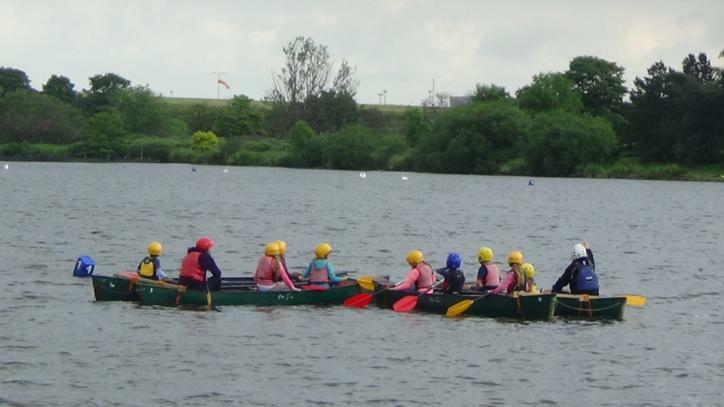 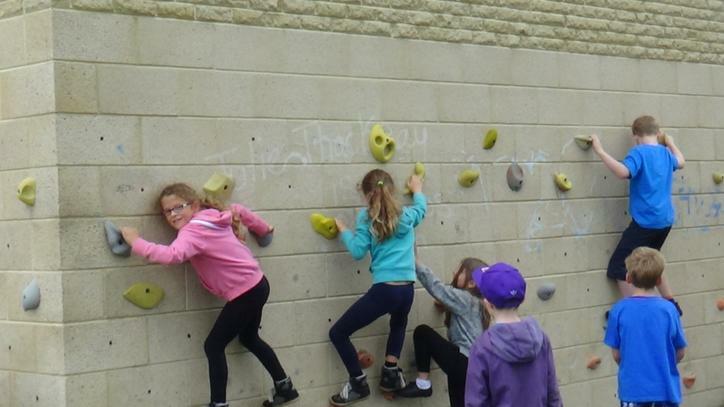 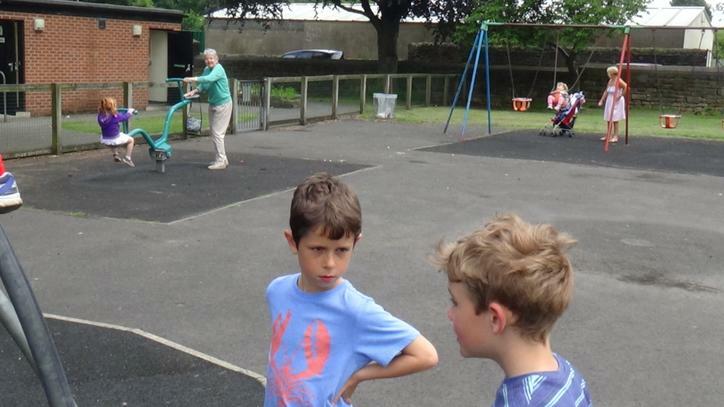 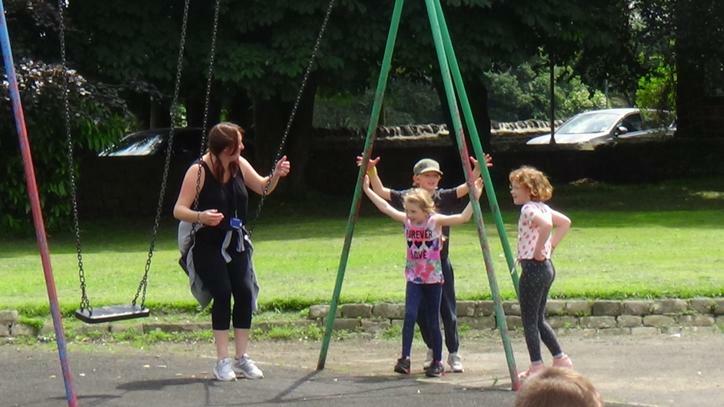 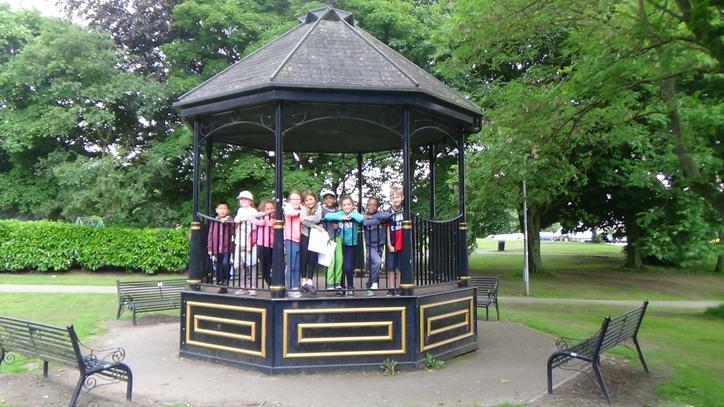 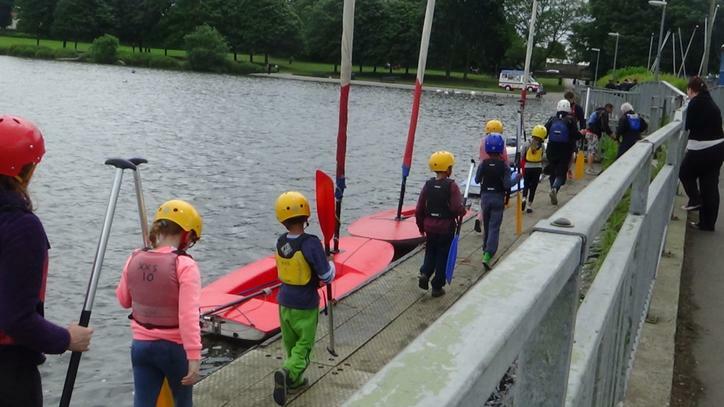 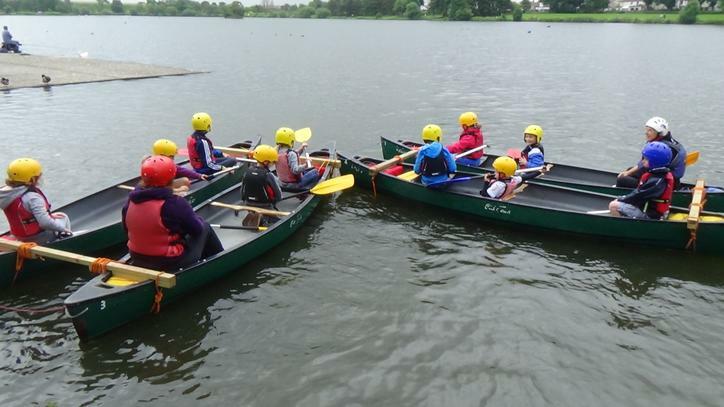 We all had a wonderful fun day at Yeadon Tarn. 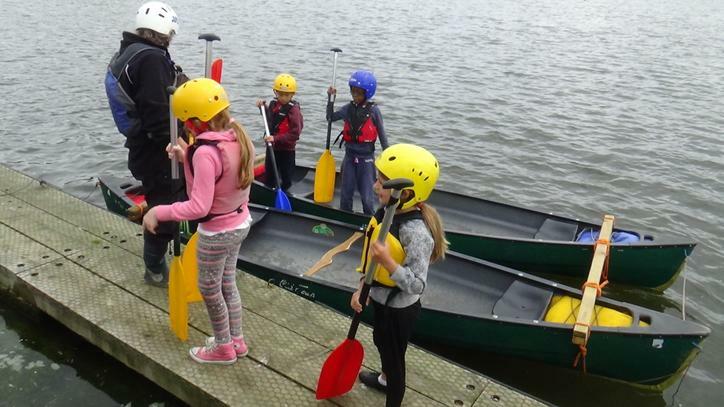 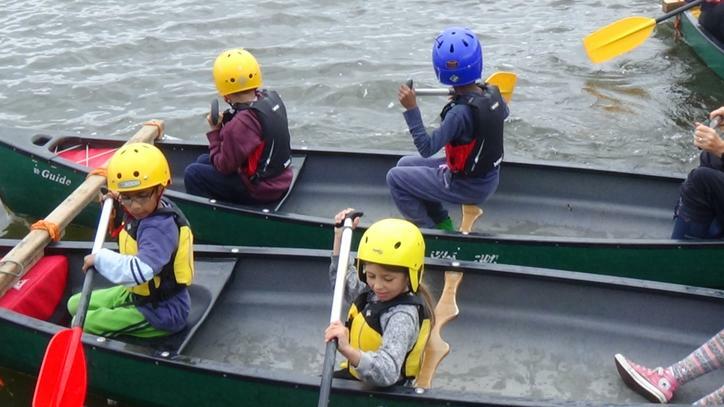 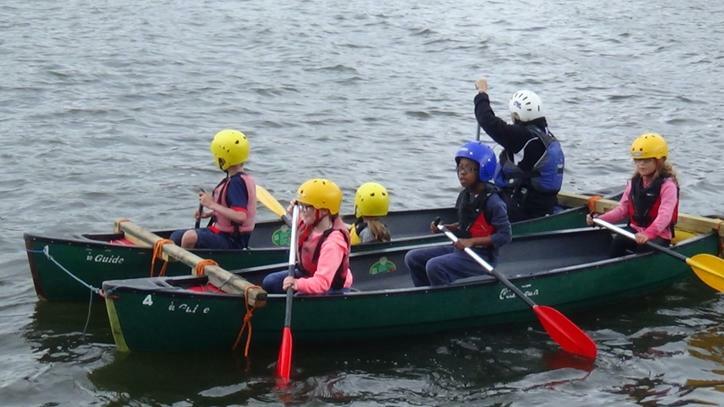 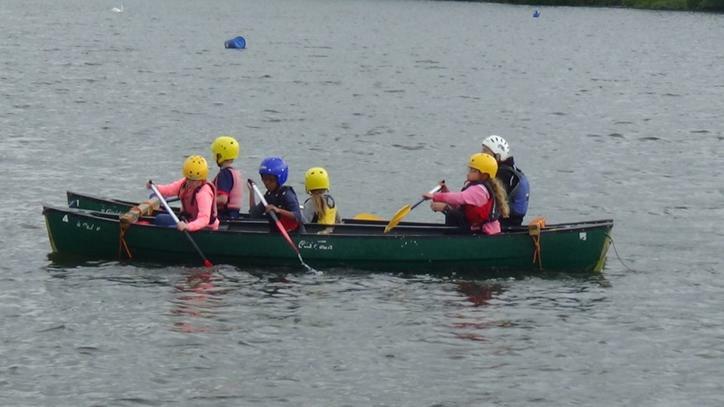 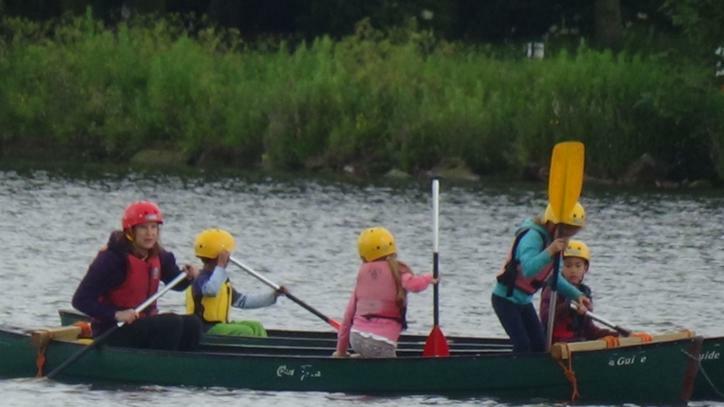 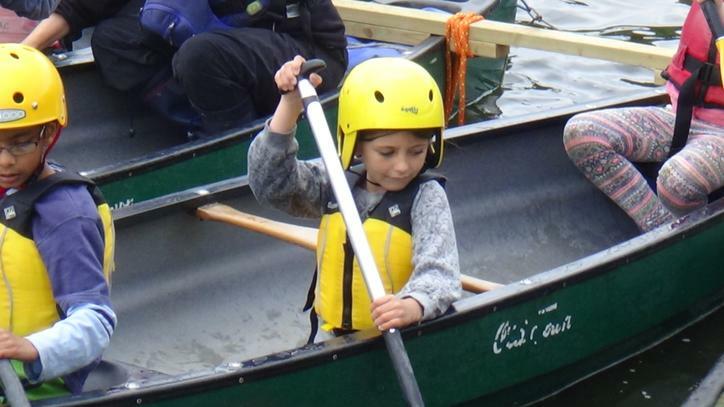 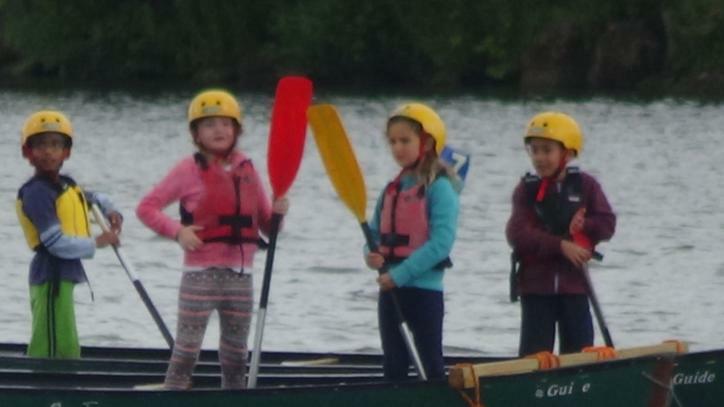 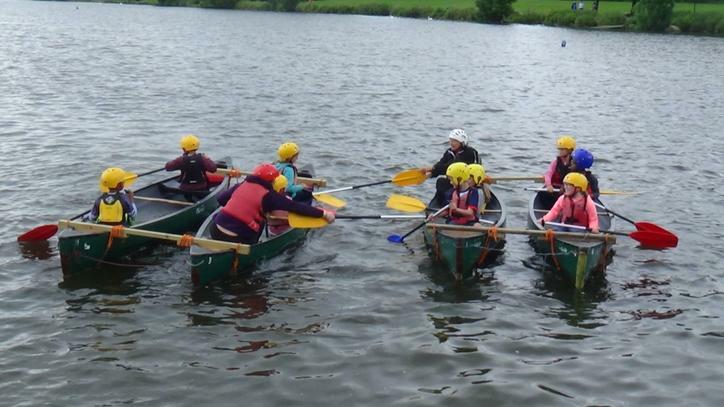 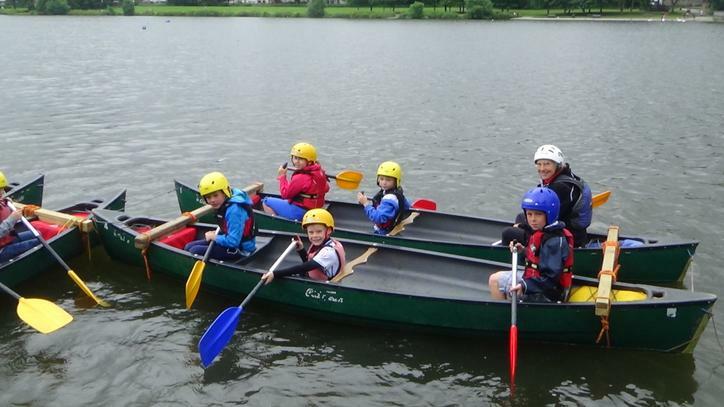 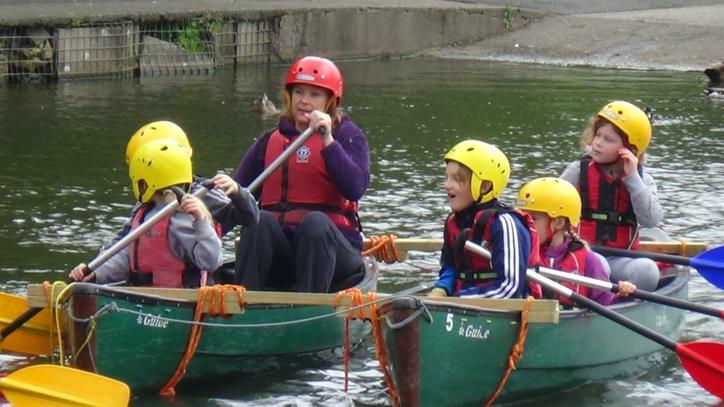 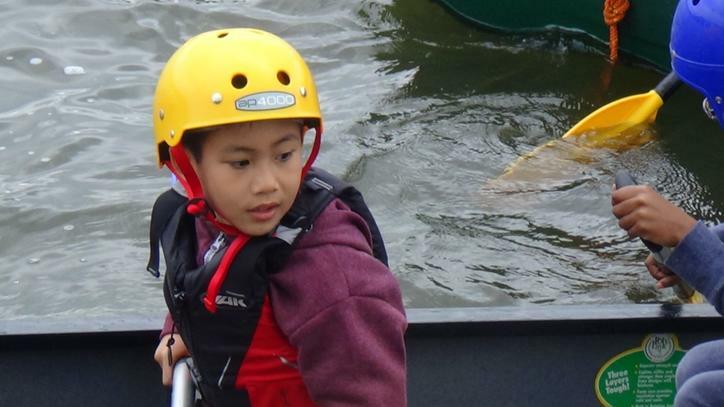 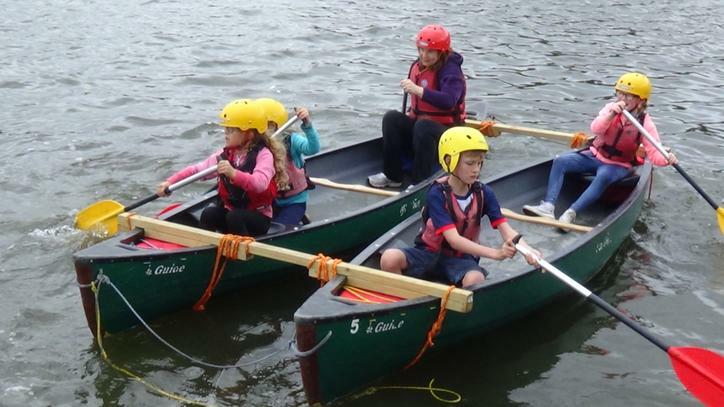 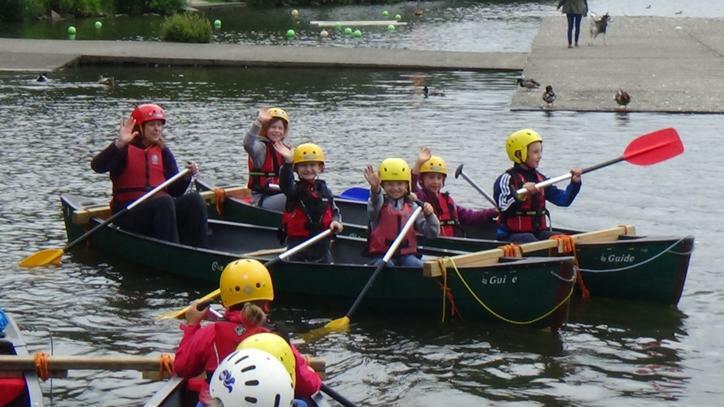 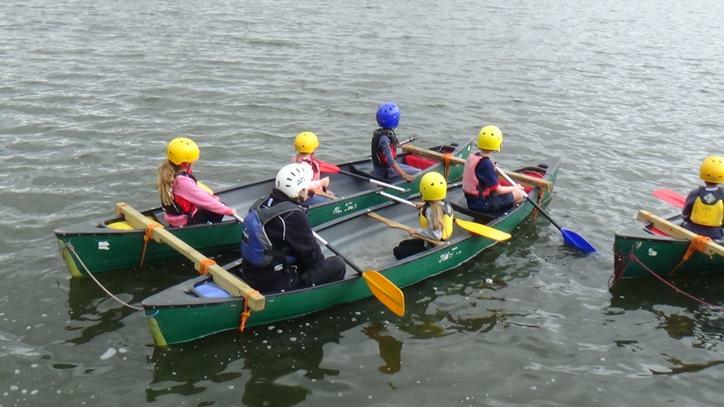 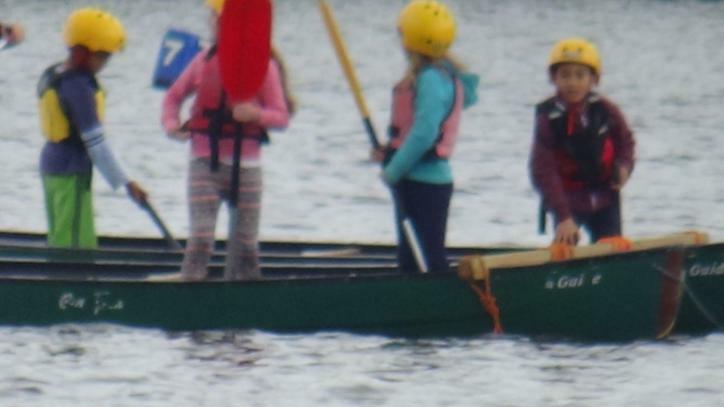 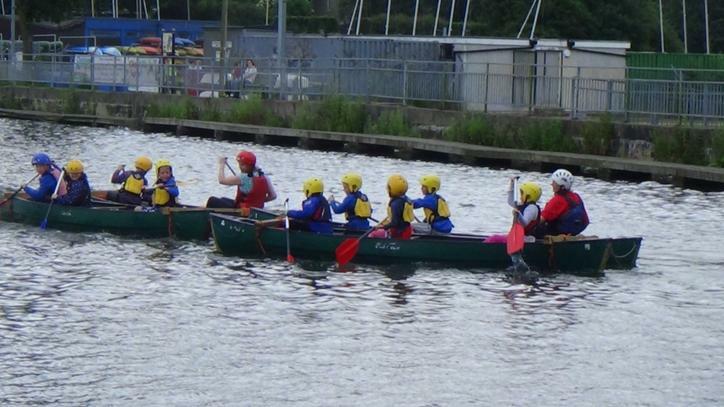 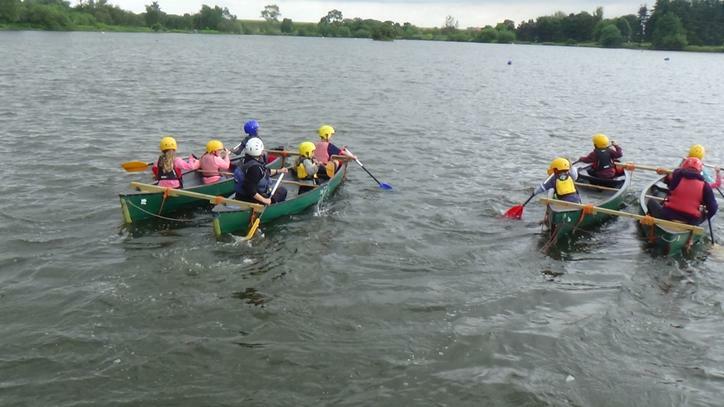 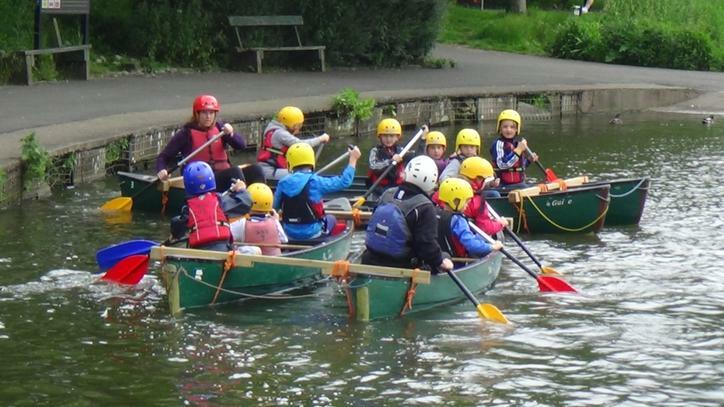 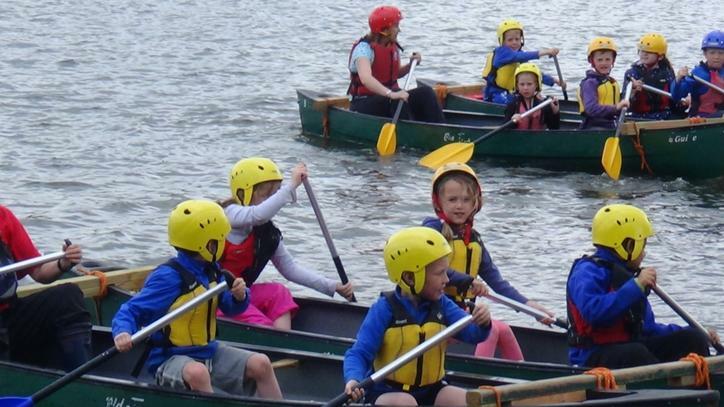 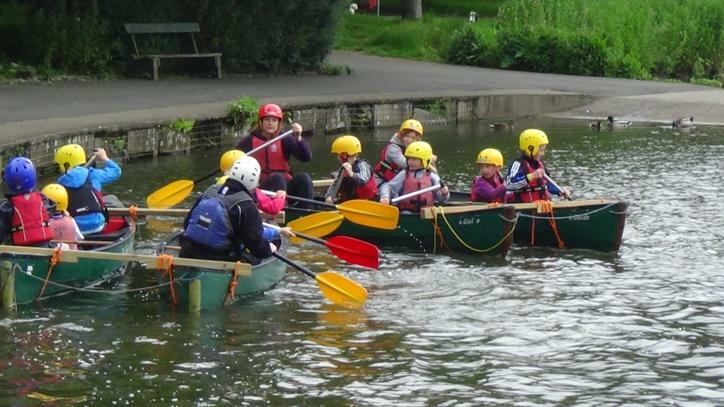 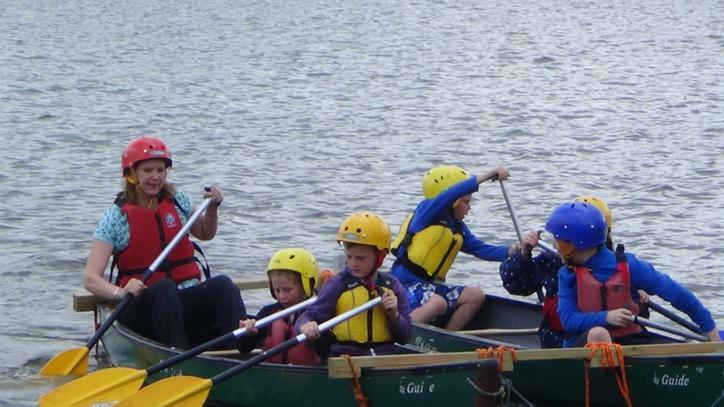 Everybody tried and got a little wet when we went canoeing! 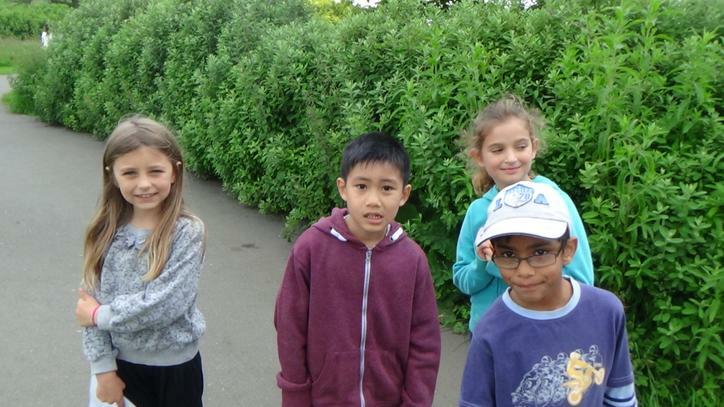 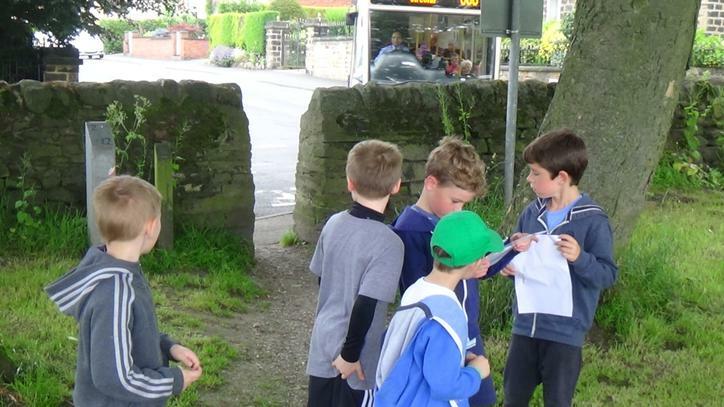 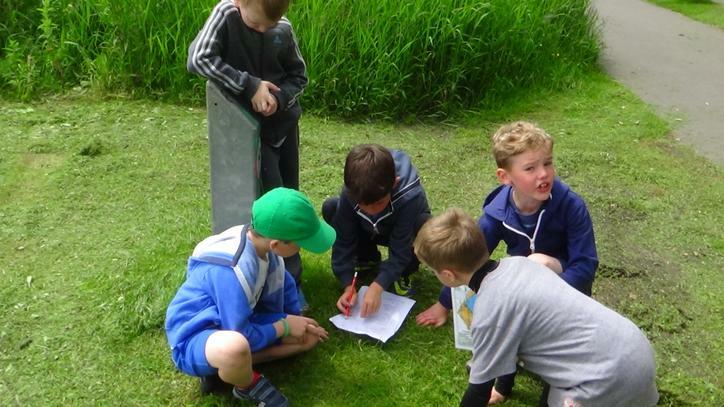 Orienteering got us all thinking on how to find the answers to the clues. 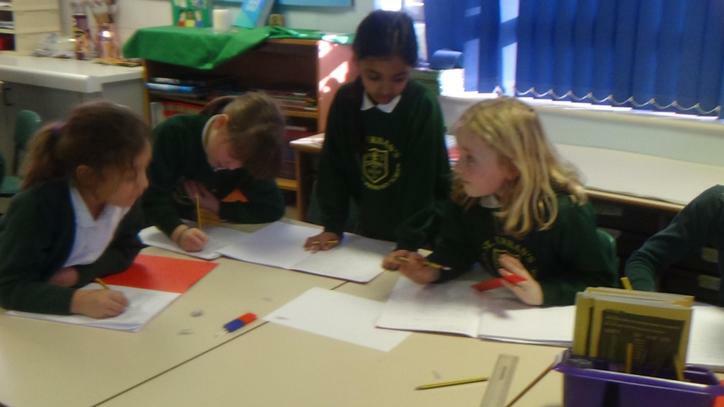 We even managed to solve the problems too. 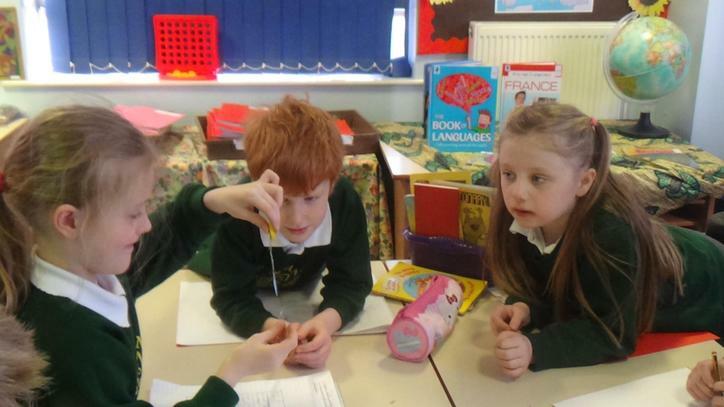 In Science this week ,we looked at why the stem of the plant was important and carried out experiments. 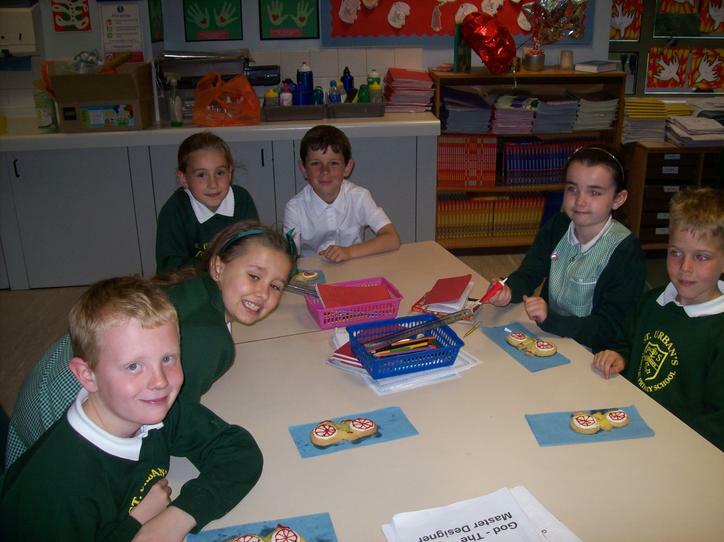 Topmarks Maths Games This week we have really enjoyed using these maths games. 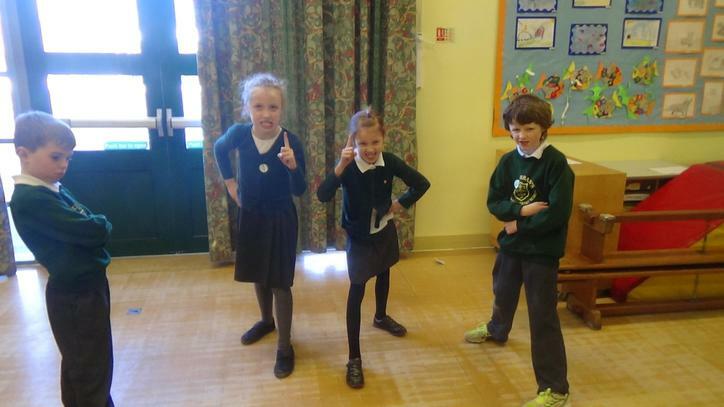 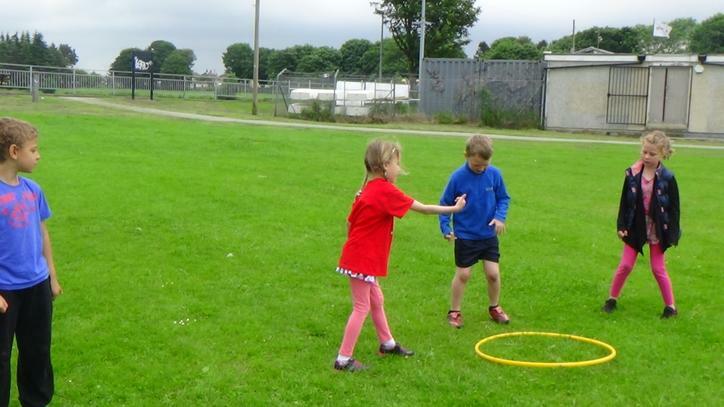 Let Mrs Jamieson know which is your favourite game. 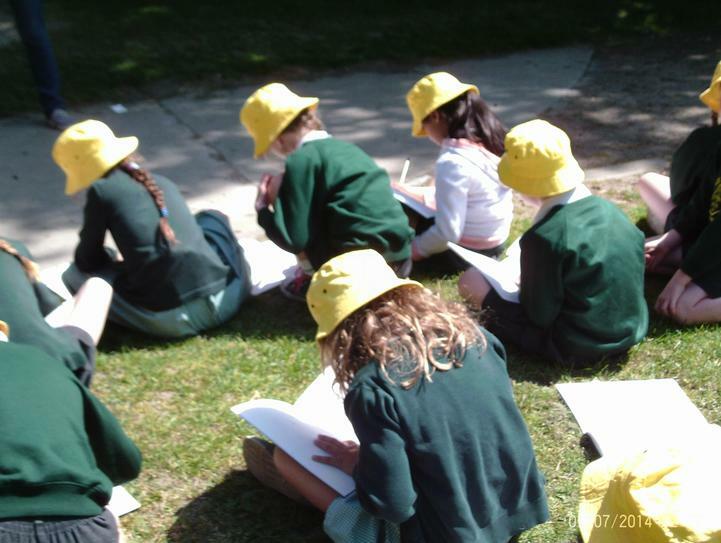 Hope everyone has a lovely half-term holiday.